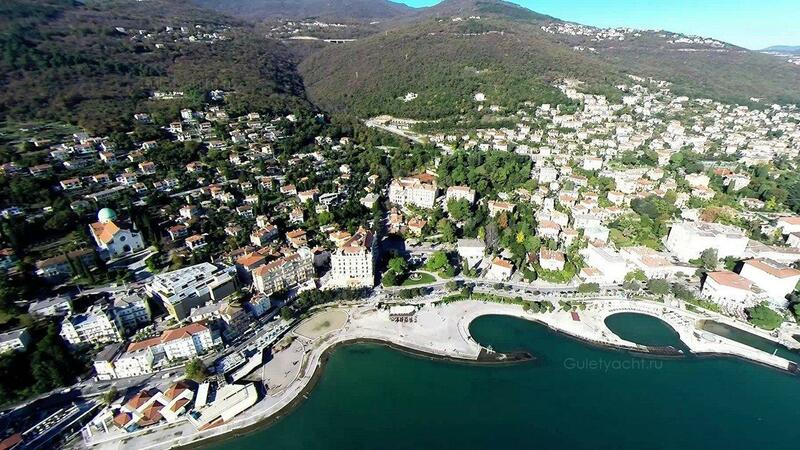 Остров Солта теперь почти пригороде Сплита. 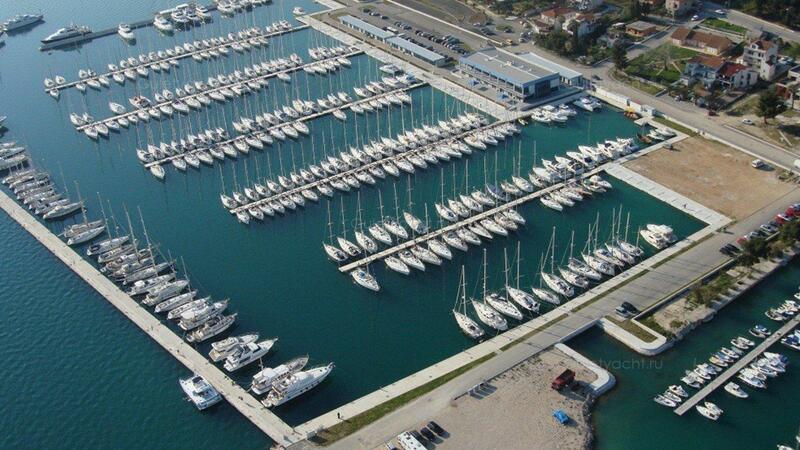 Он находится недалеко от него, и он измеряет около 20 км на 5 км. 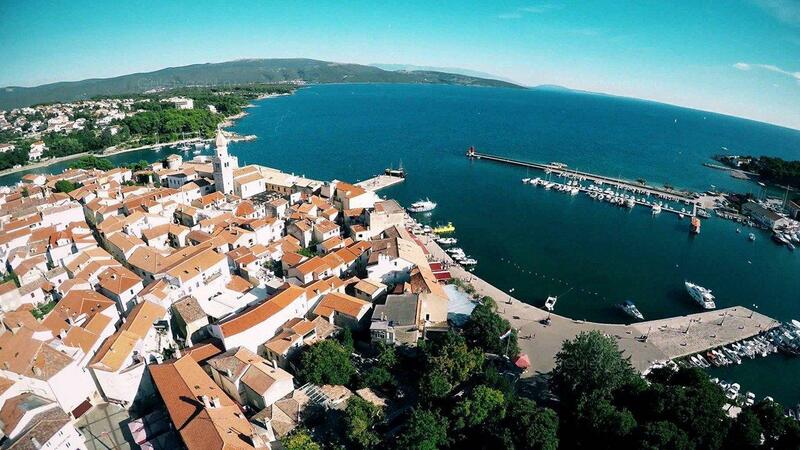 С 24 заливами на острове, это рай для яхтсменов с таким количеством хороших мест для якорей. 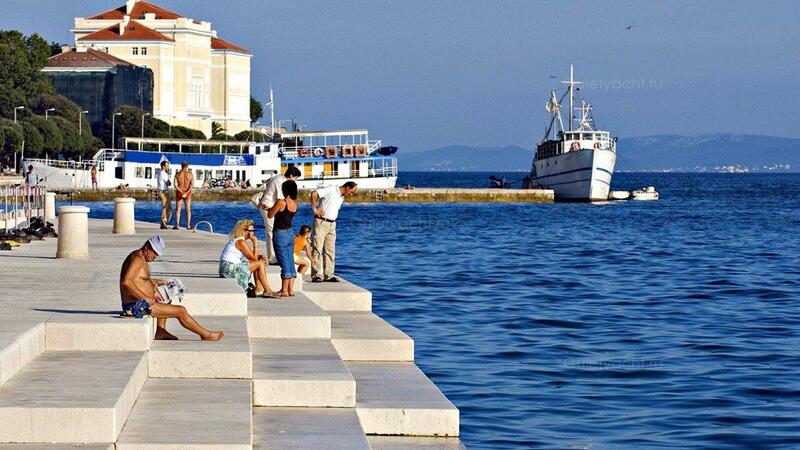 Лучшие заливы находятся на южных берегах, которые доступны только с моря. 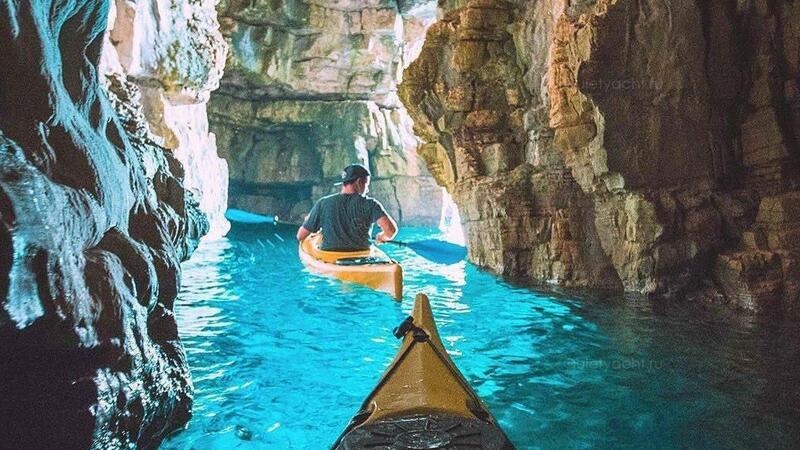 Водолазы найдут отличные воды, в то время как те, кто просто наслаждается лежащим на пляже, найдут несколько лучших мест. 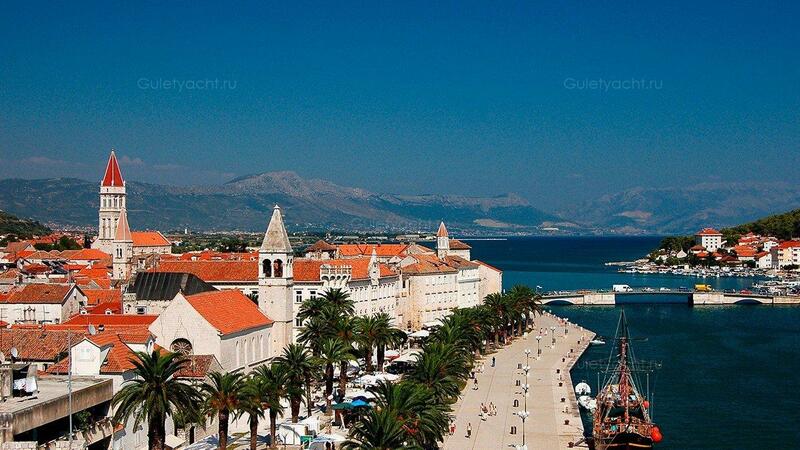 Велосипедисты могут исследовать остров и наслаждаться опытом. 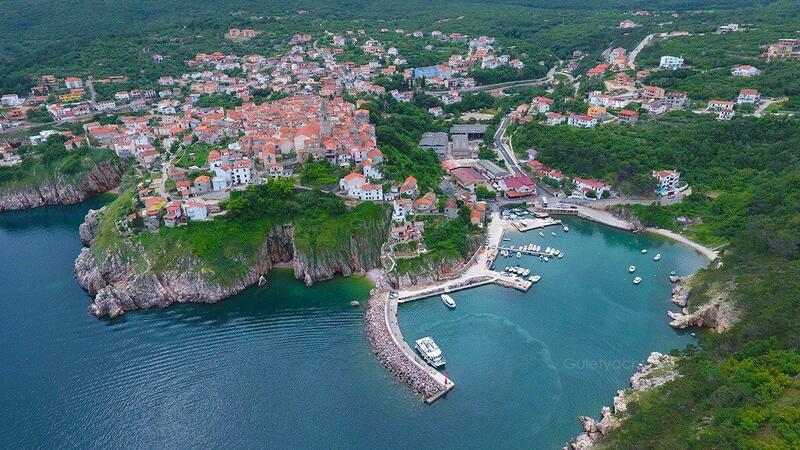 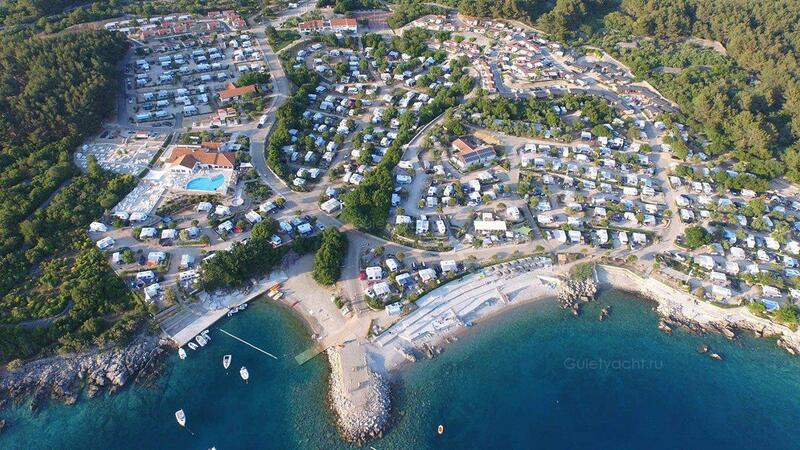 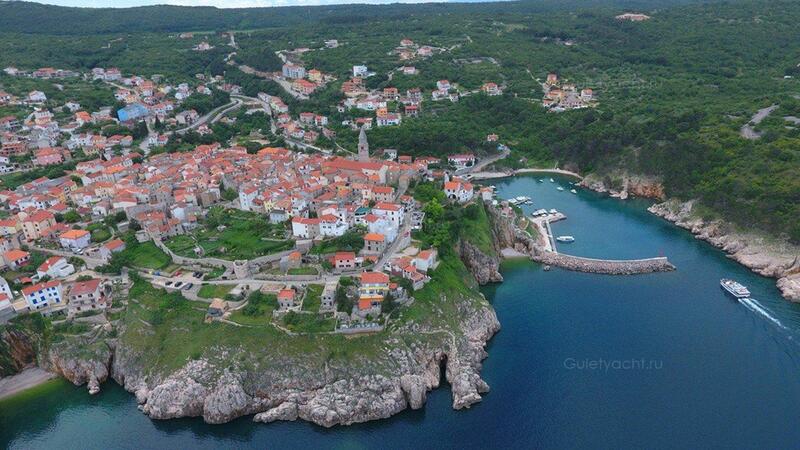 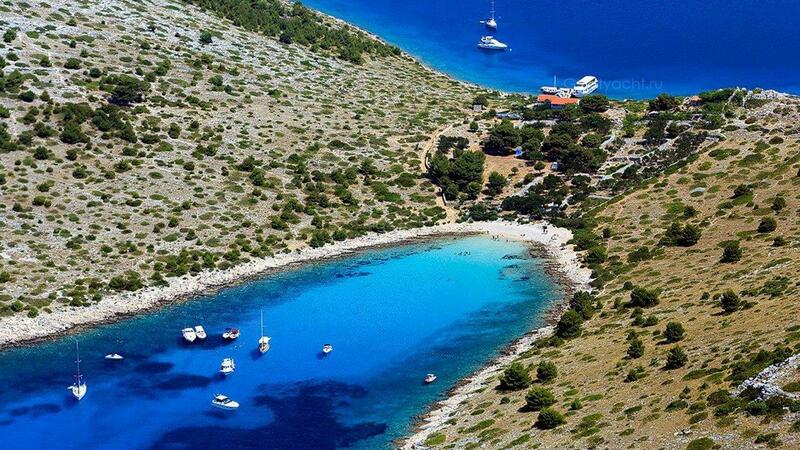 Maslinic Village on the west coast of Solta is sheltered by six small islands that sit in a group. 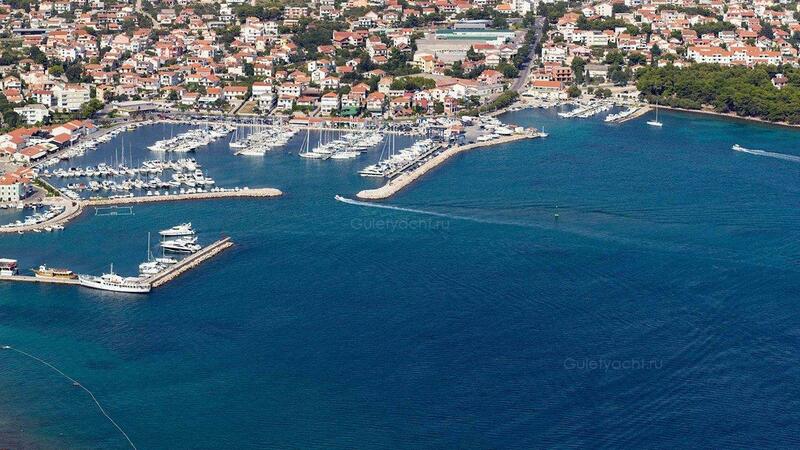 Some of the westerly winds are fairly strong at times and a breakwater extending from the south provides great protection. 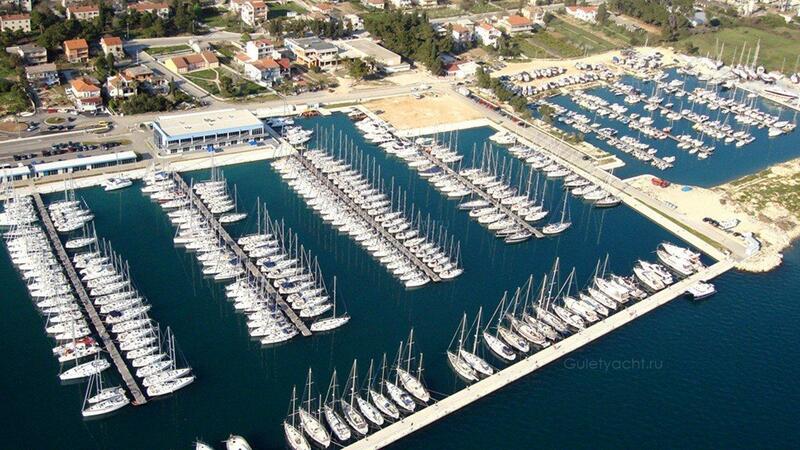 A popular anchoring place with good facilities, including water and electricity, you should try to arrive early to avoid disappointment. 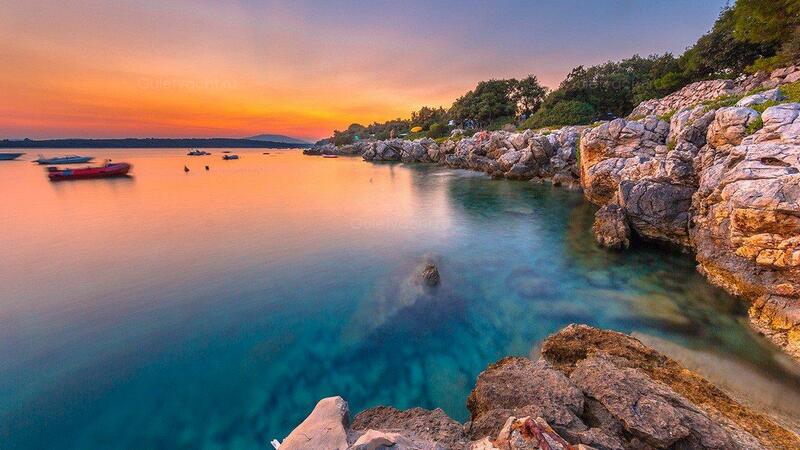 Sunsets are good here so spend some time wandering around and wait until the sun sinks over the horizon. 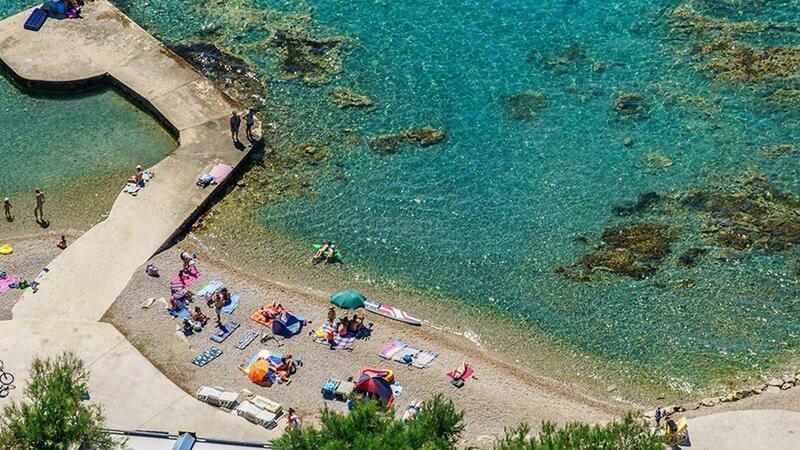 Маслинская деревня на западном побережье Солты защищена шестью небольшими островами, которые сидят в группе. 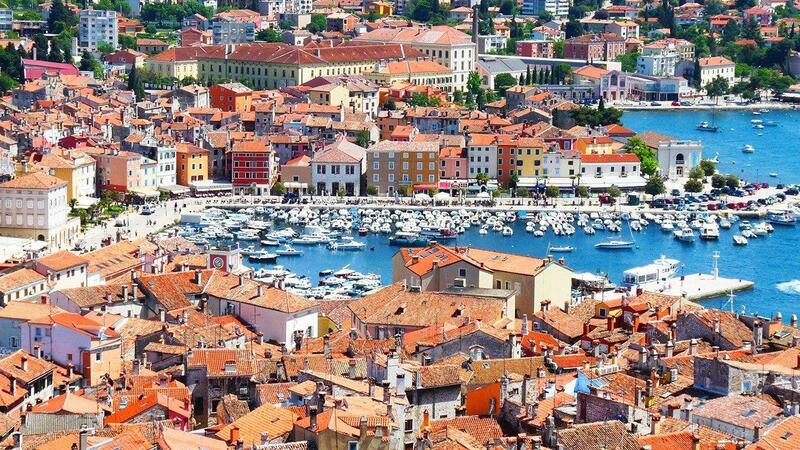 Некоторые из западных ветров временами довольно сильны, и волнорез, простирающийся с юга, обеспечивает большую защиту. 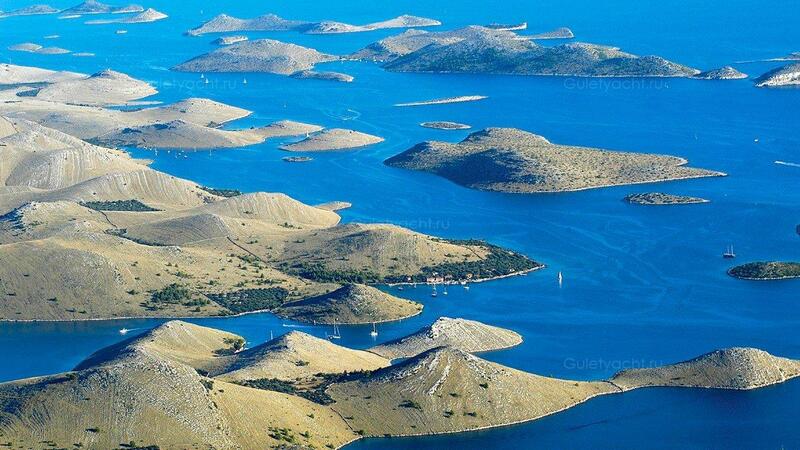 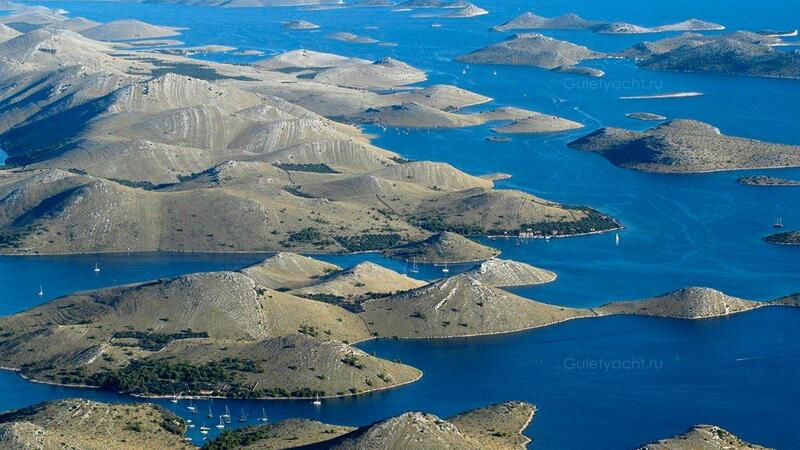 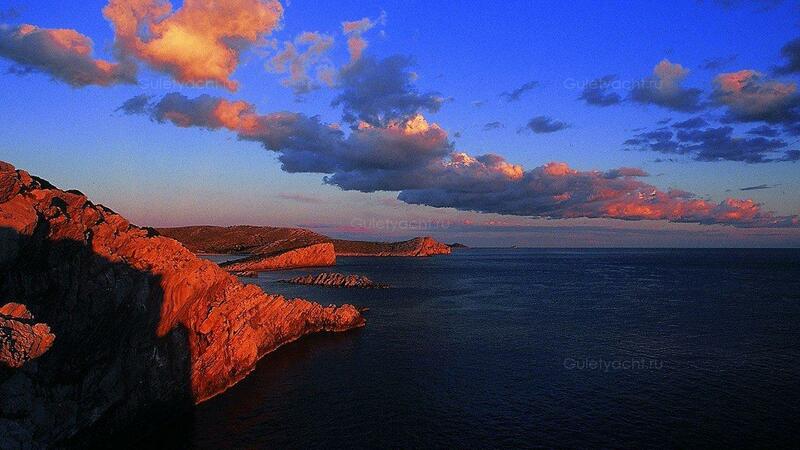 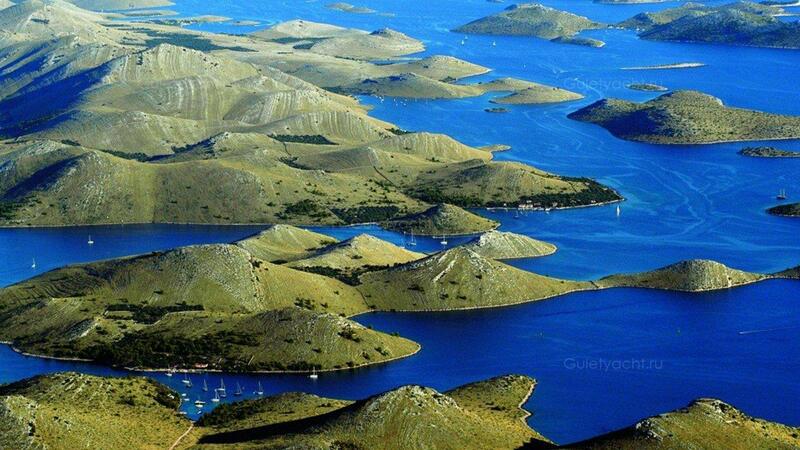 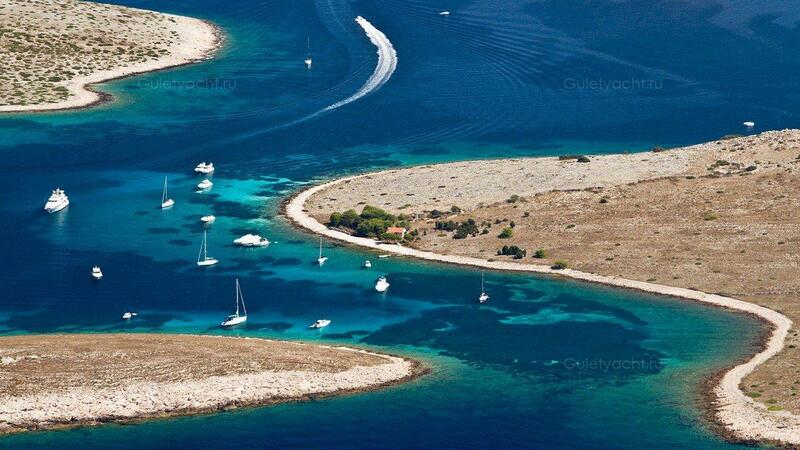 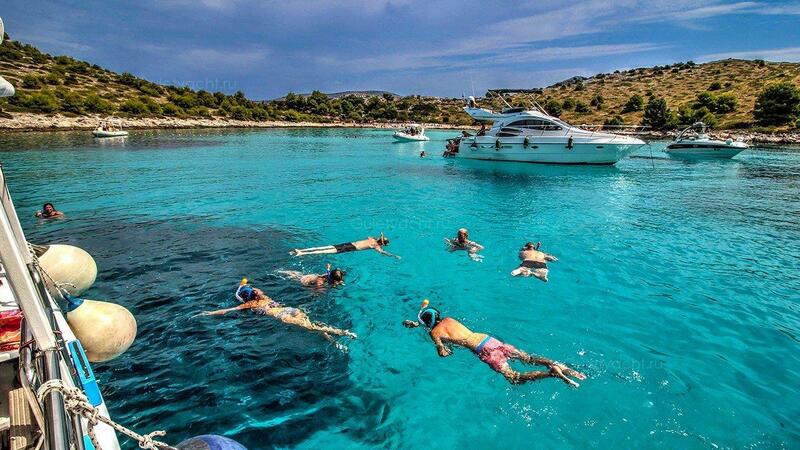 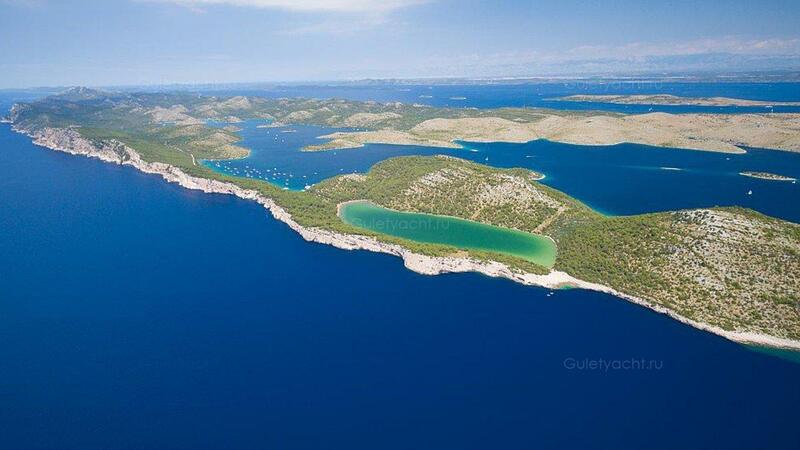 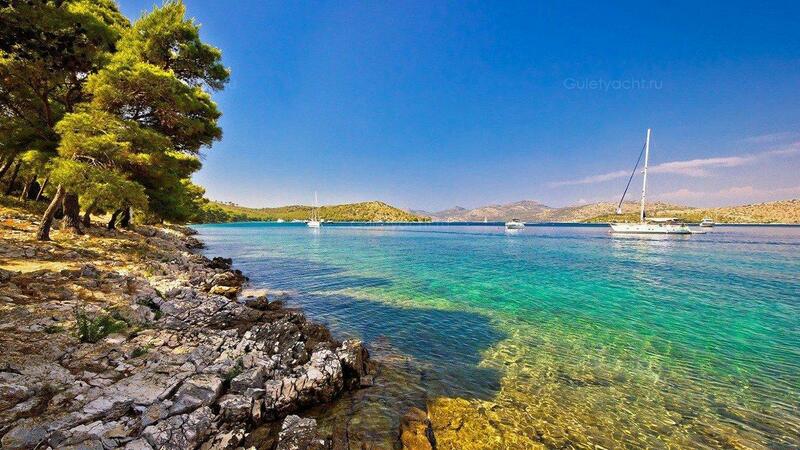 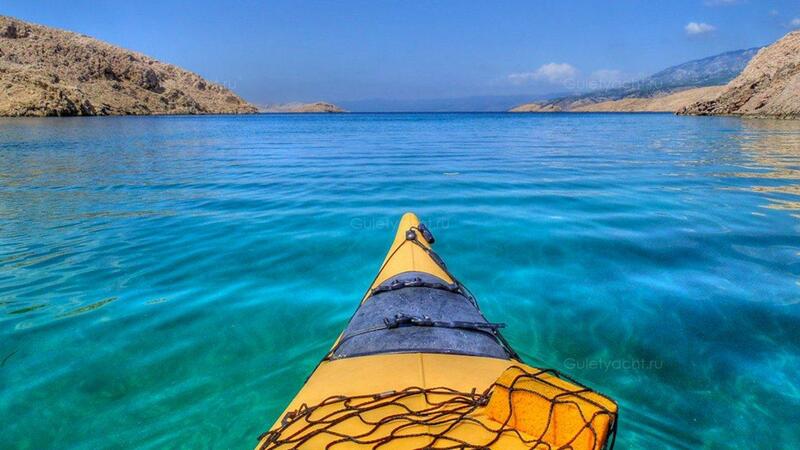 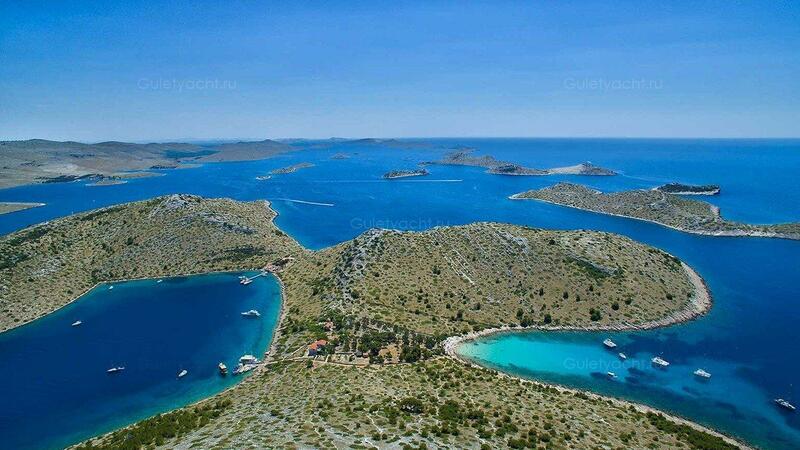 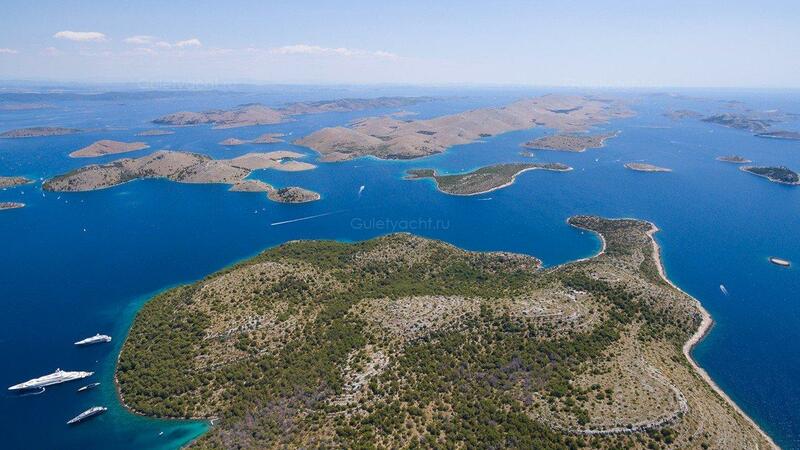 The archipelago that has become the Kornati Islands National Park is made up of nearly 100 islands. 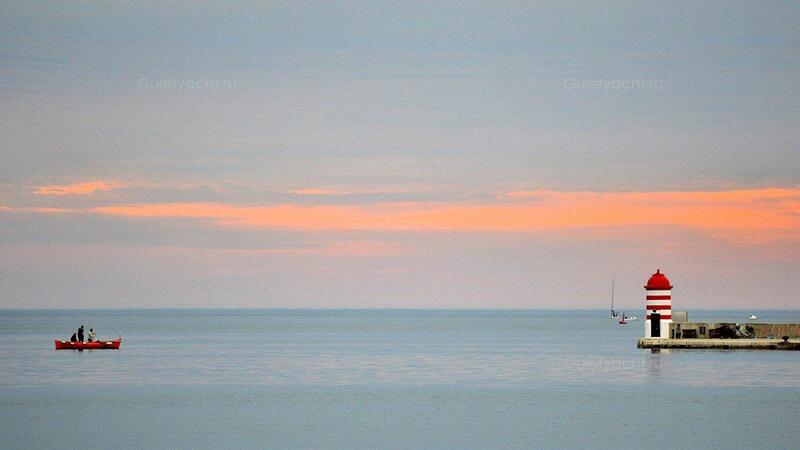 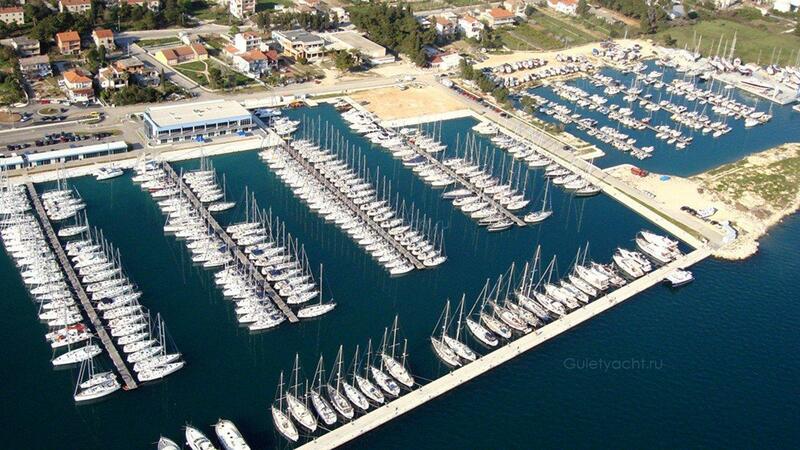 It is difficult to imagine a better place for sailing. 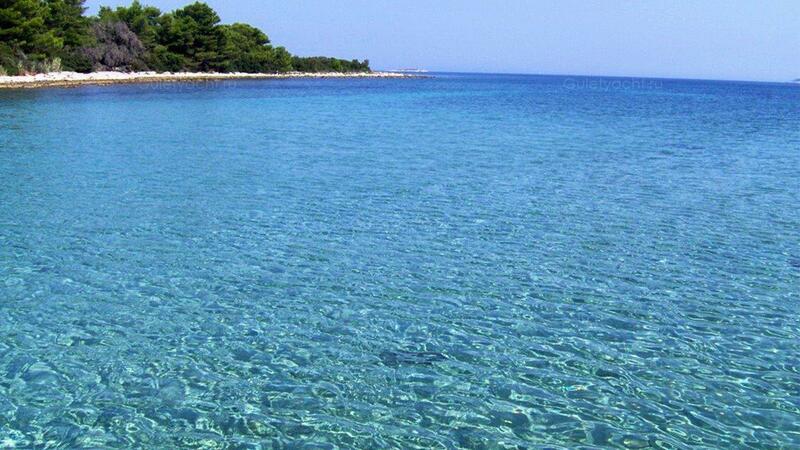 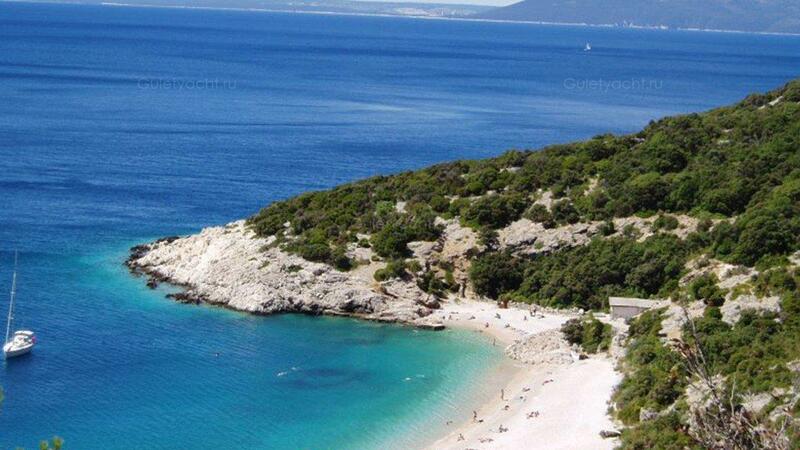 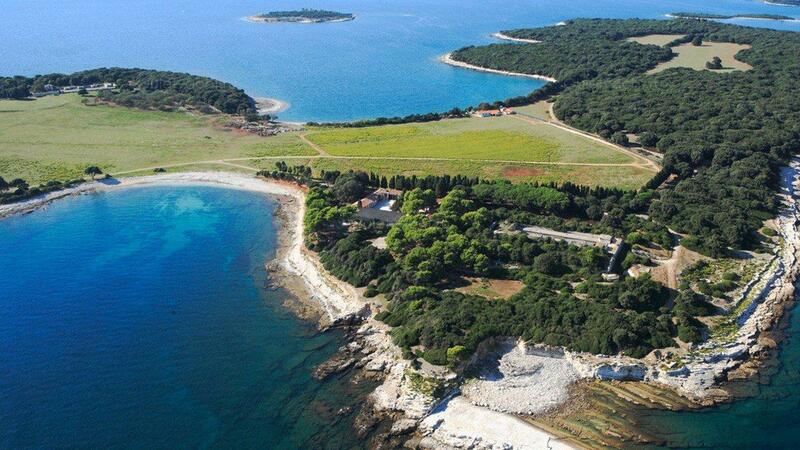 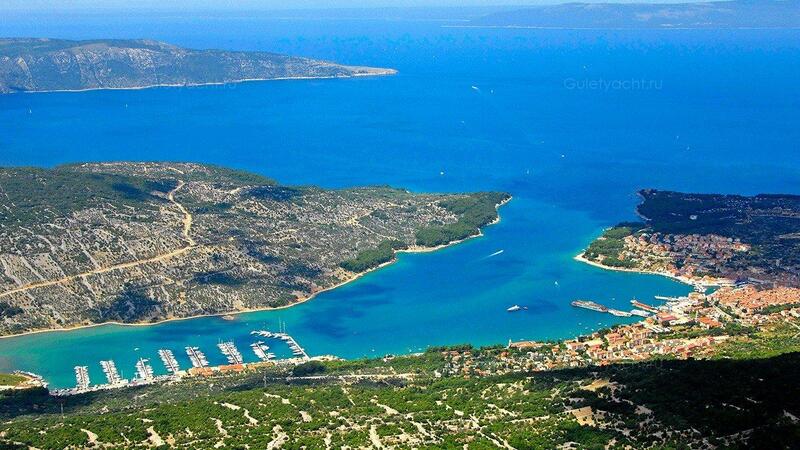 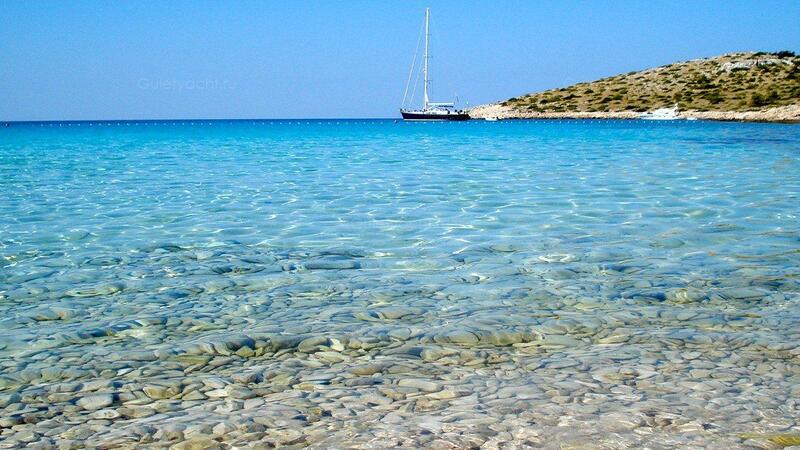 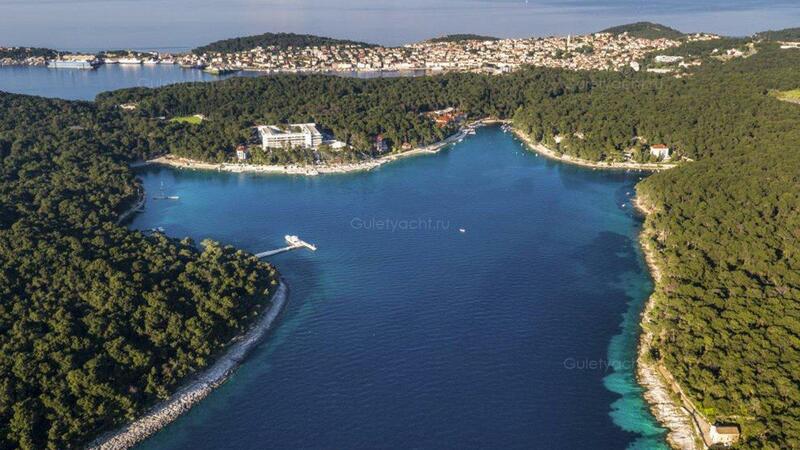 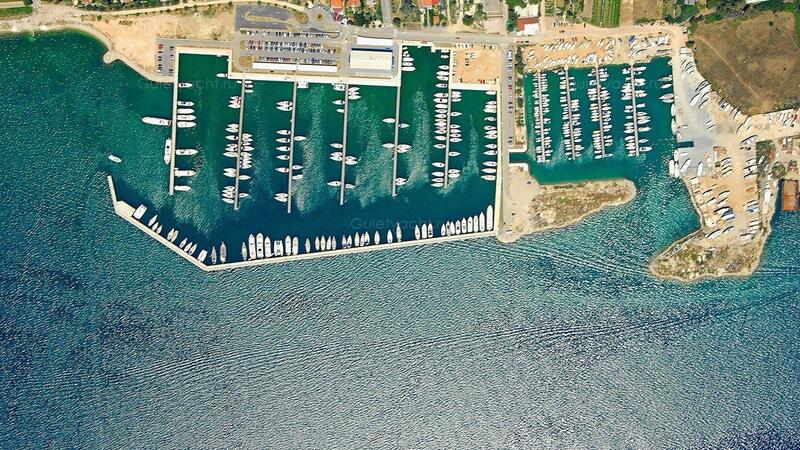 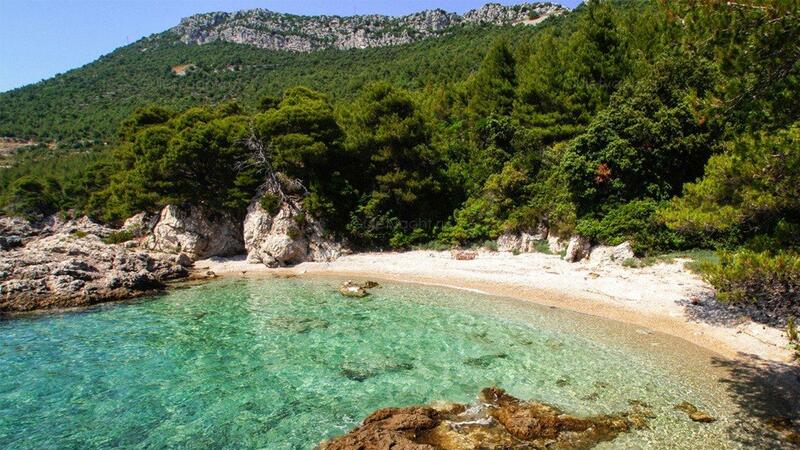 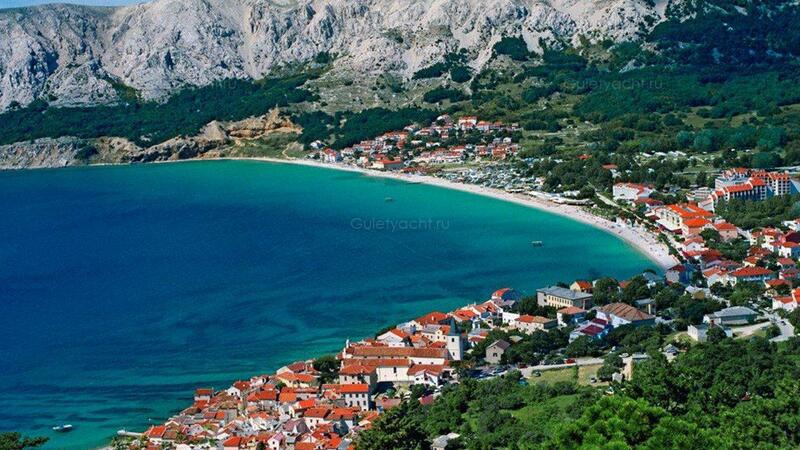 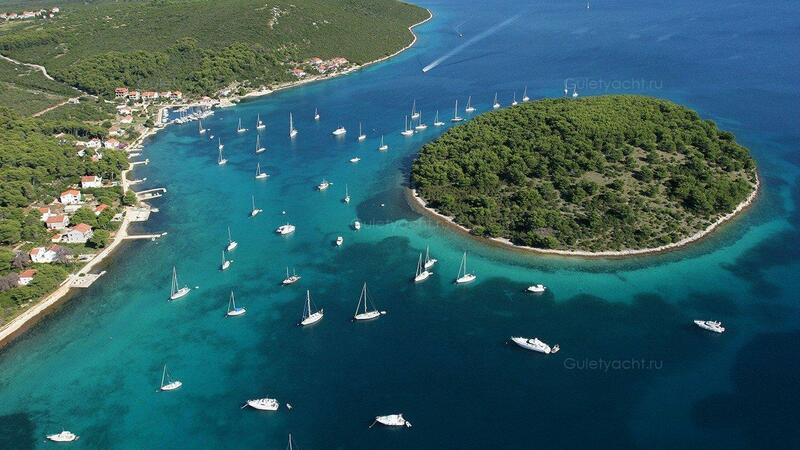 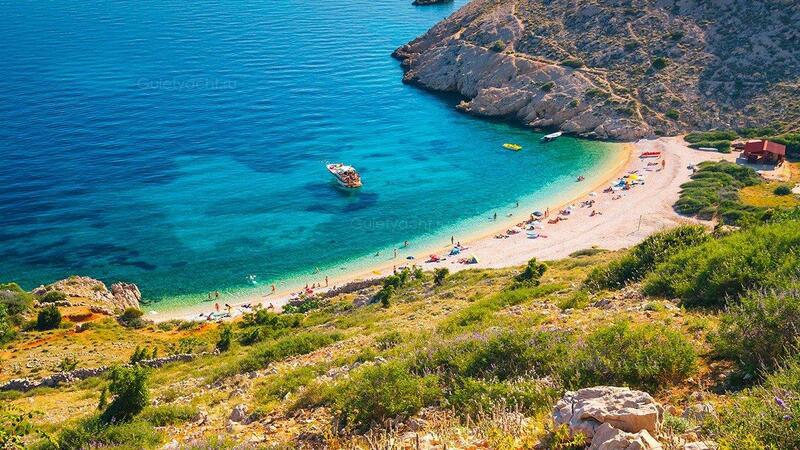 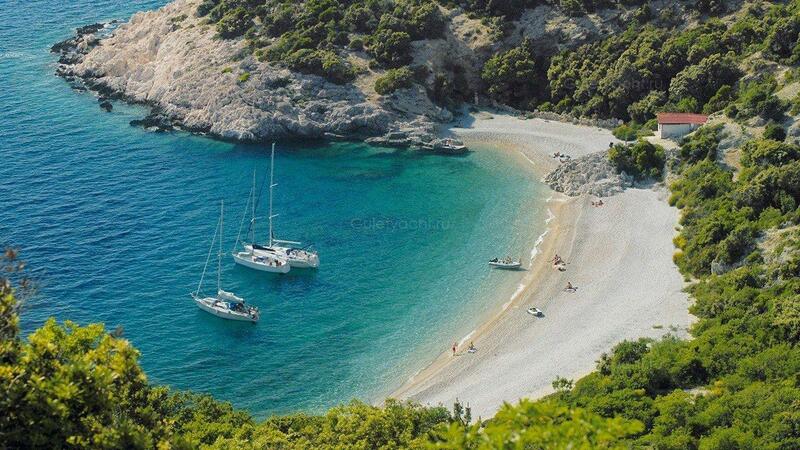 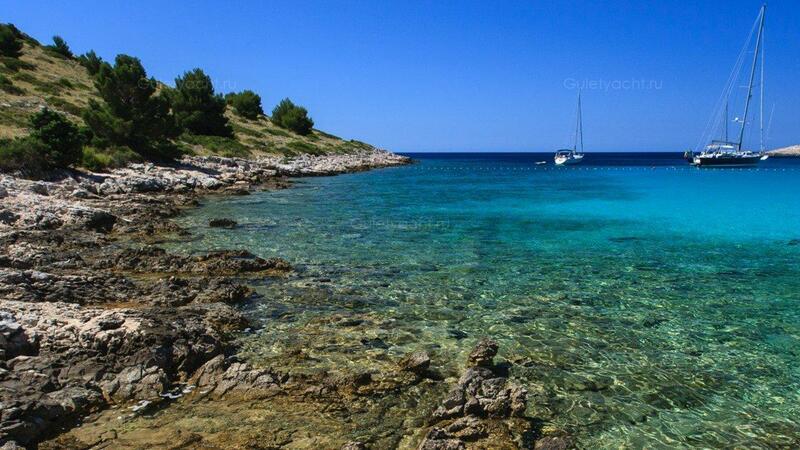 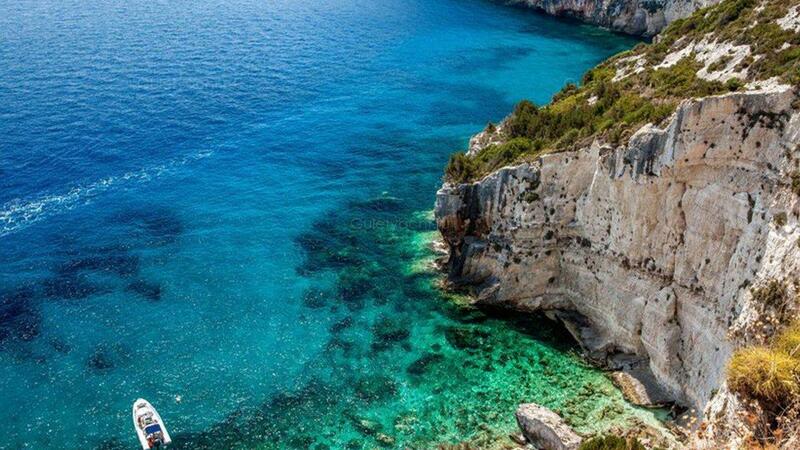 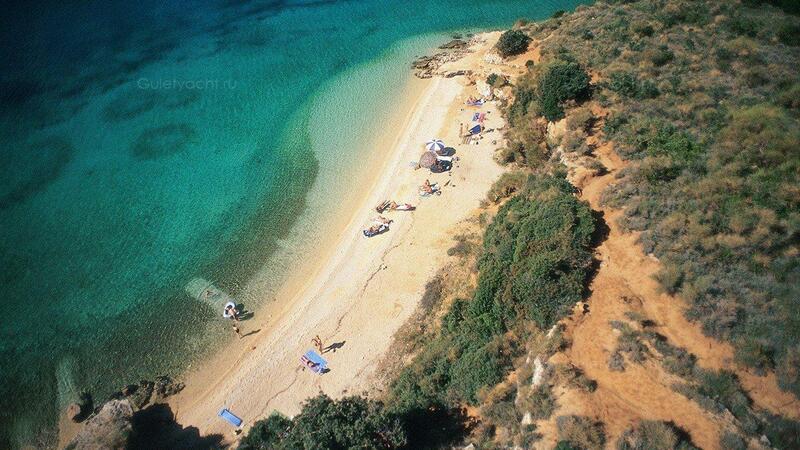 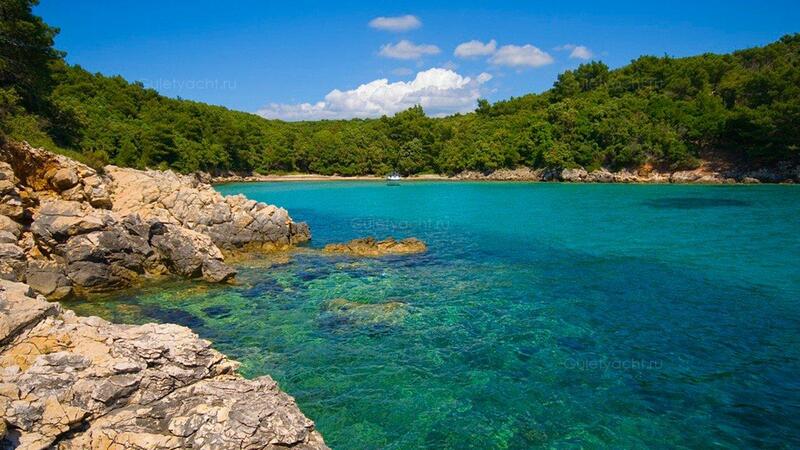 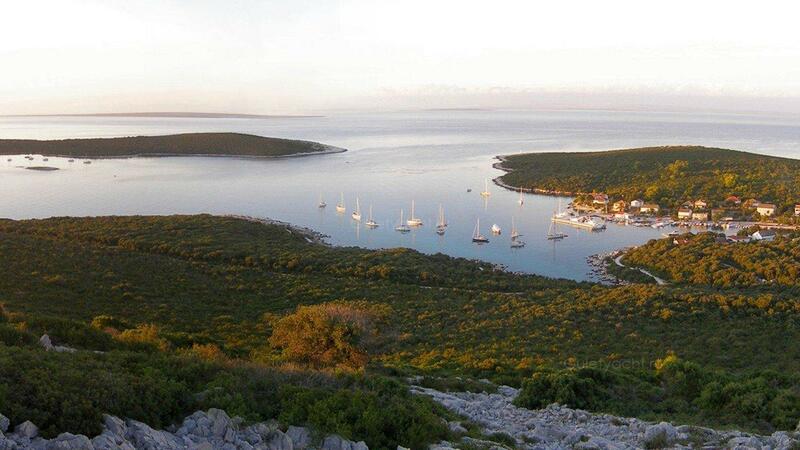 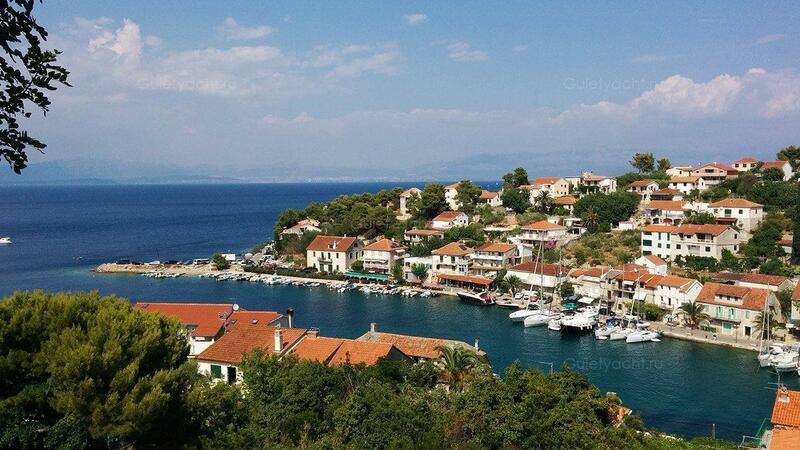 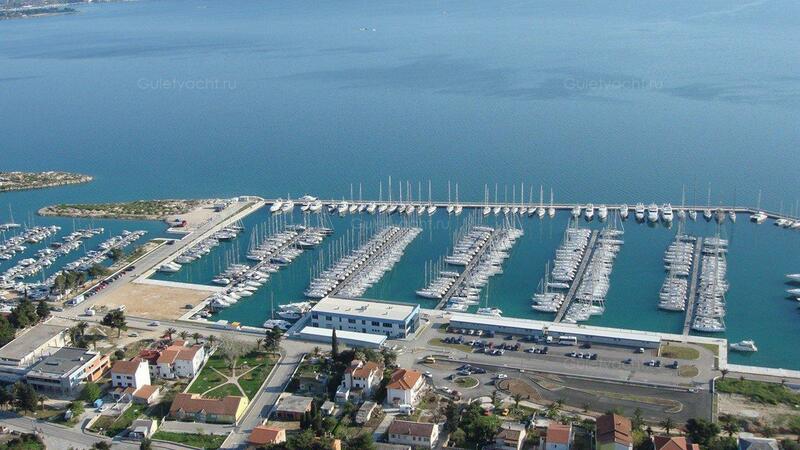 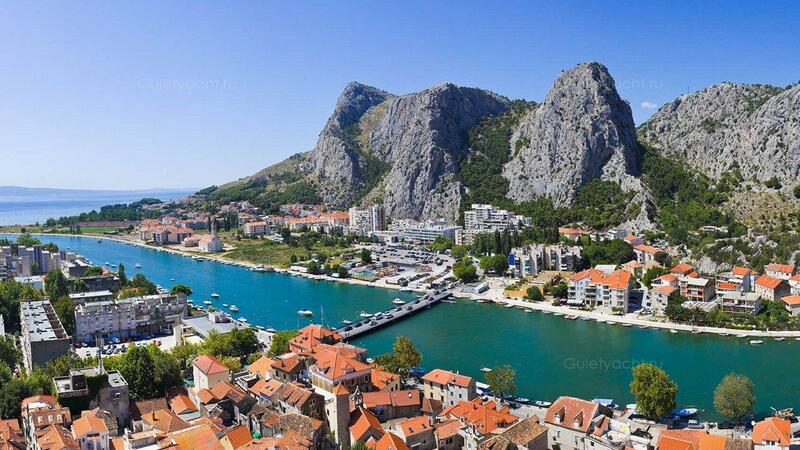 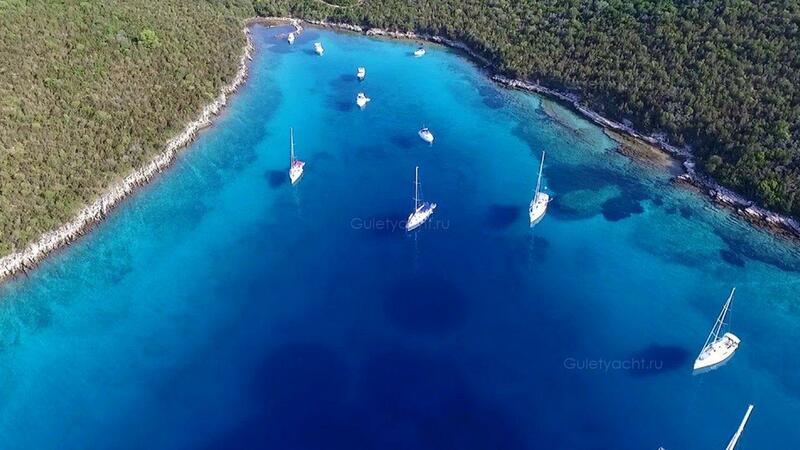 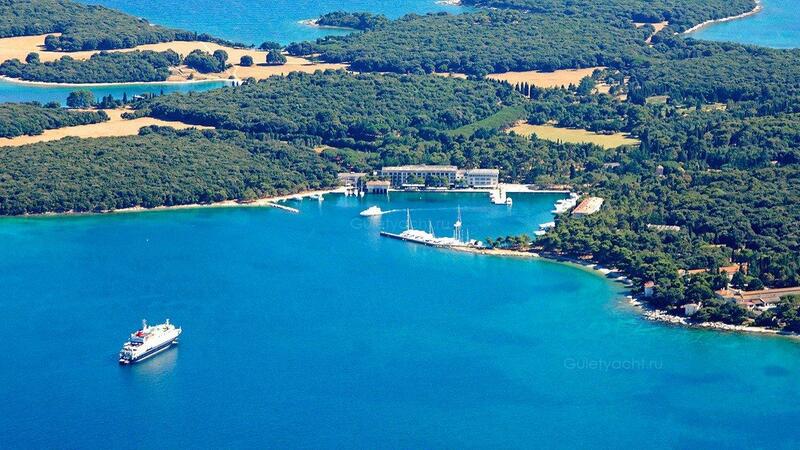 Located just a short distance north west of Kaprije, yachts need to buy a ticket in order to sail in these waters. 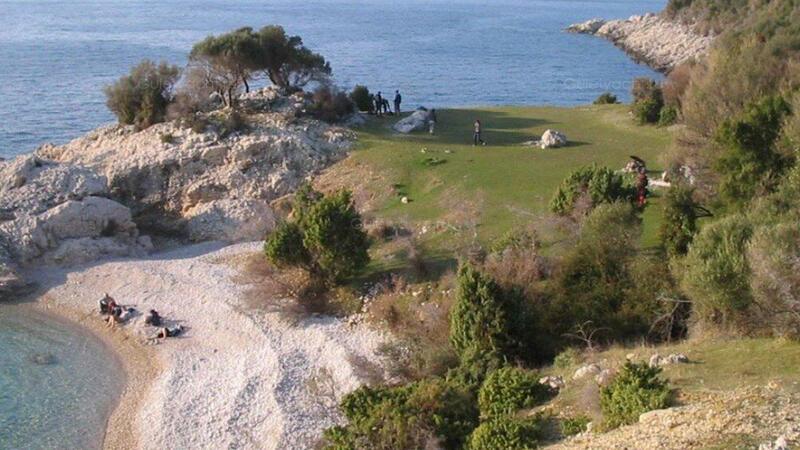 They can be bought in advance or from rangers in locations within the Park. 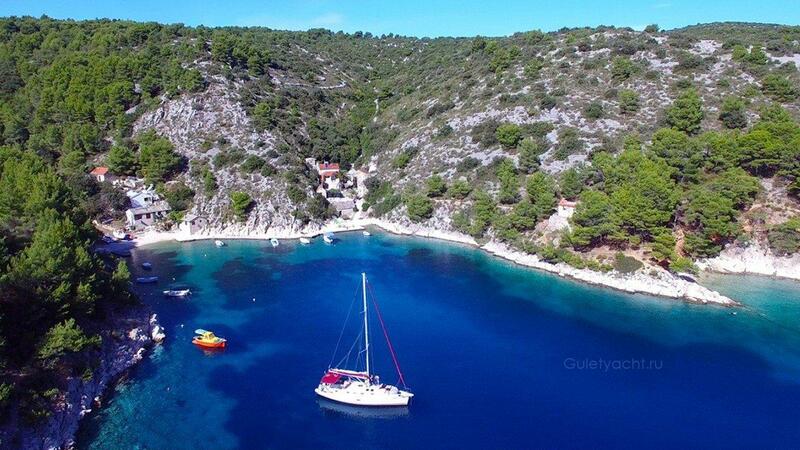 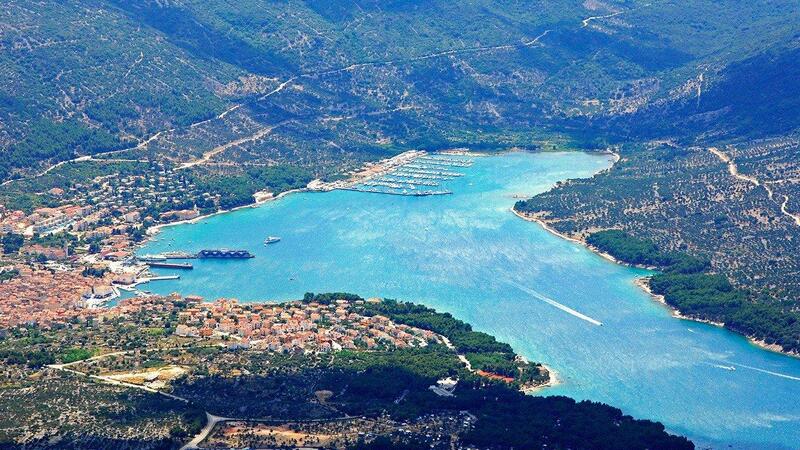 There are few better places for simply relaxing and cruising amongst the islands, exploring the many coves and bays. 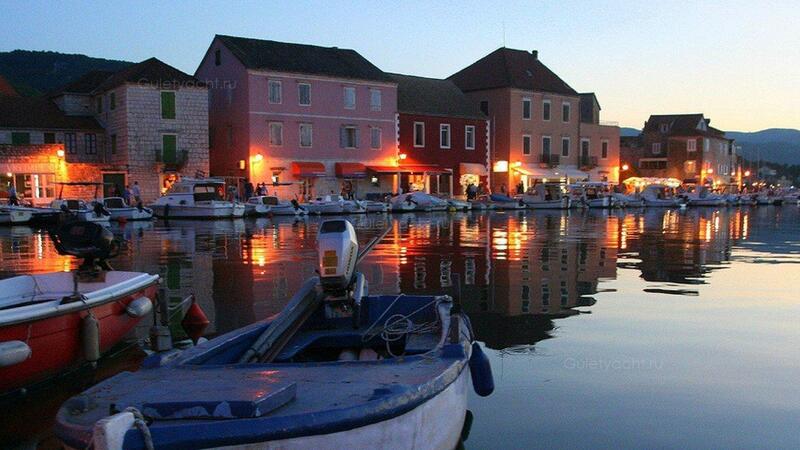 Ravni Zakan is a good island for mooring overnight if you wish to enjoy lovely local cuisine. 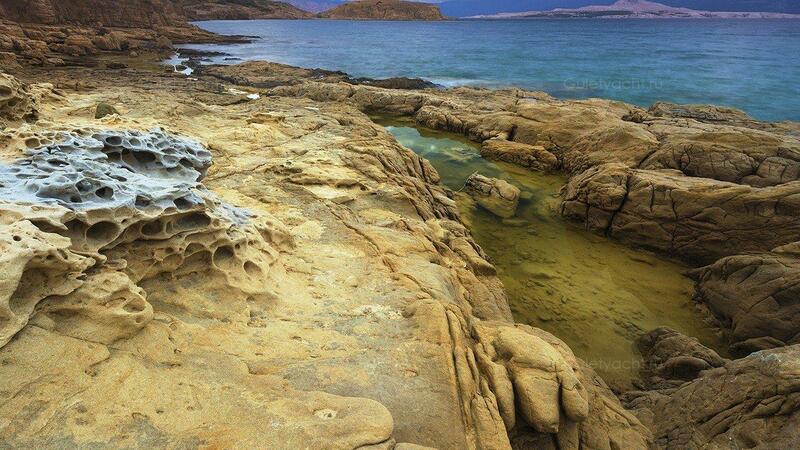 Архипелаг, который стал Национальным парком острова Корнаты, состоит из почти 100 островов. 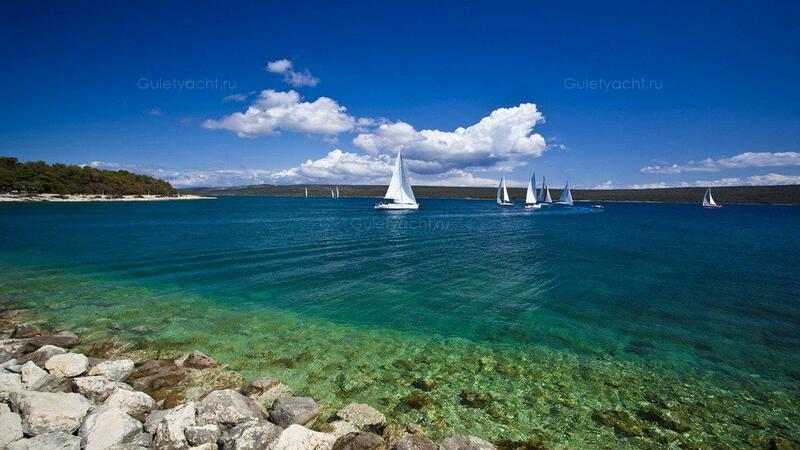 Трудно представить себе лучшее место для плавания. 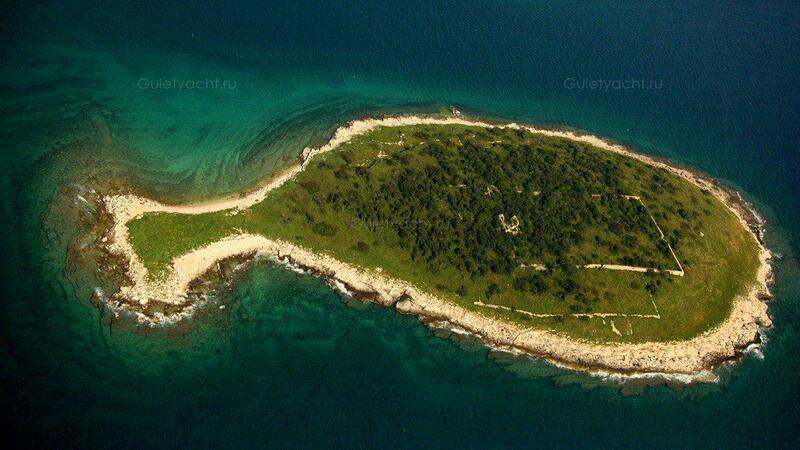 Расположенный на небольшом расстоянии к северо-западу от Каприэ, яхты должны купить билет, чтобы плавать в этих водах. 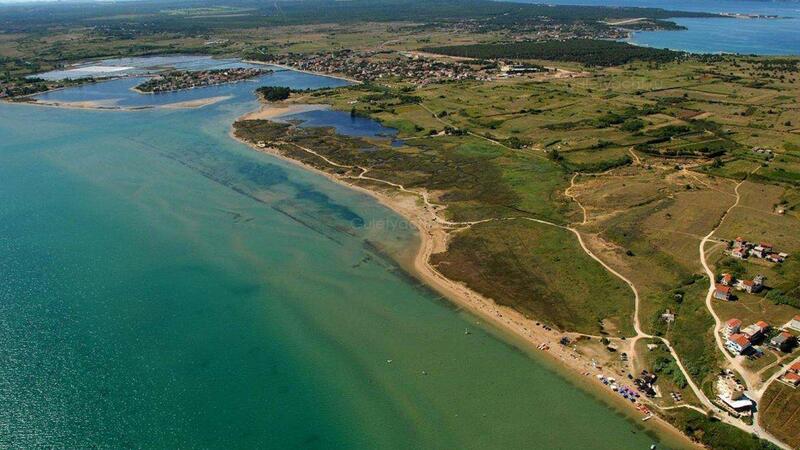 Их можно купить заранее или от рейнджеров в местах в парке. 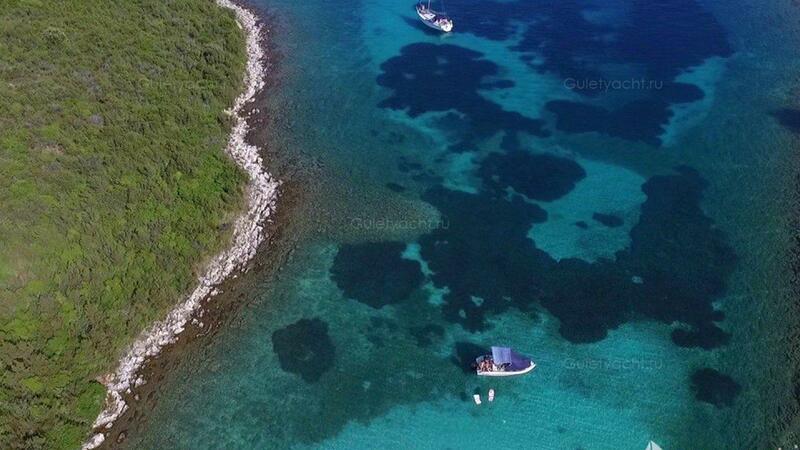 Есть несколько лучших мест для спокойного отдыха и путешествий среди островов, изучения многочисленных бухт и бухт. 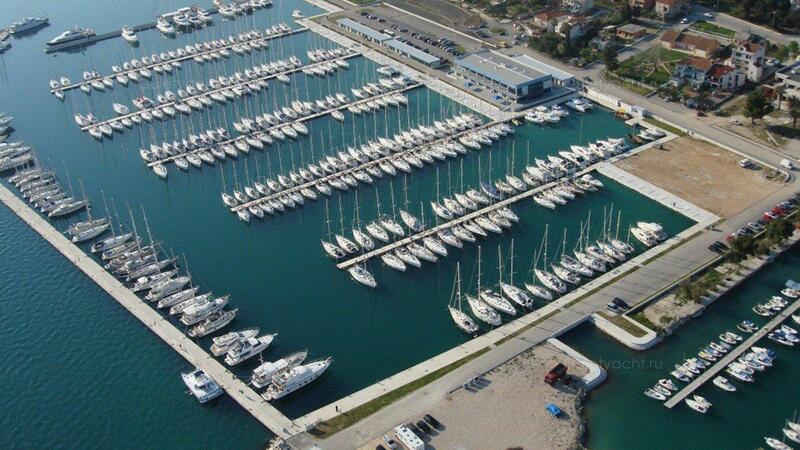 Равни Закан - хороший остров для причала на ночь, если вы хотите насладиться прекрасной местной кухней. 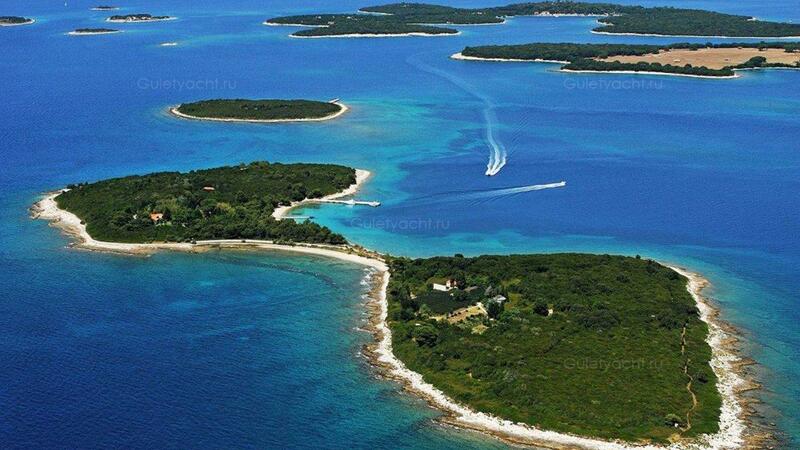 Molat, an island near to the Dalmatian City Zadar is small; under 25 square kilometres with a population of just 200 residents. 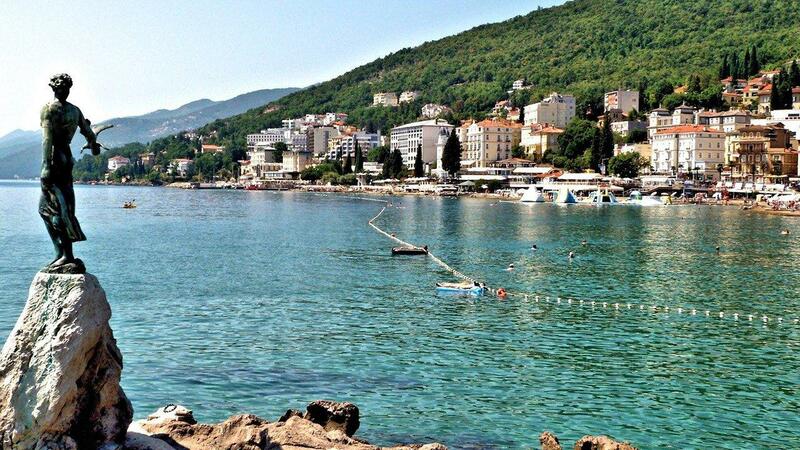 Anyone who is looking for a quiet holiday should think about Molat as an option. 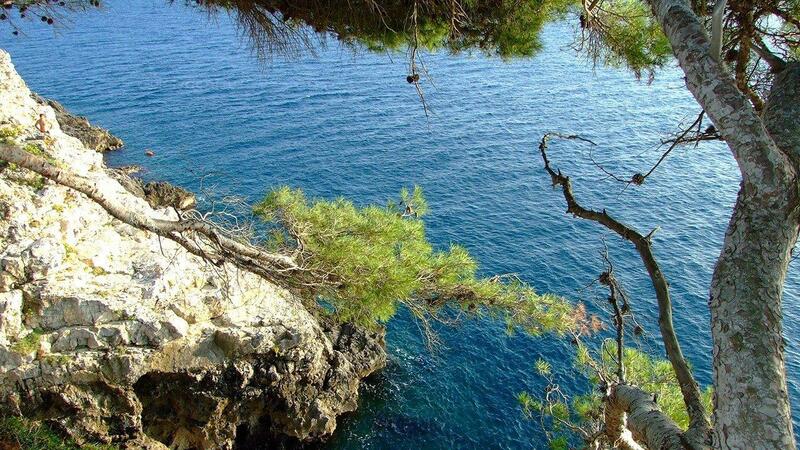 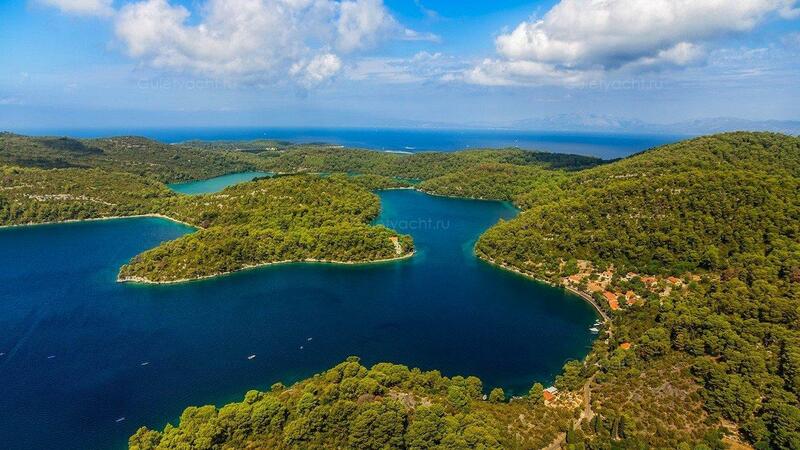 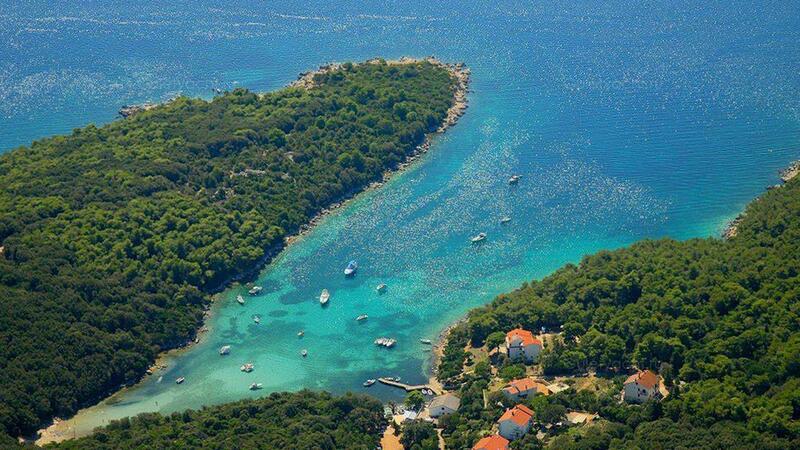 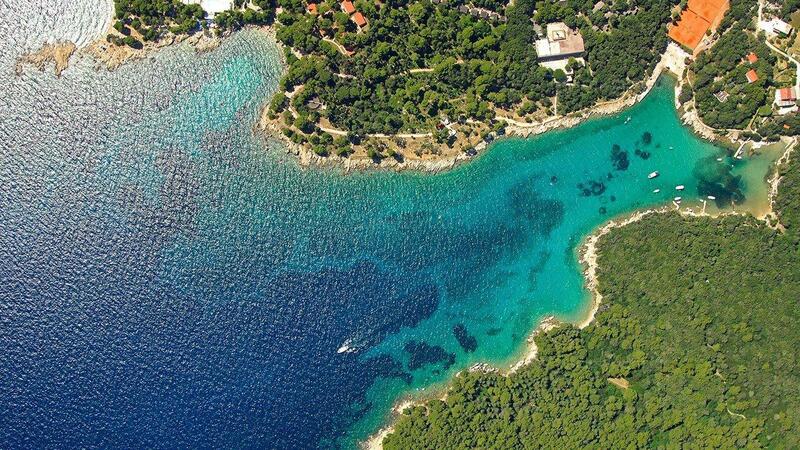 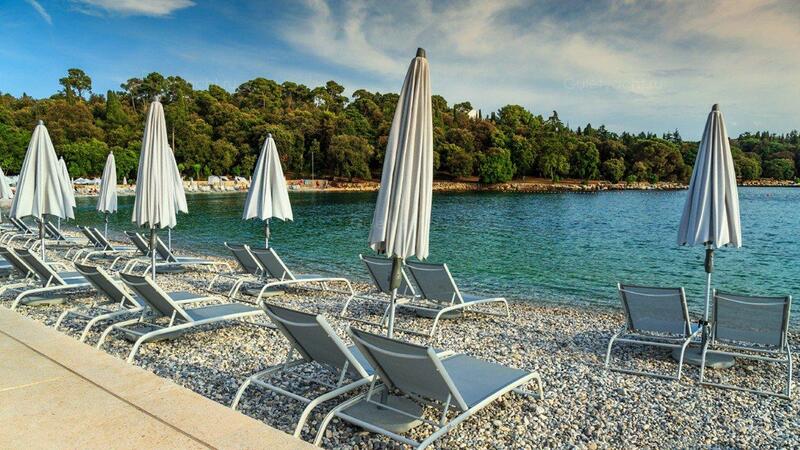 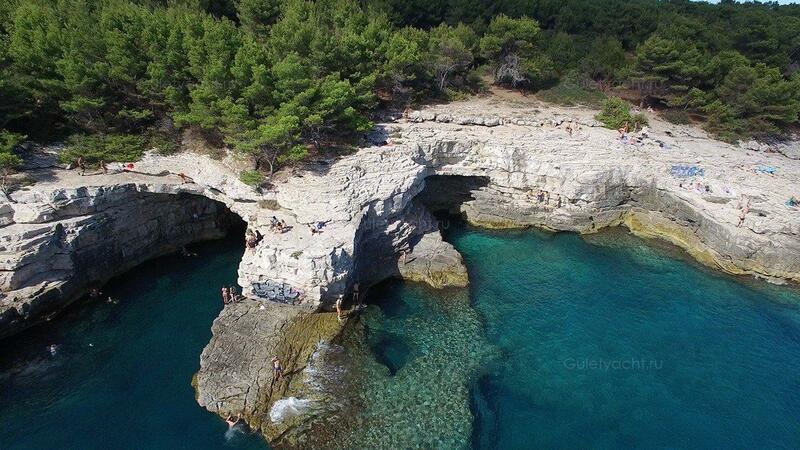 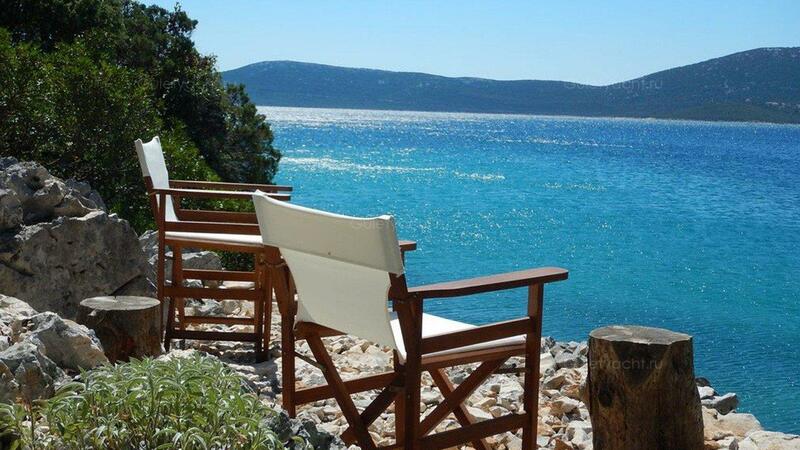 Lošinj in the Kvarner Gulf in the Northern Adriatic is known for its lush vegetation and wonderful bays. 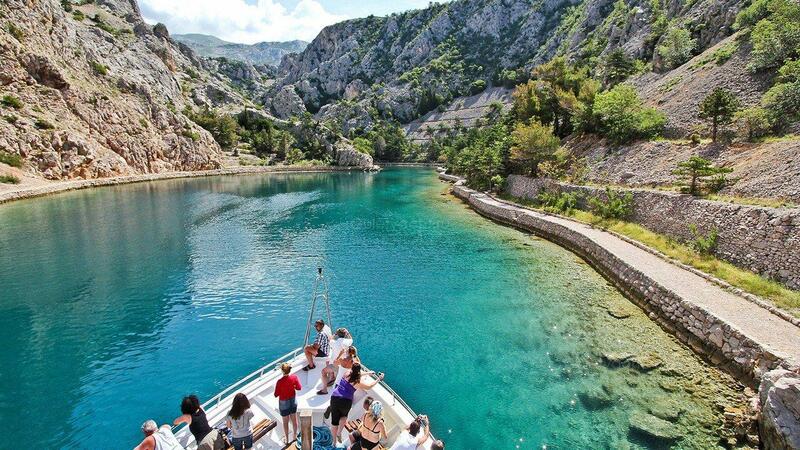 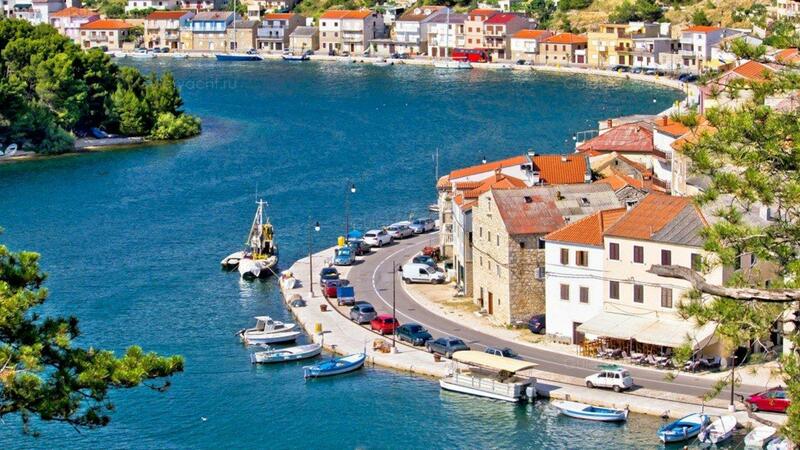 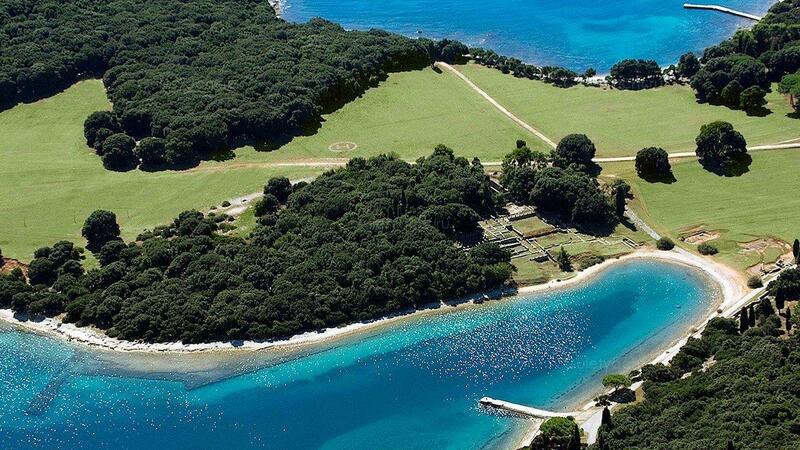 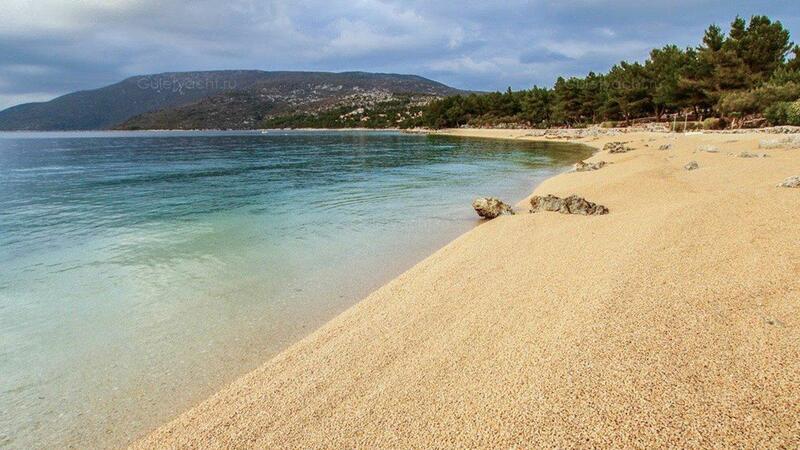 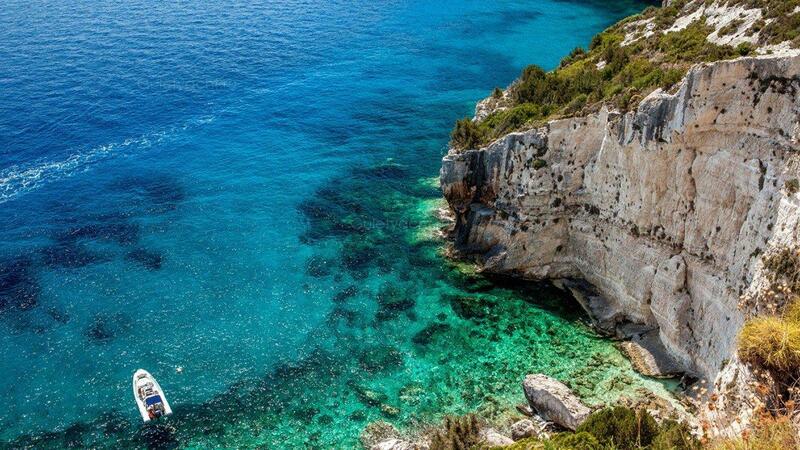 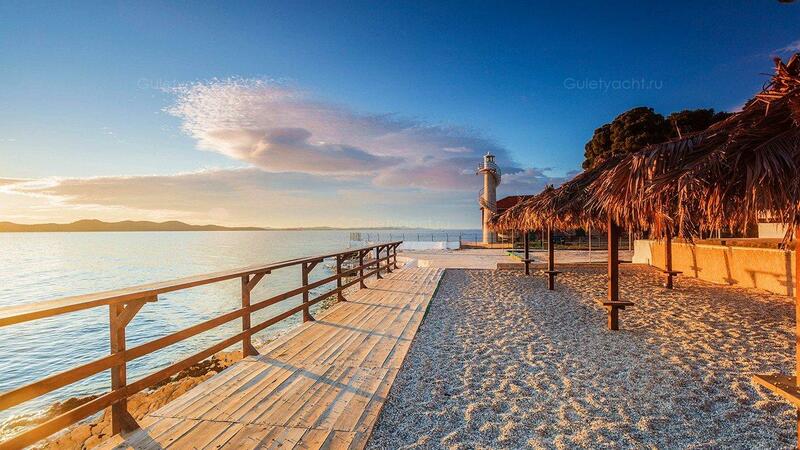 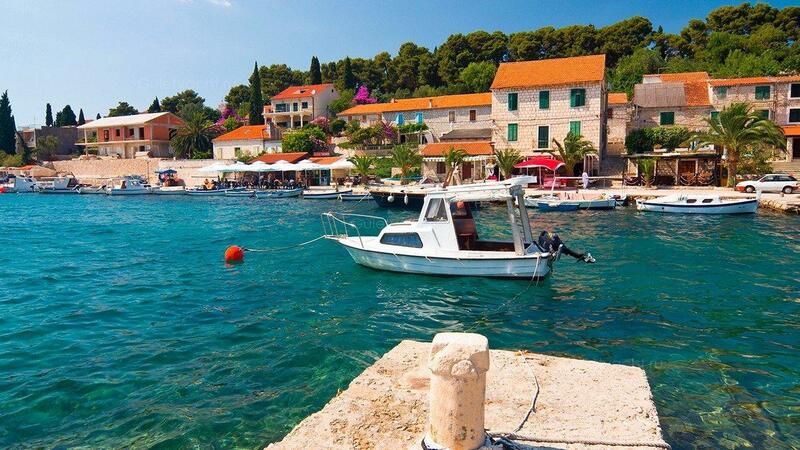 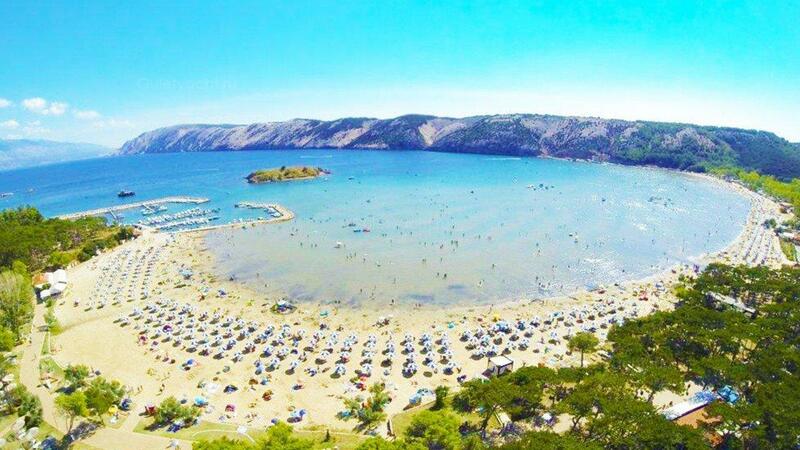 This Croatian Island has been welcoming visitors for many centuries. 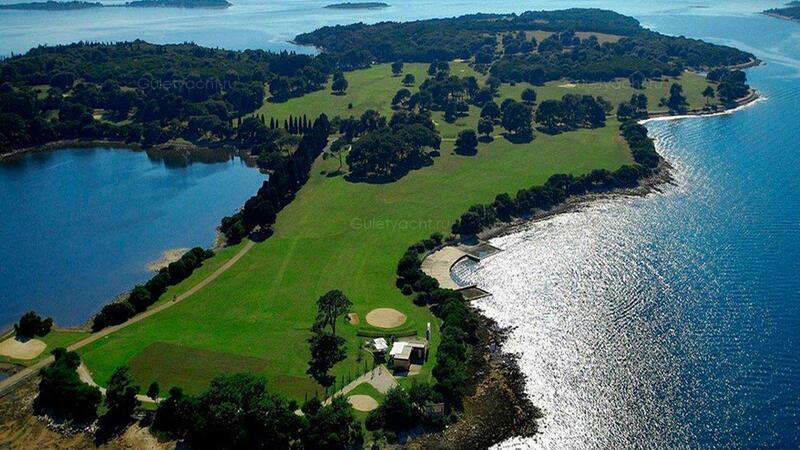 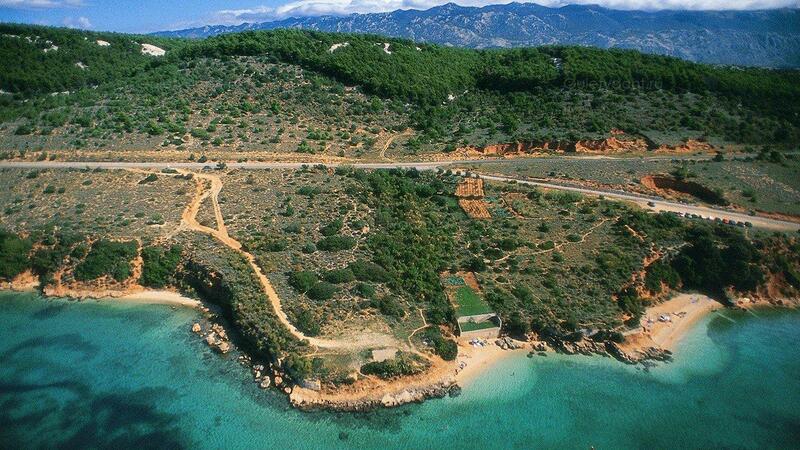 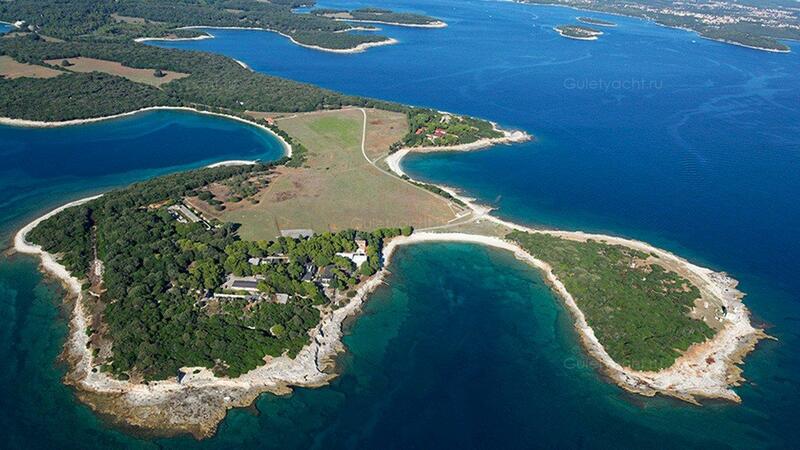 Known as the ‘’Island of Vitality’’, visitors have sought to reinvigorate body and mind. 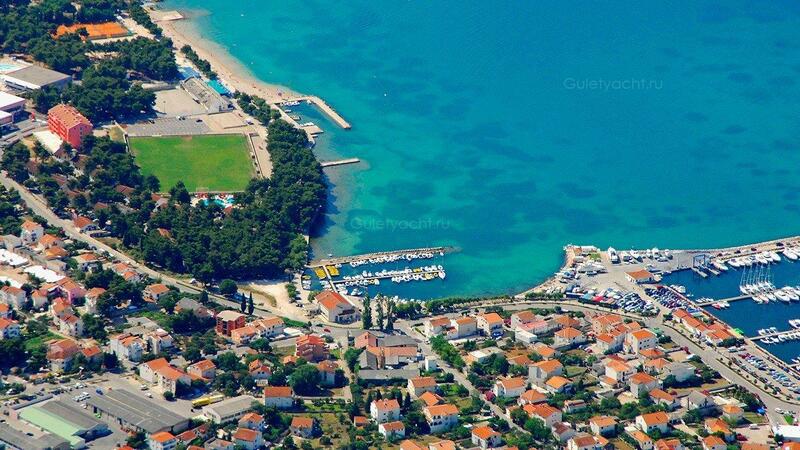 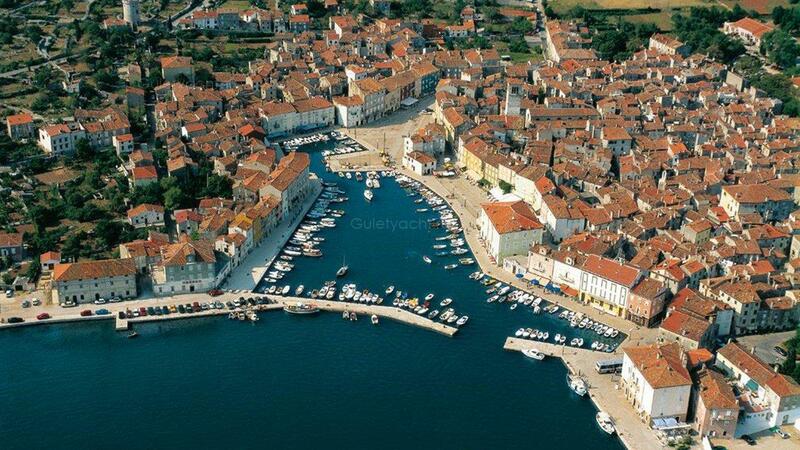 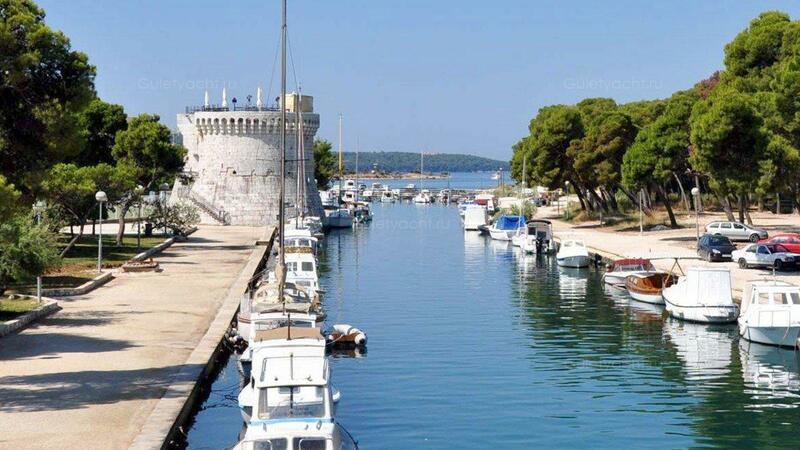 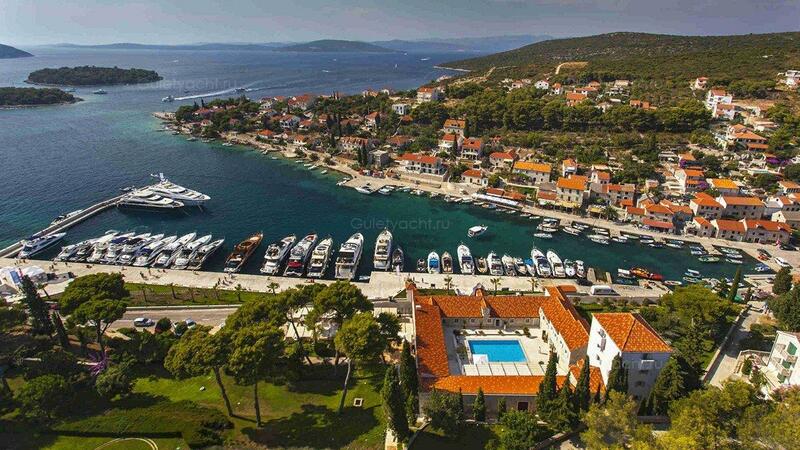 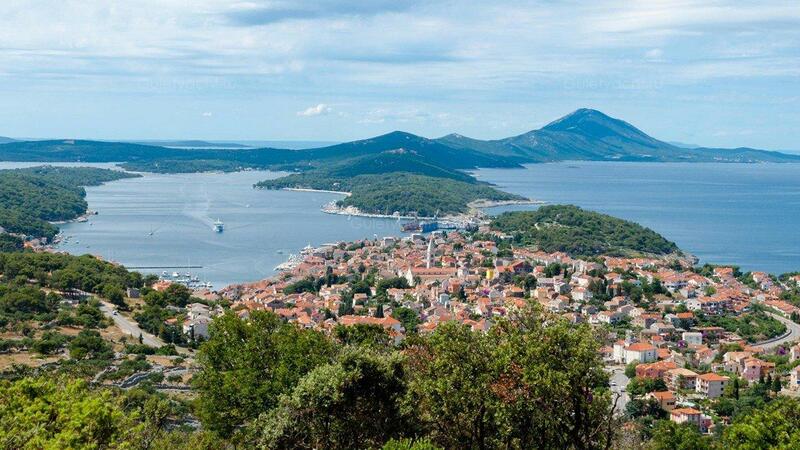 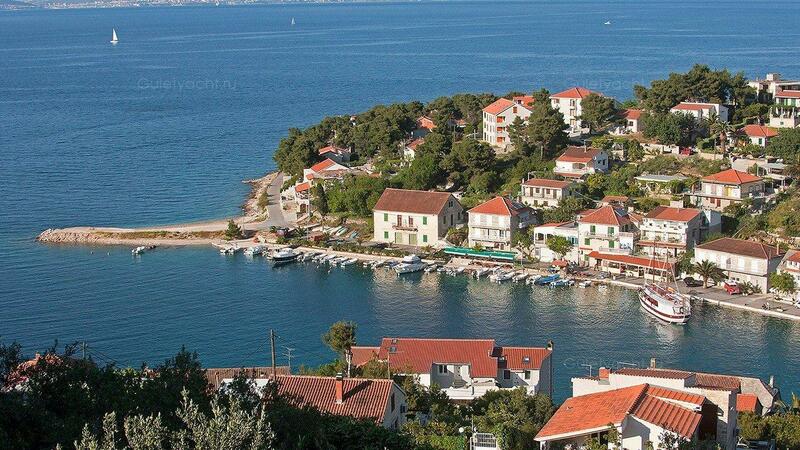 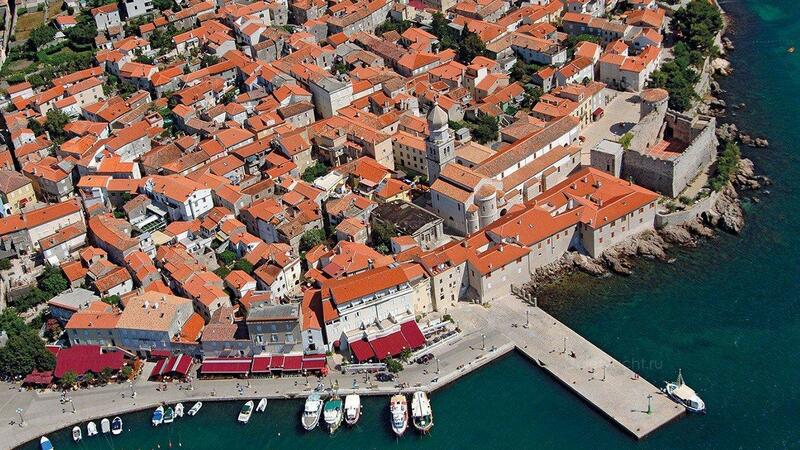 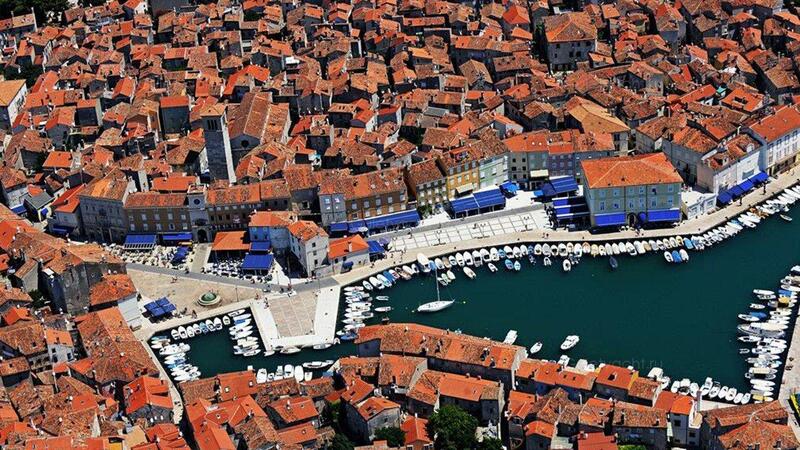 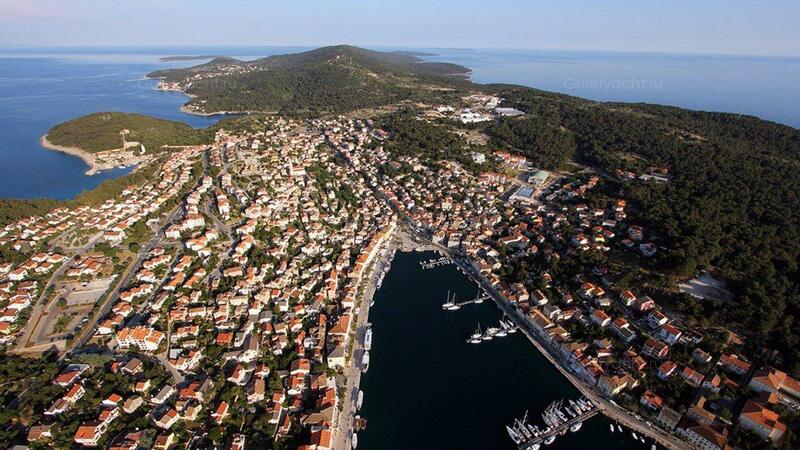 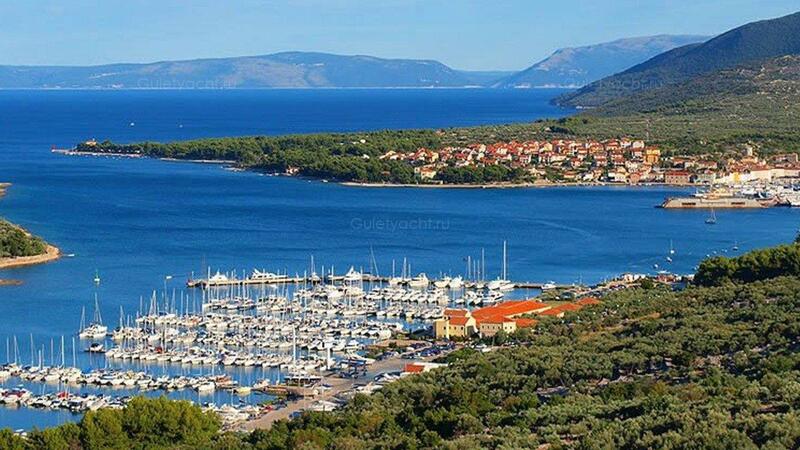 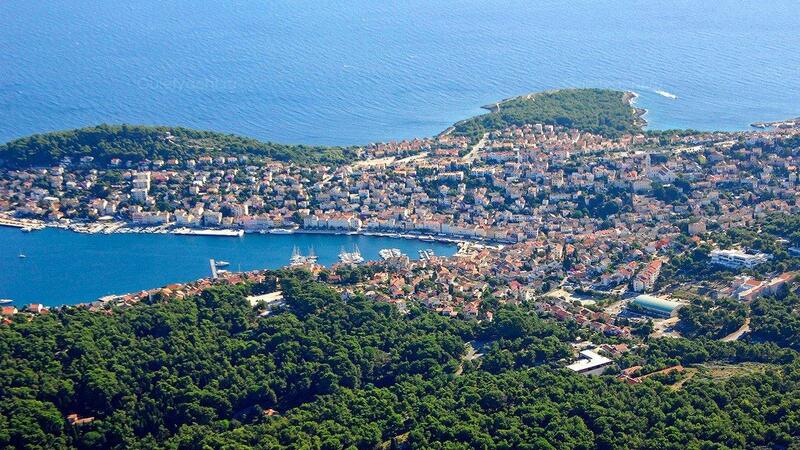 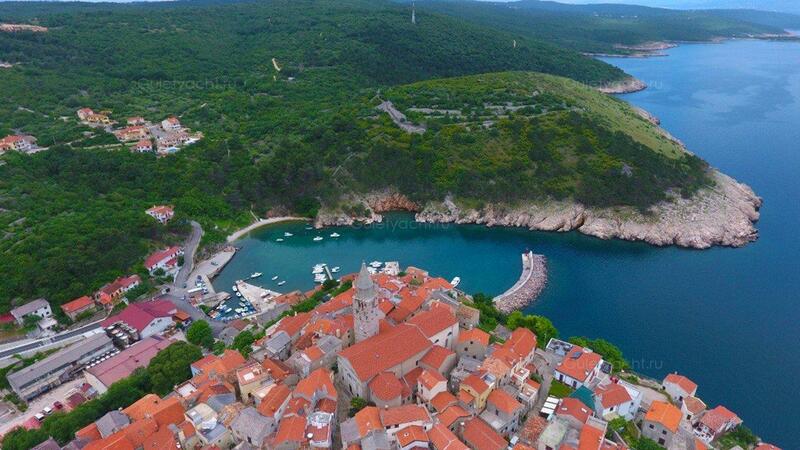 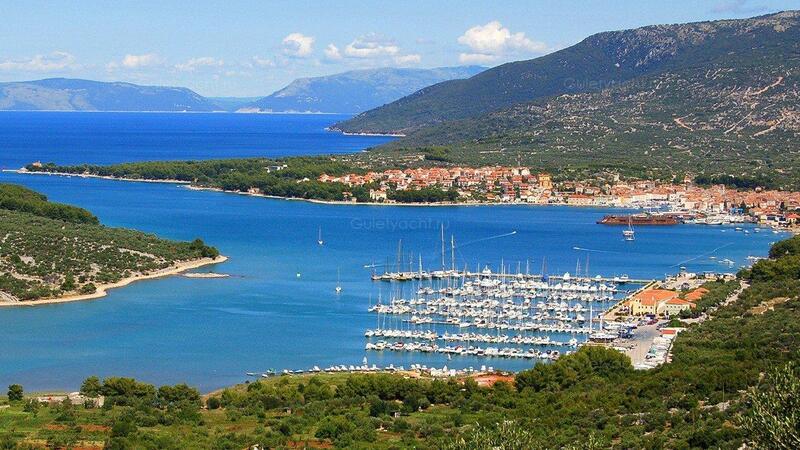 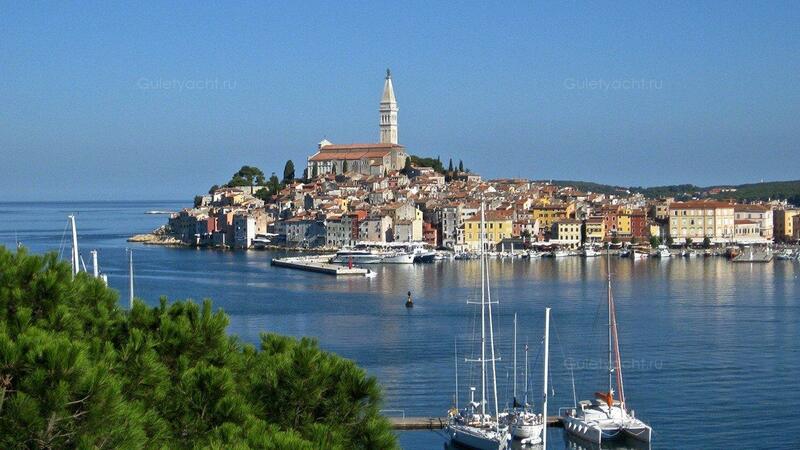 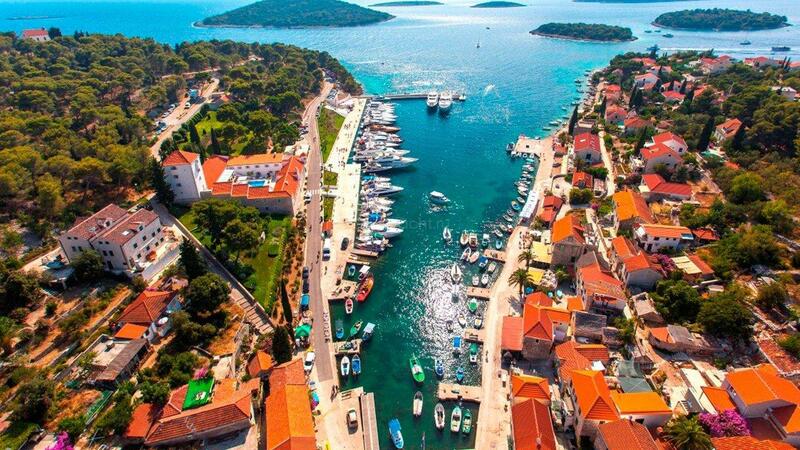 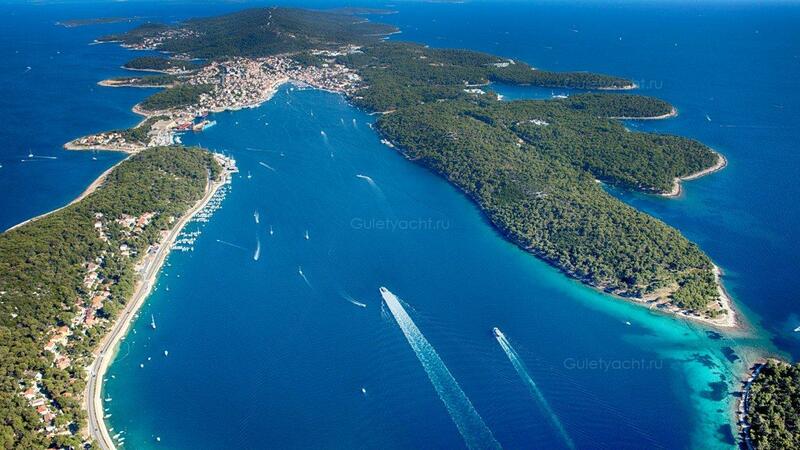 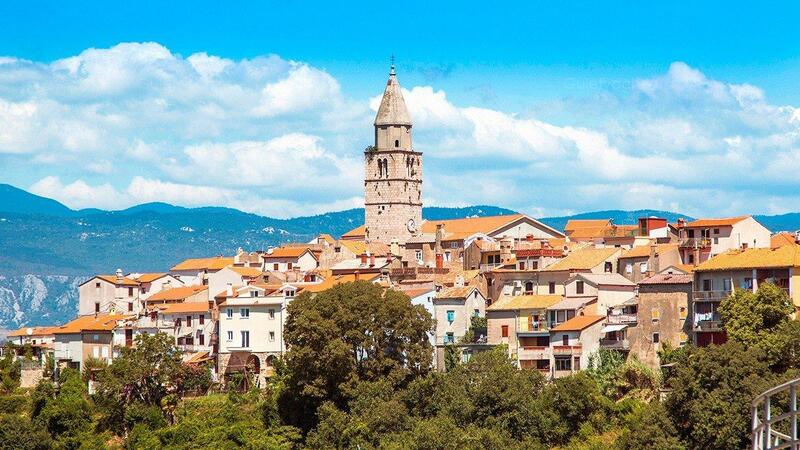 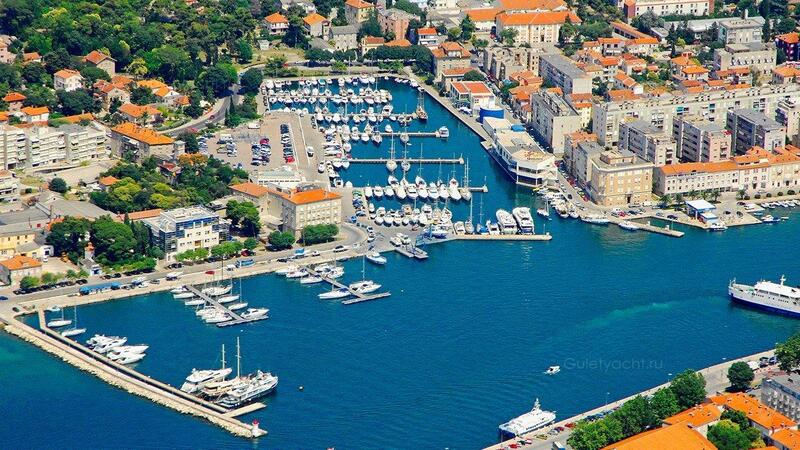 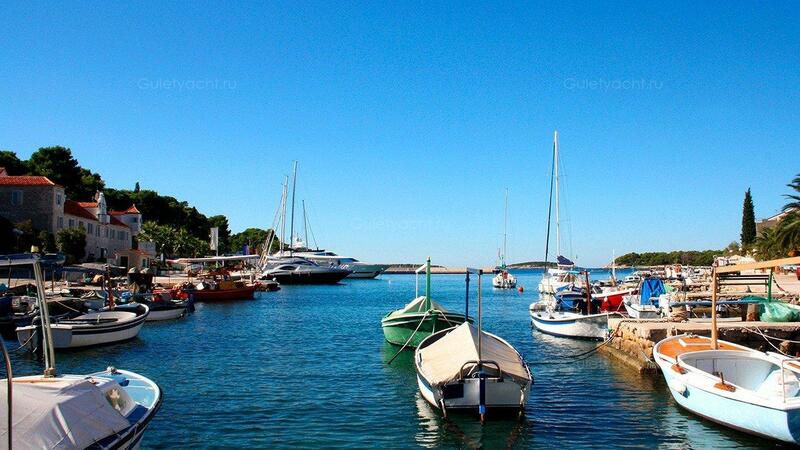 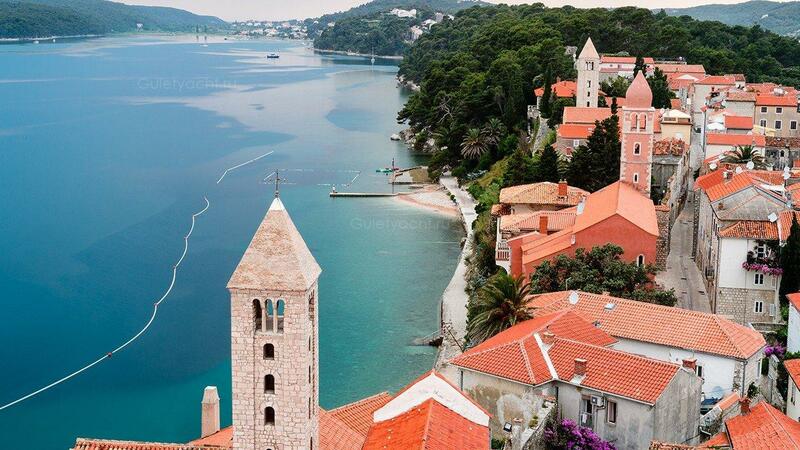 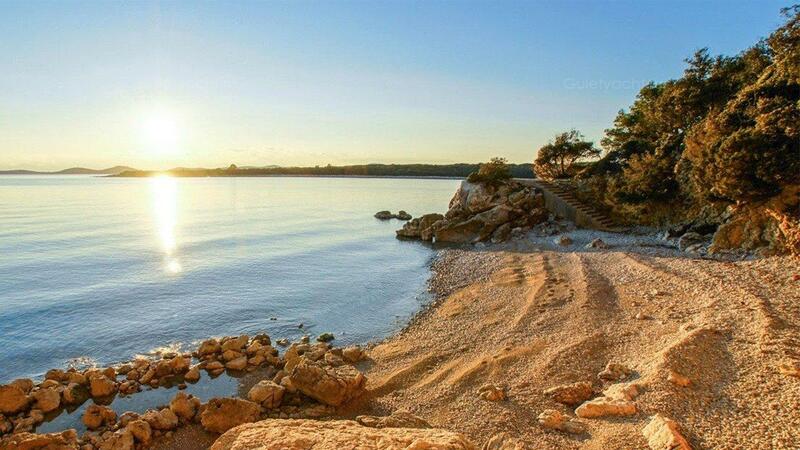 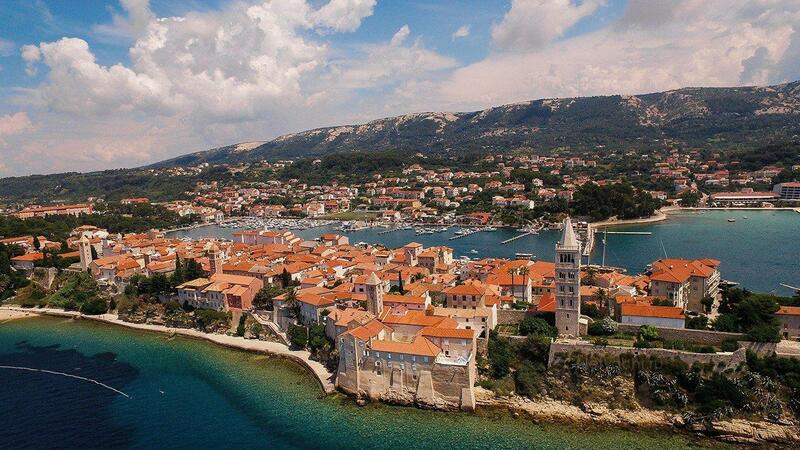 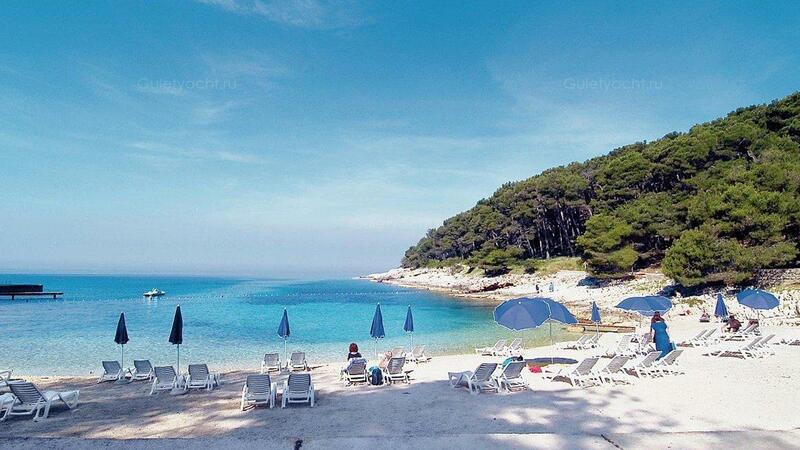 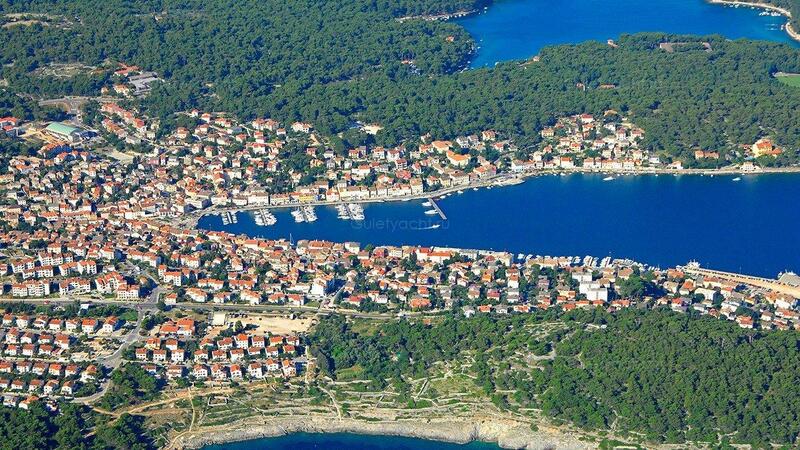 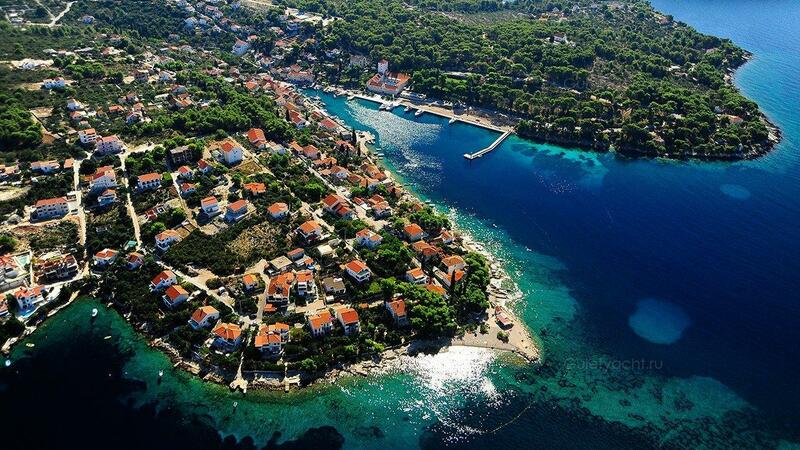 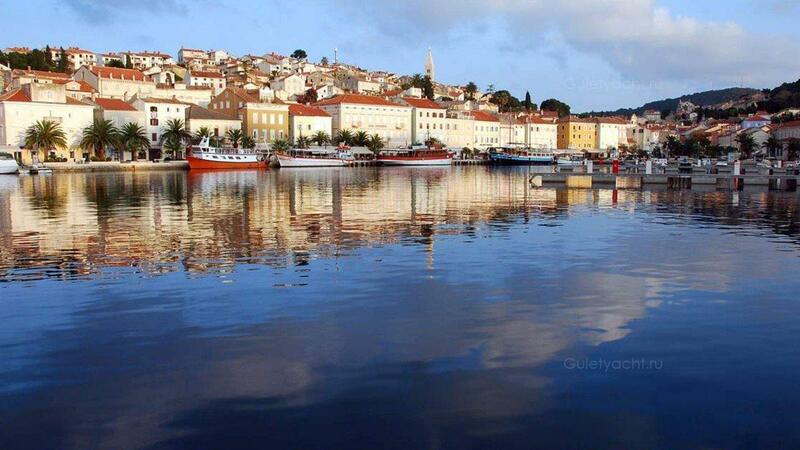 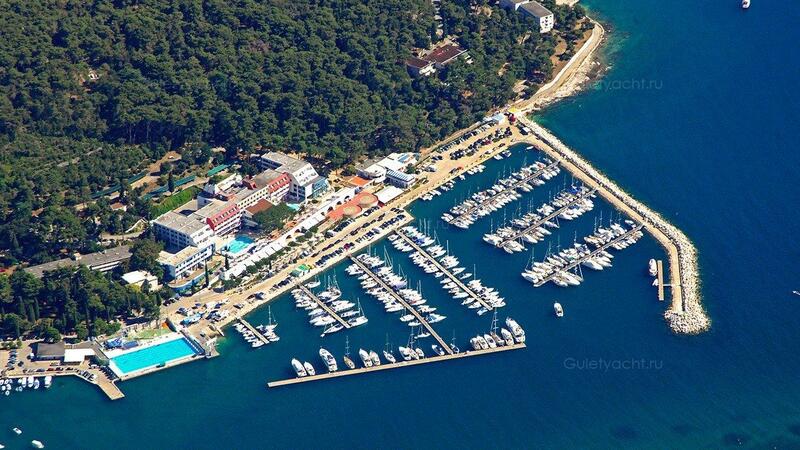 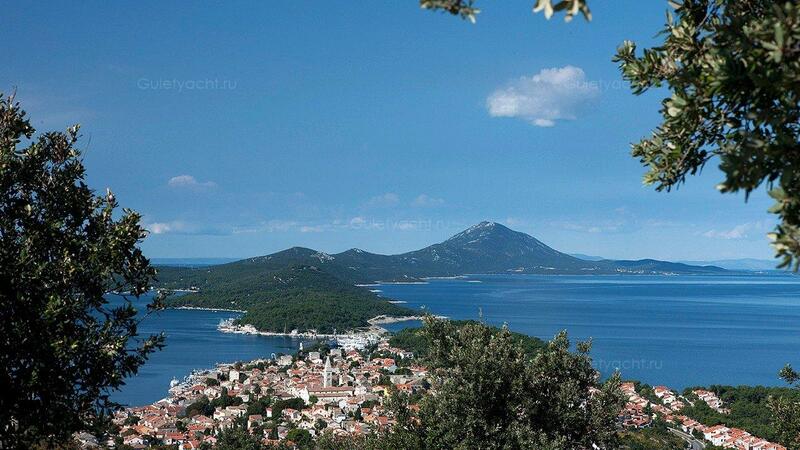 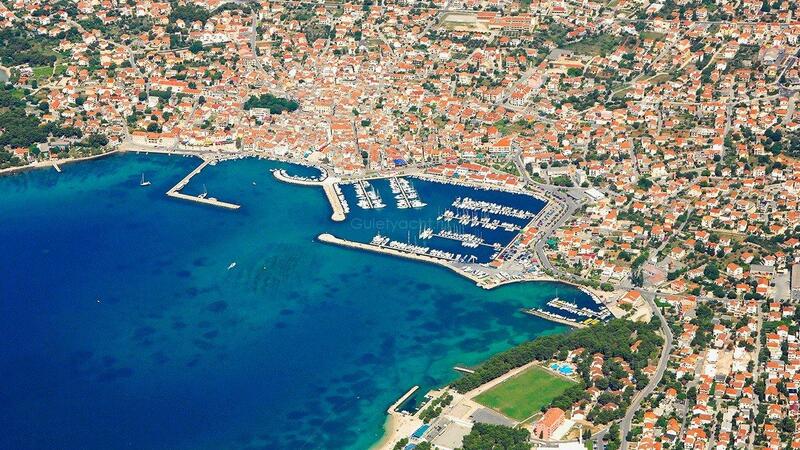 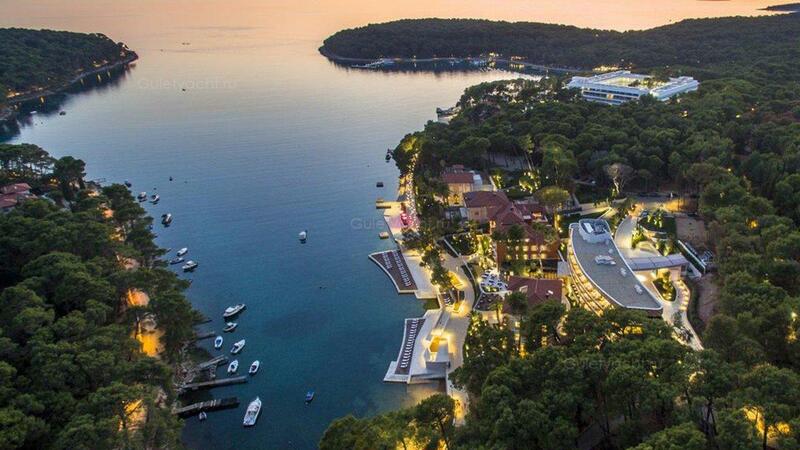 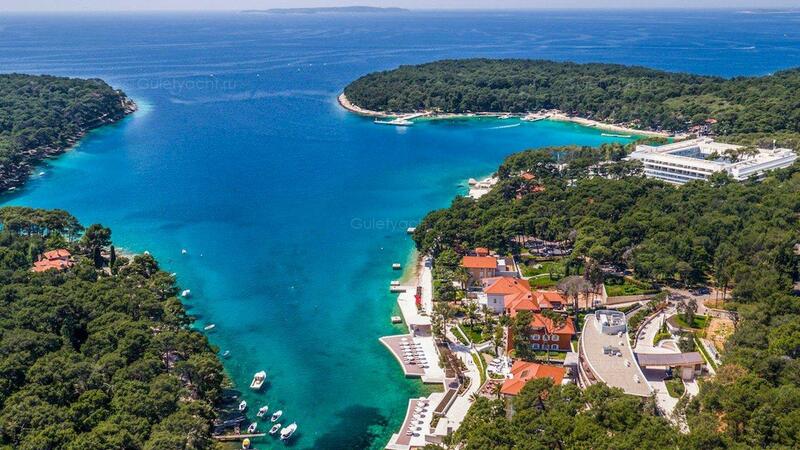 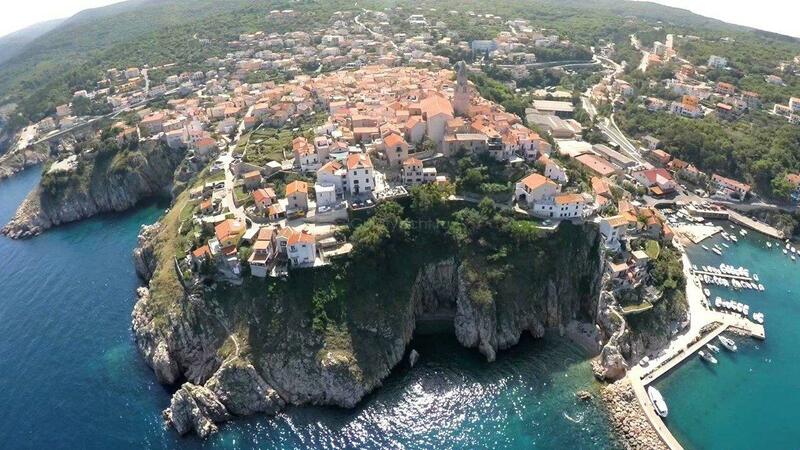 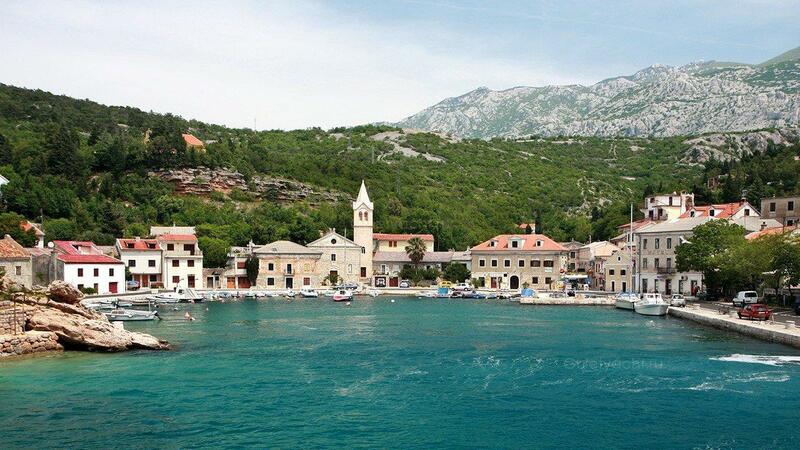 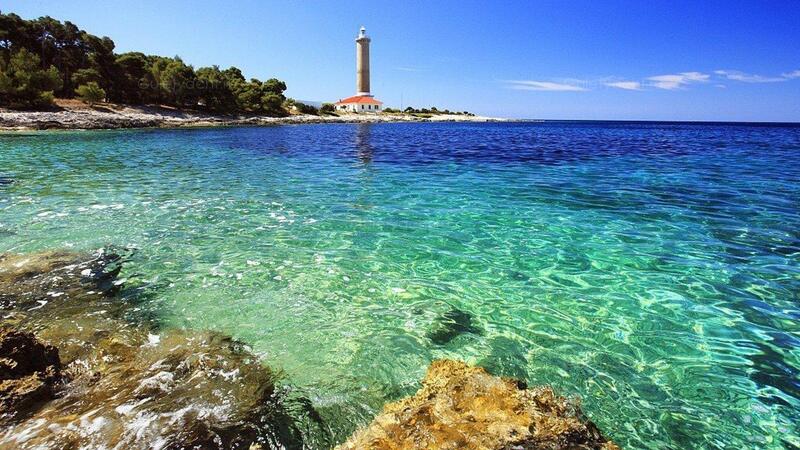 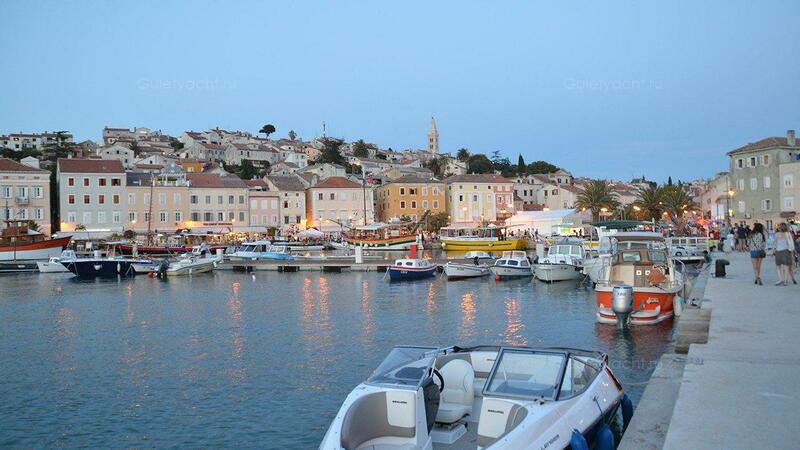 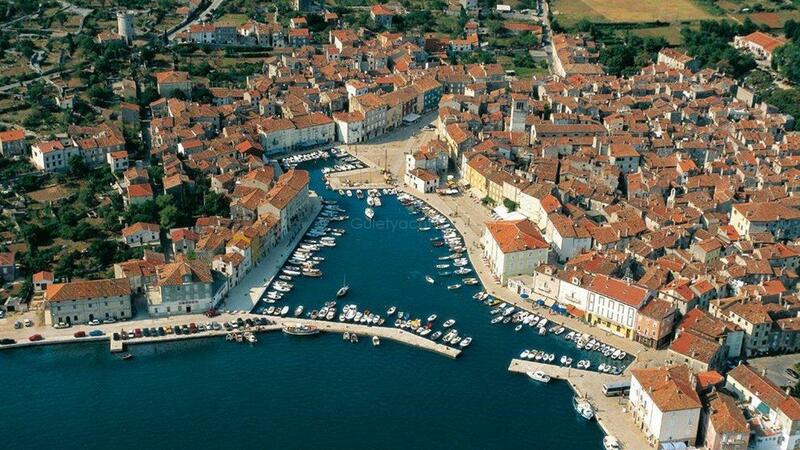 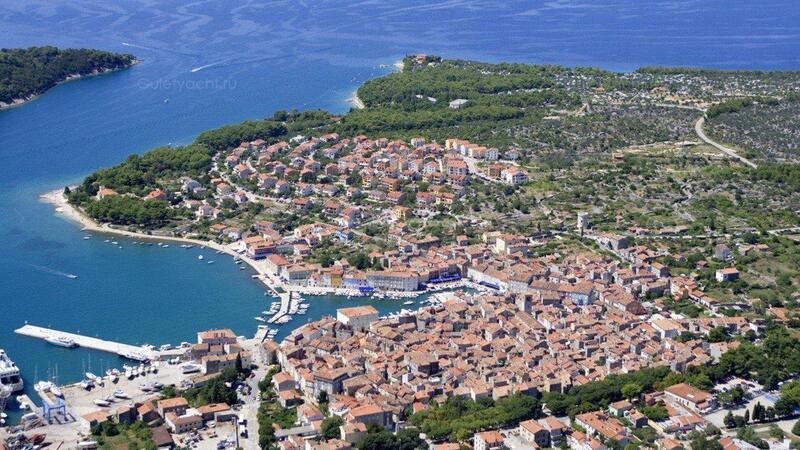 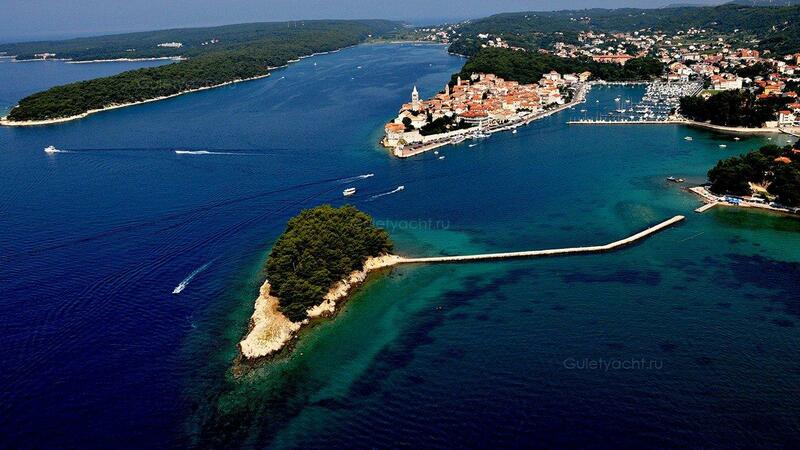 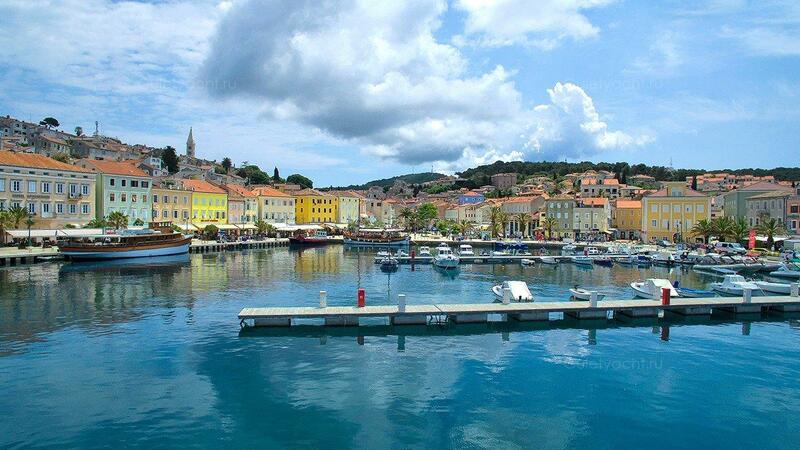 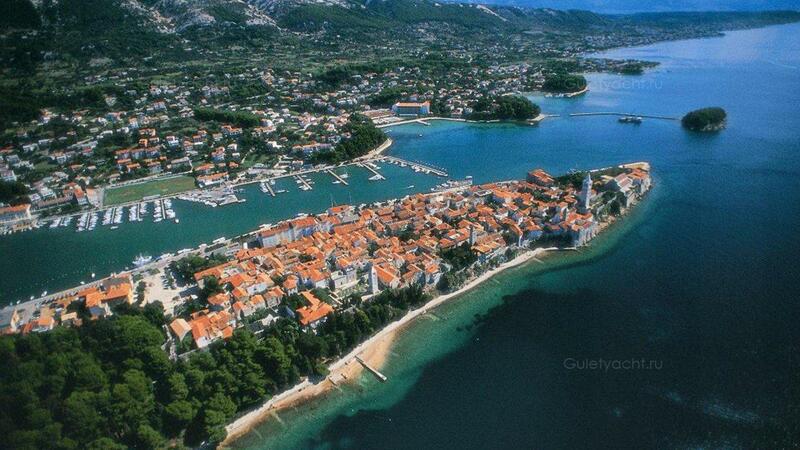 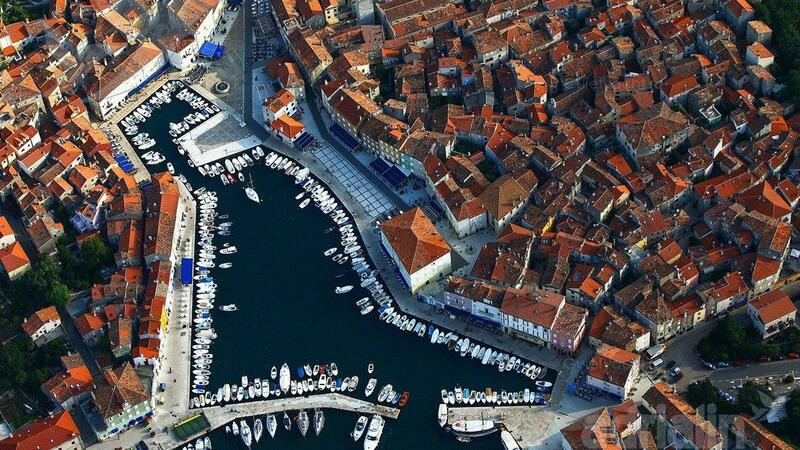 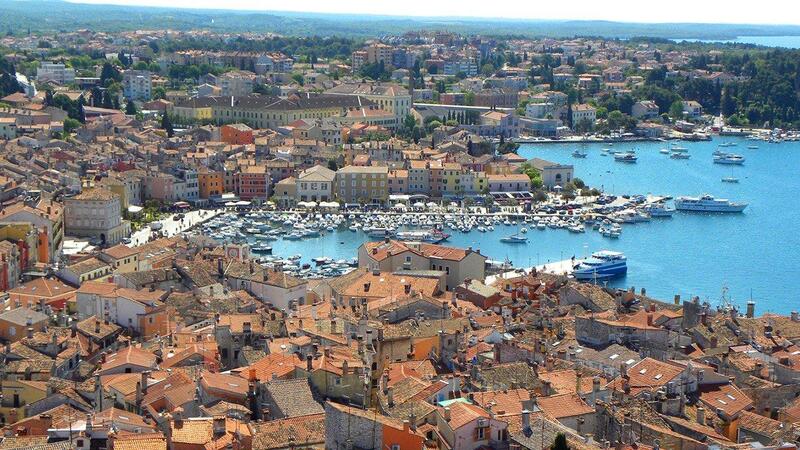 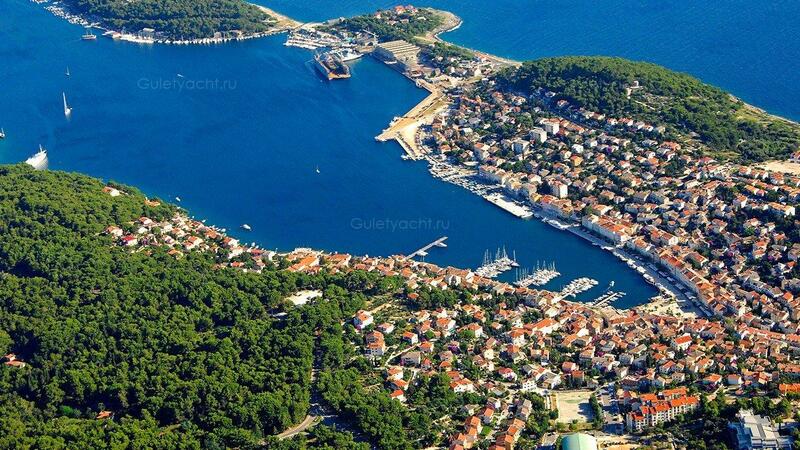 The largest town is Mali Losinj in the centre of the Island. 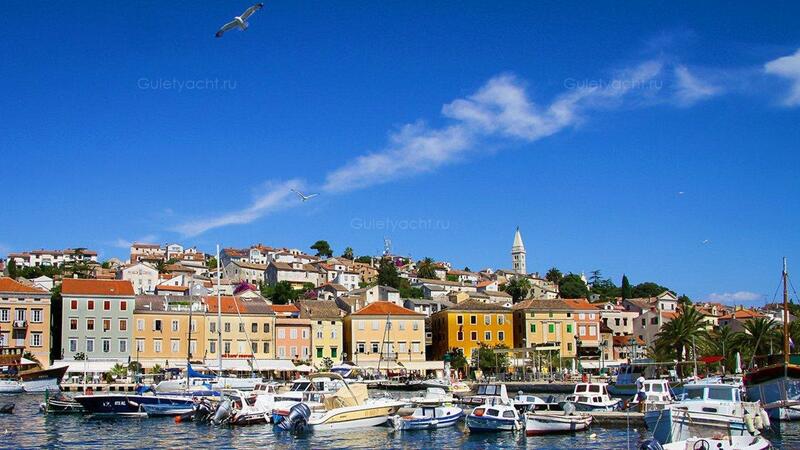 Its natural harbour is surrounded by lovely traditional town houses below forested slopes. 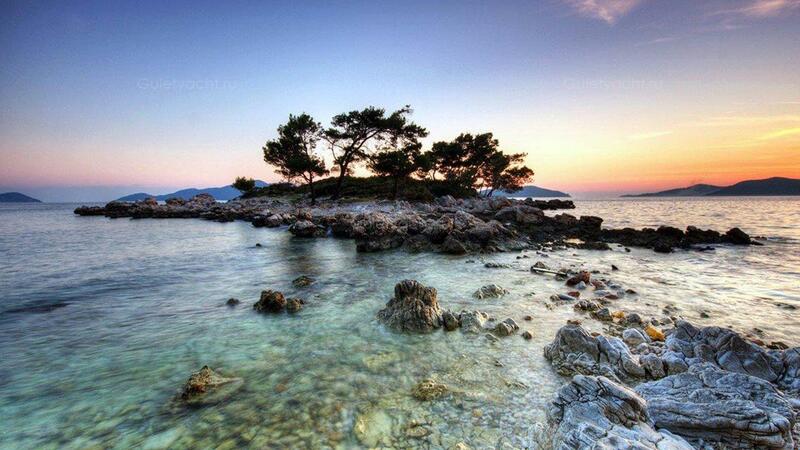 No one will regret stopping a while to see more of the Island. 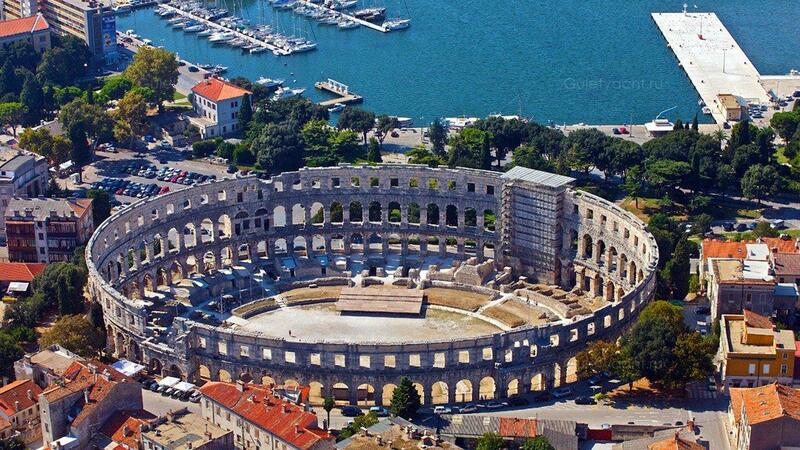 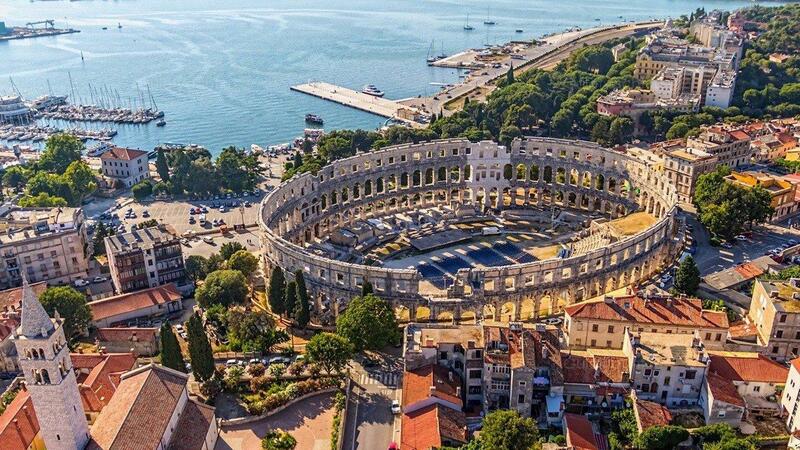 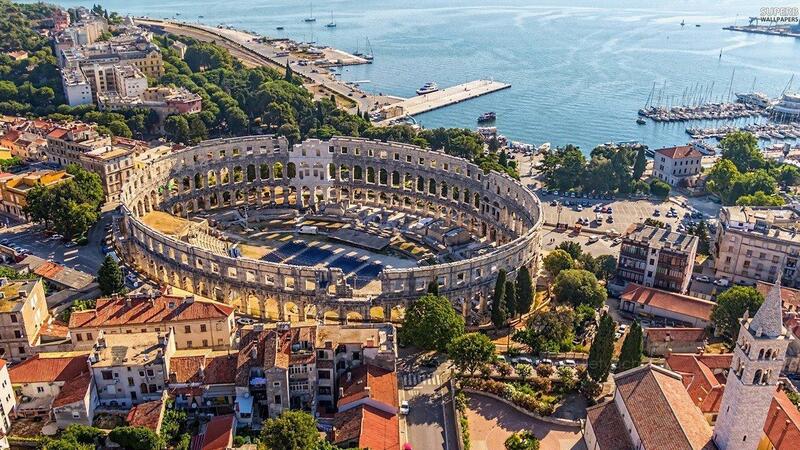 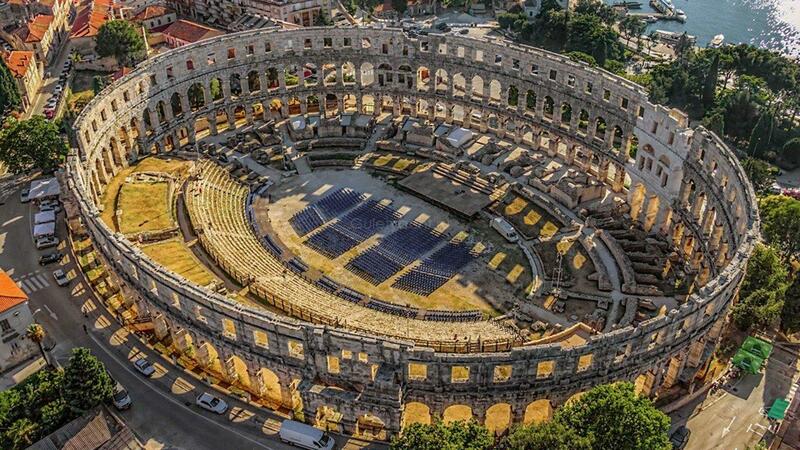 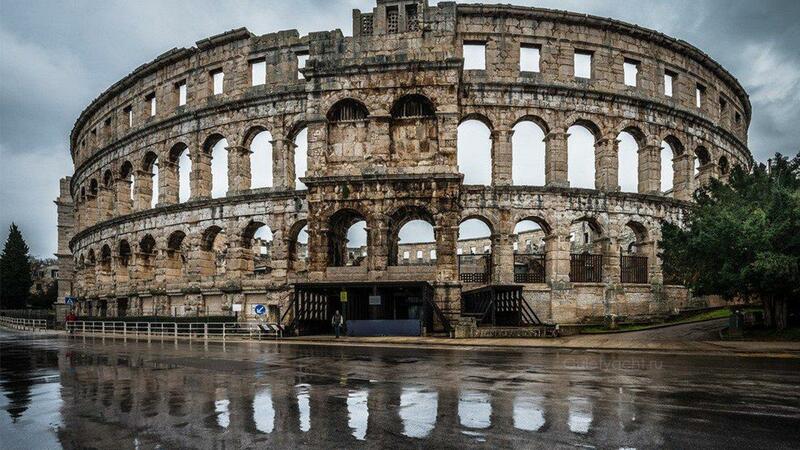 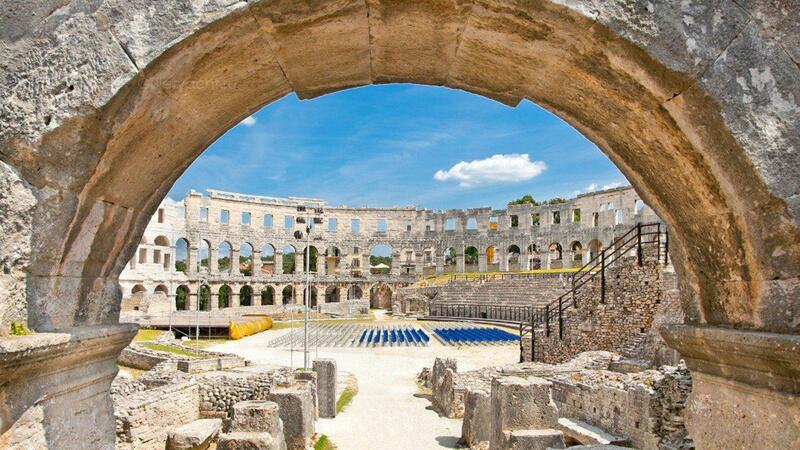 Pula is a large city on the Istrian Peninsula of Croatia. 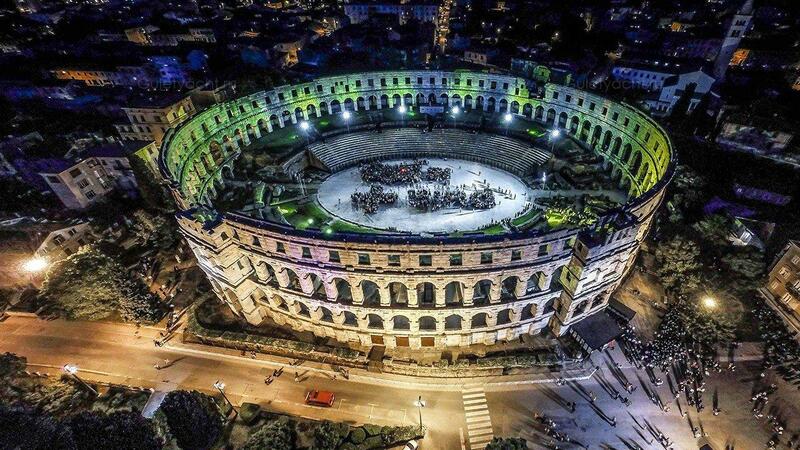 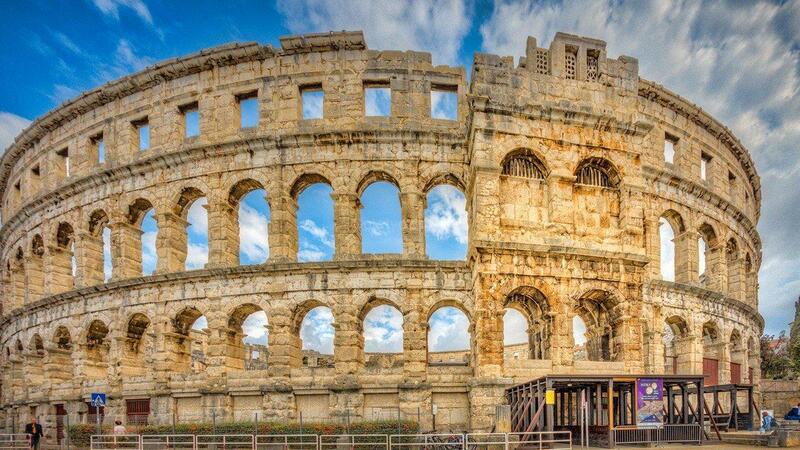 It has a rich history with excellent examples of Roman architecture which are one of its real attractions, especially the very well preserved amphitheatre which is still in use during the summer. 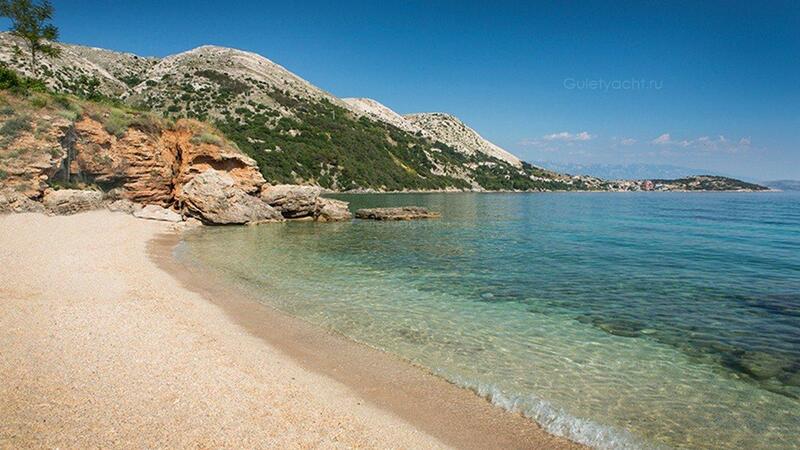 There is more than just history however because many excellent beaches add to the beauty of the area. 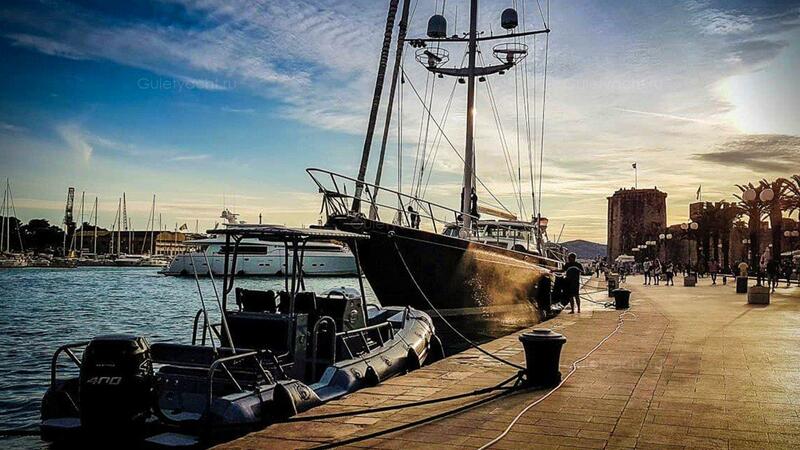 Пула - большой город на полуострове Истрия в Хорватии. 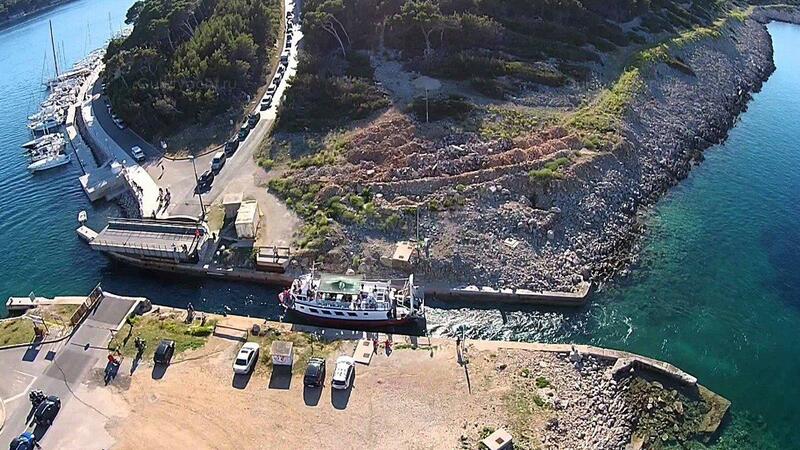 Он имеет богатую историю с превосходными примерами римской архитектуры, которые являются одной из ее настоящих достопримечательностей, особенно очень хорошо сохранившегося амфитеатра, который все еще используется летом. 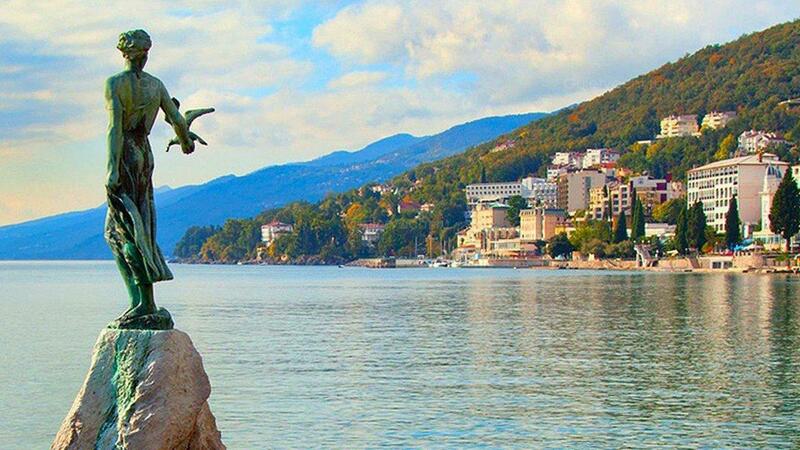 Существует больше, чем просто история, однако, потому что многие прекрасные пляжи добавляют красоту этого района. 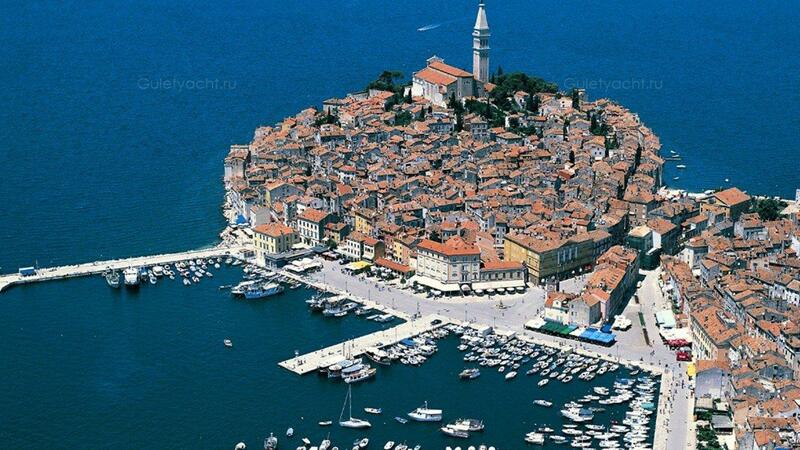 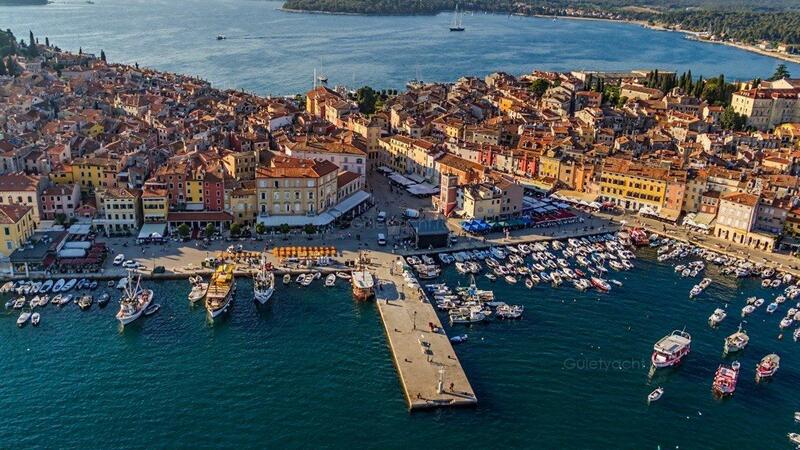 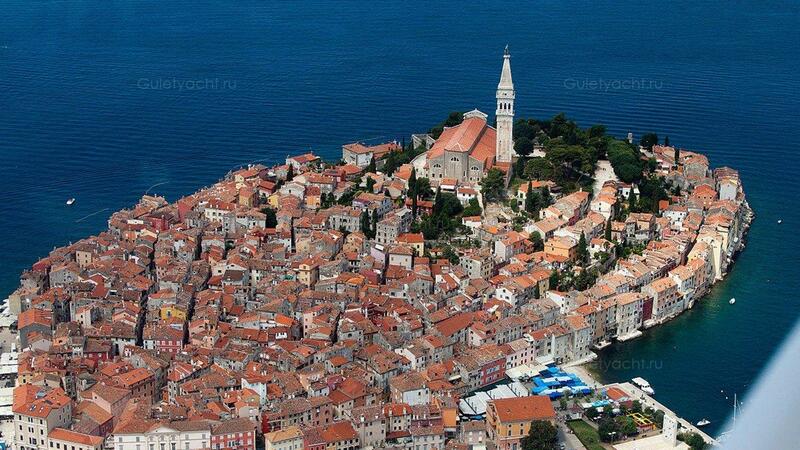 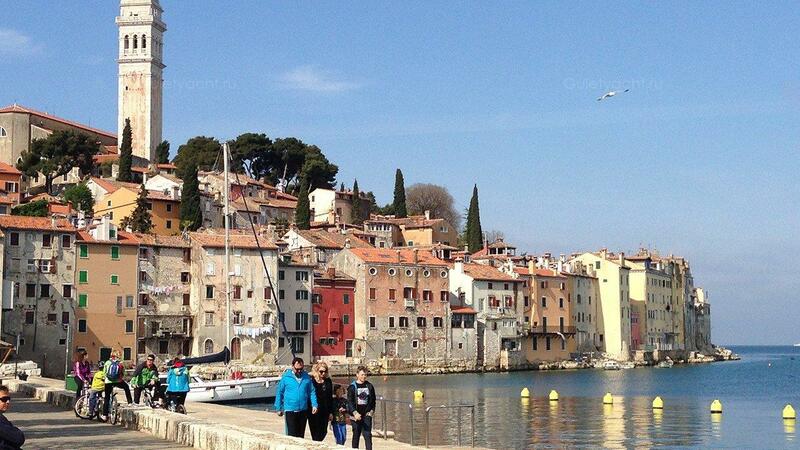 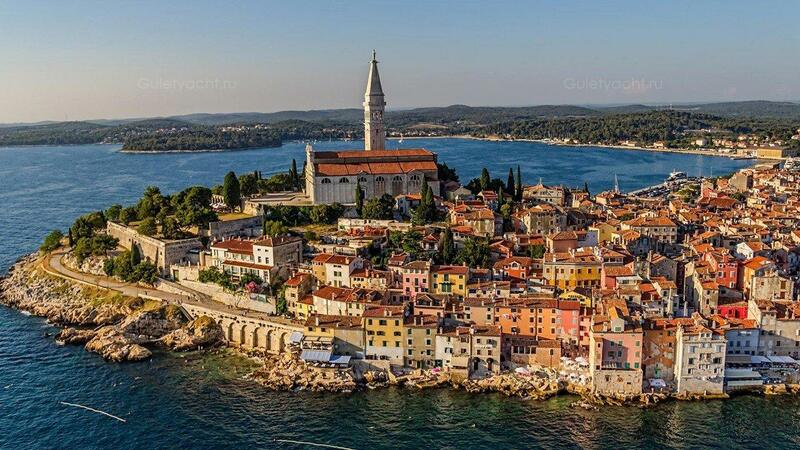 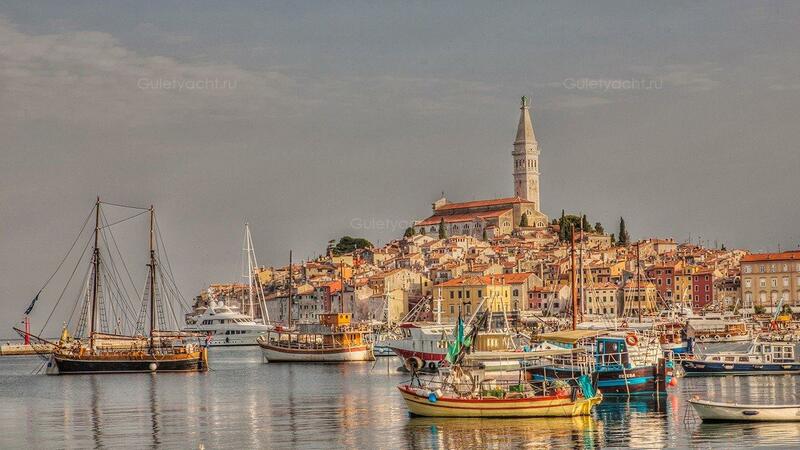 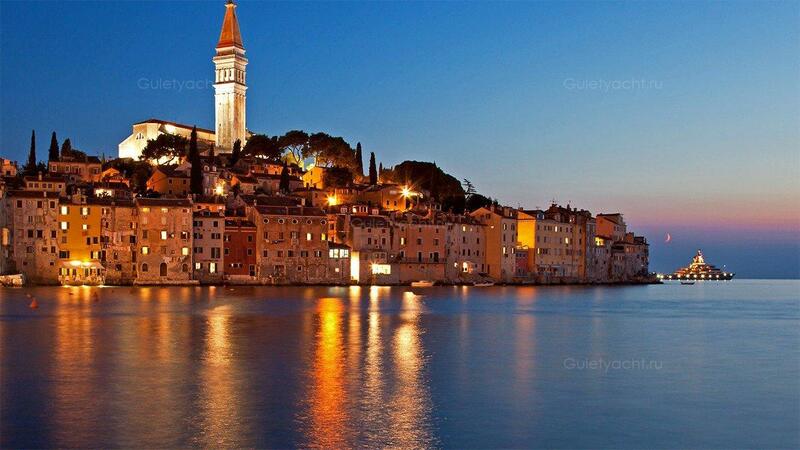 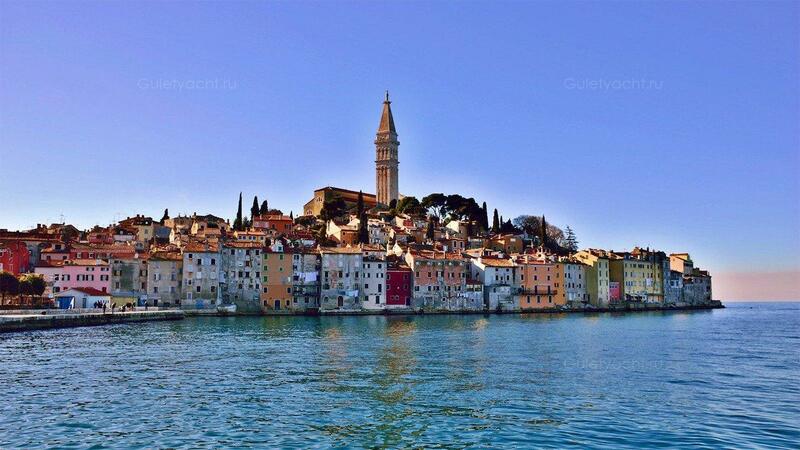 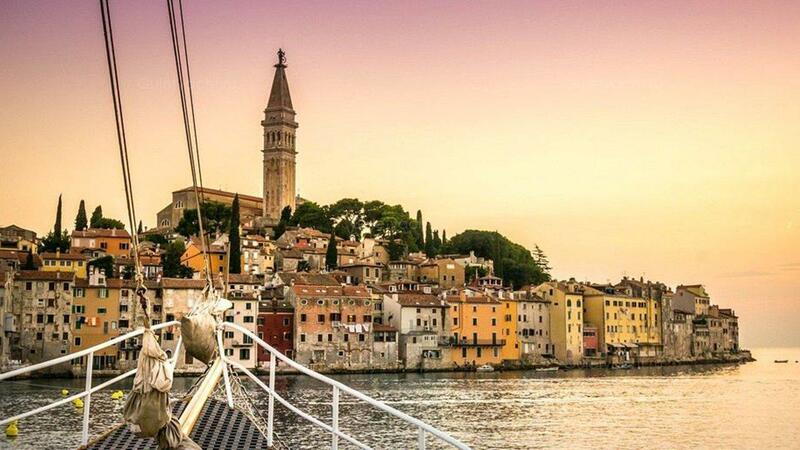 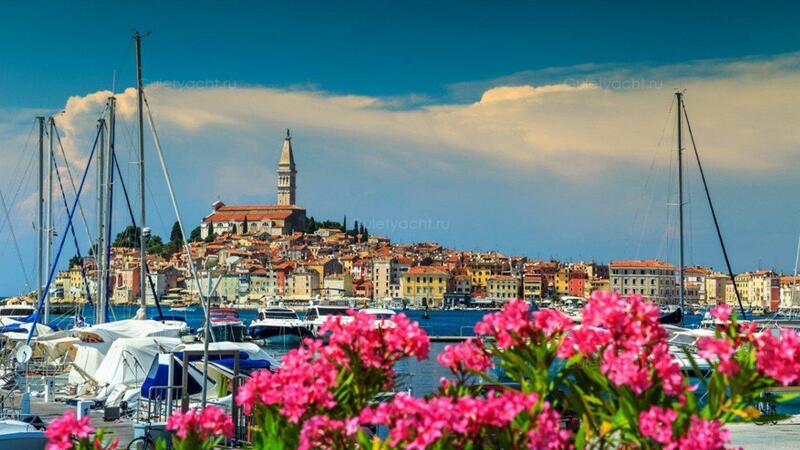 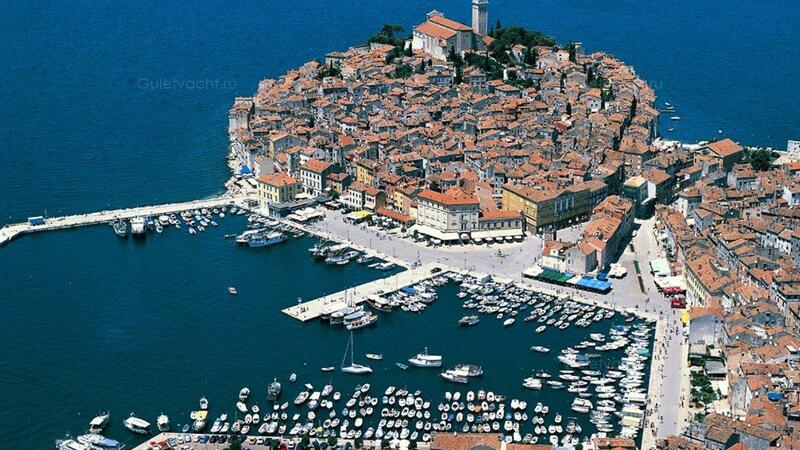 Rovinj is a popular tourist resort in Istria, Croatia. 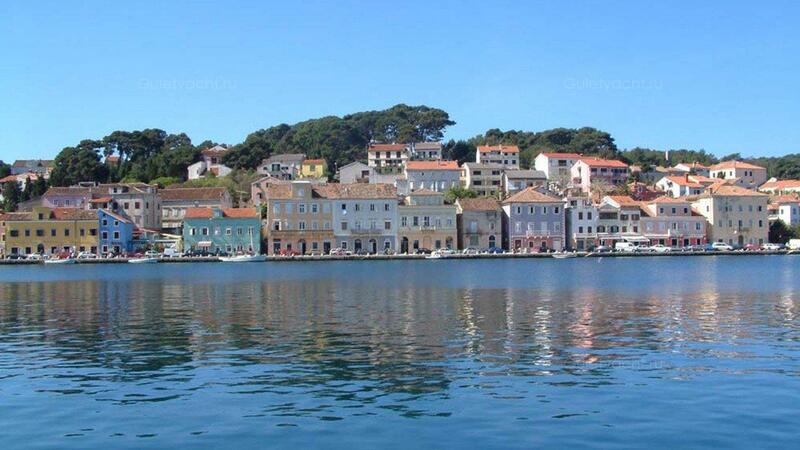 It is on the west coast and has gained a reputation as one of the most beautiful towns in the Mediterranean. 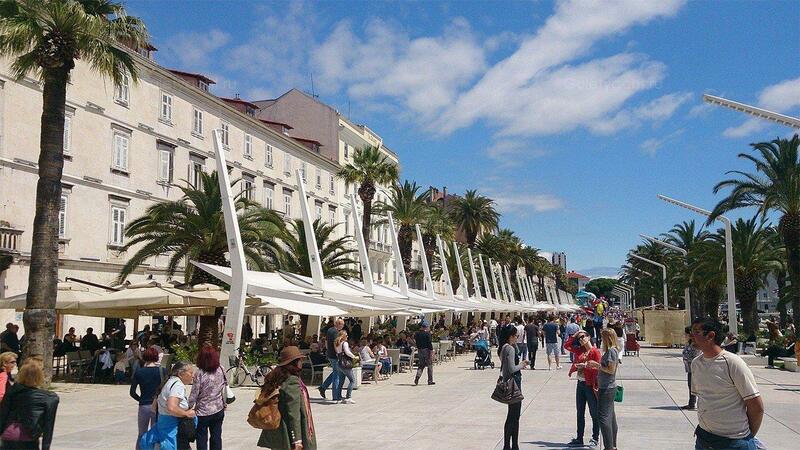 The tourist infrastructure is excellent and visitors can expect the finest cuisine as just one aspect of this infrastructure. 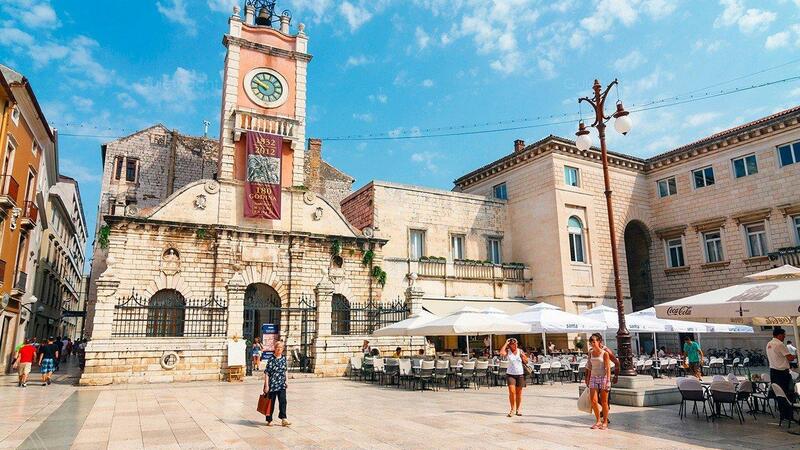 The Old Town has protected status because of its historical importance. 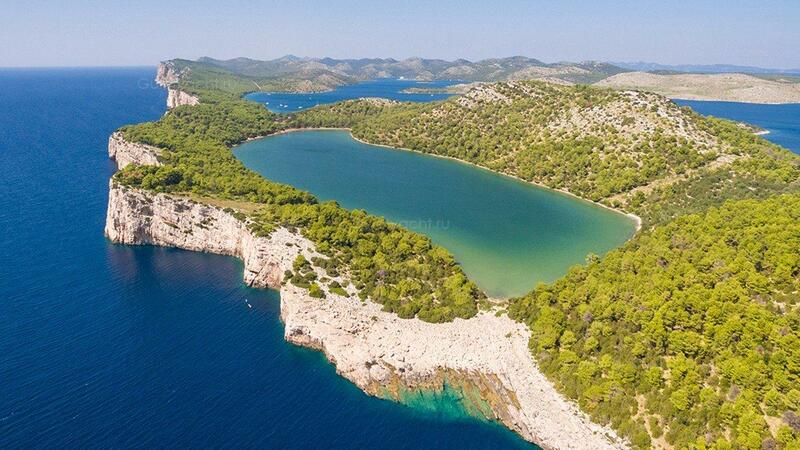 Ровинь - популярный туристический курорт в Истрии, Хорватия. 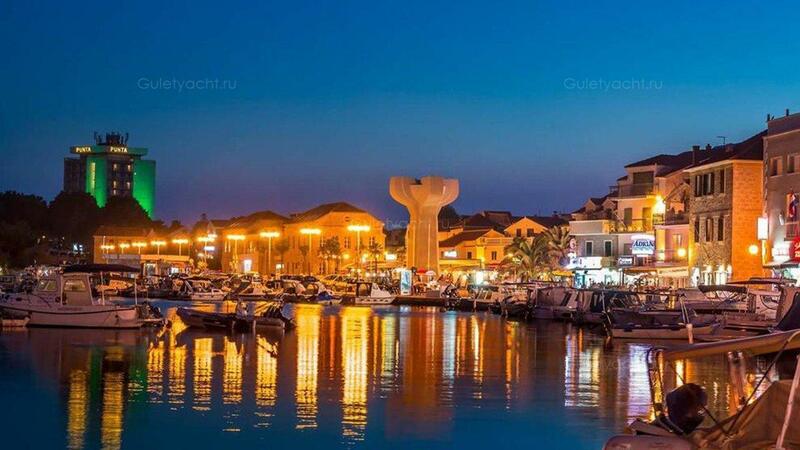 Он находится на западном побережье и завоевал репутацию одного из самых красивых городов Средиземноморья. 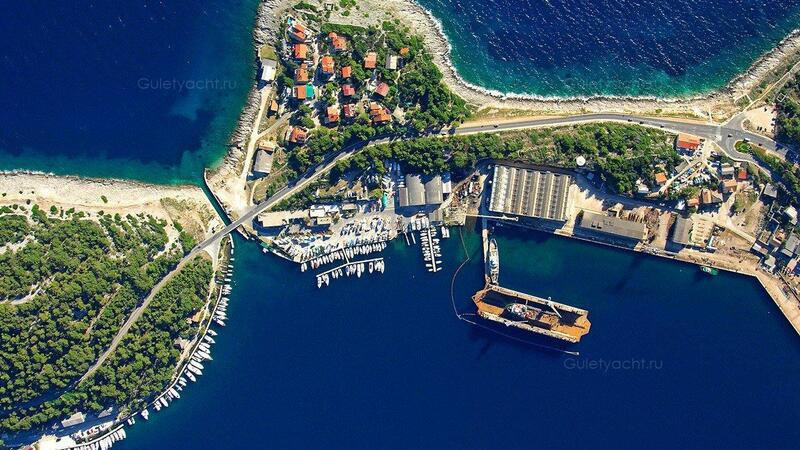 Туристическая инфраструктура отличная, и посетители могут ожидать, что лучшая кухня станет всего лишь одним из аспектов этой инфраструктуры. 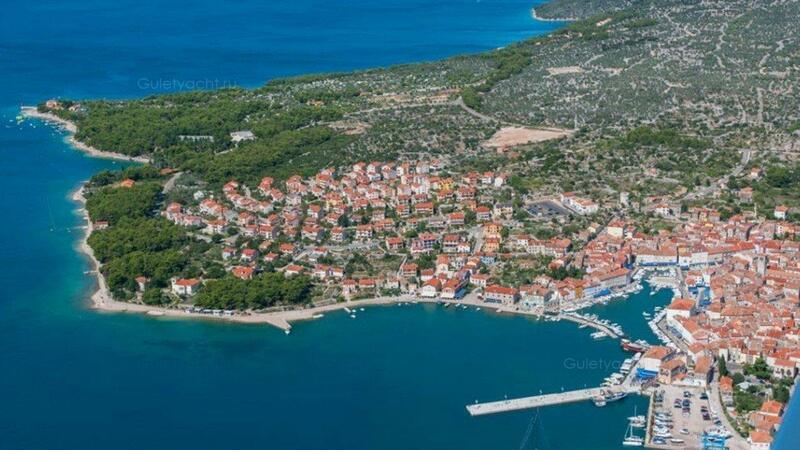 Старый город защитил статус из-за его исторического значения. 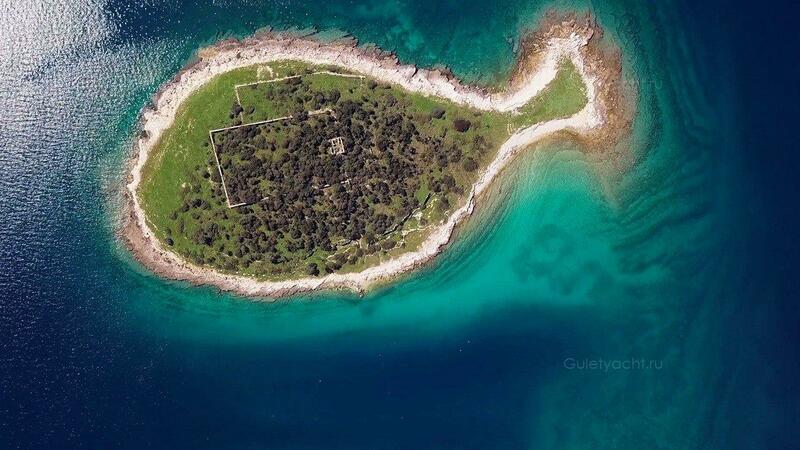 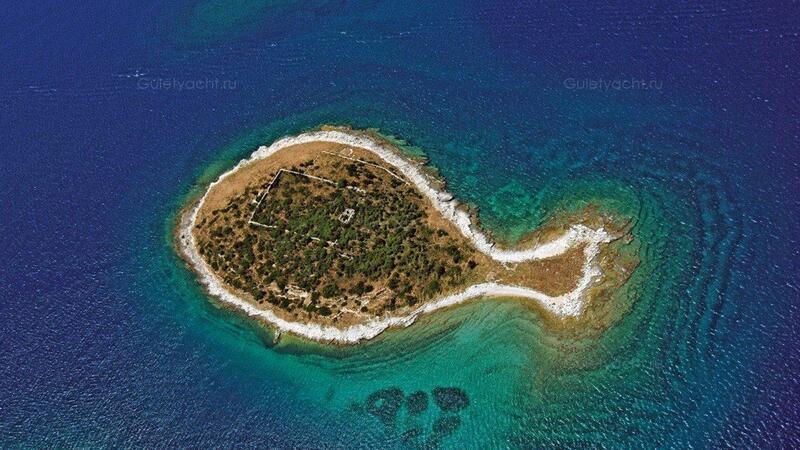 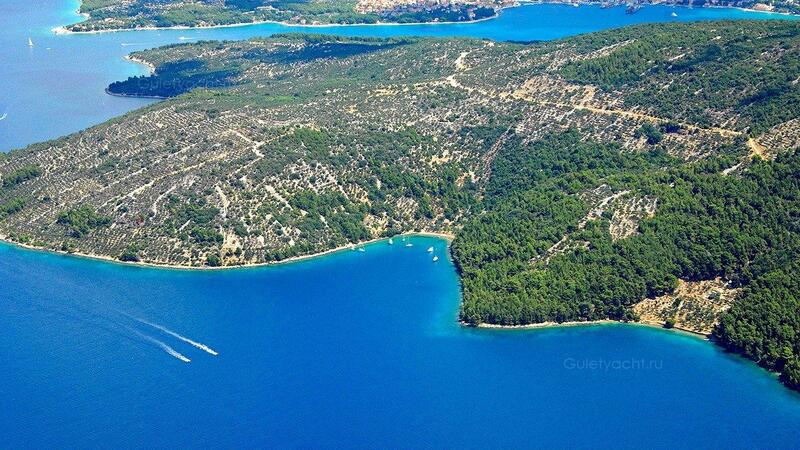 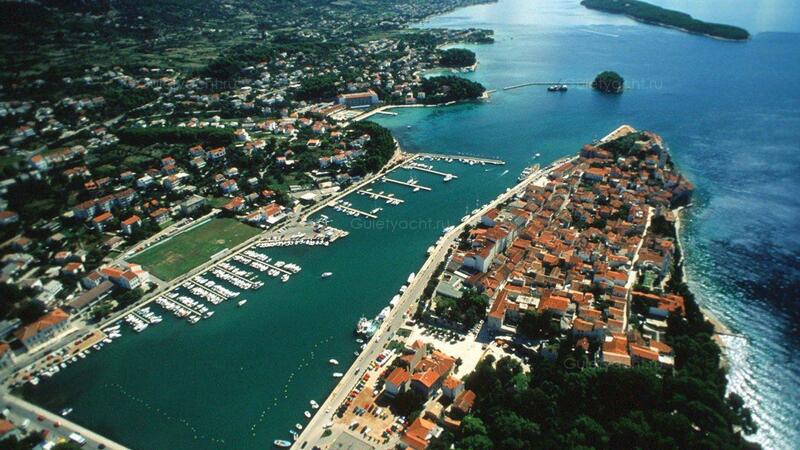 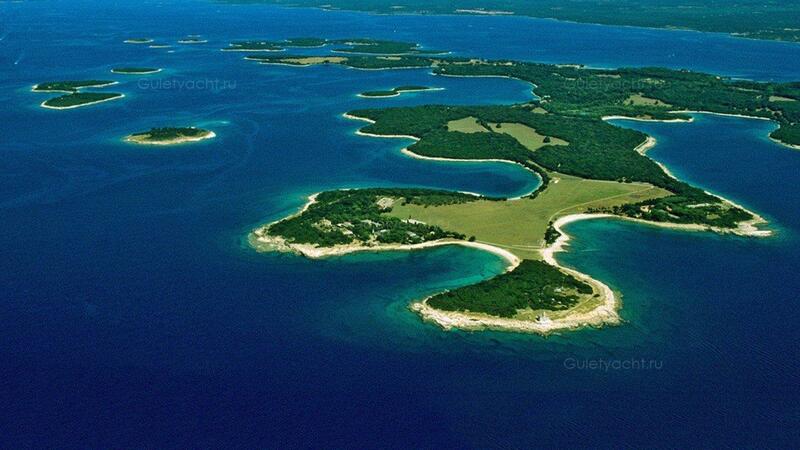 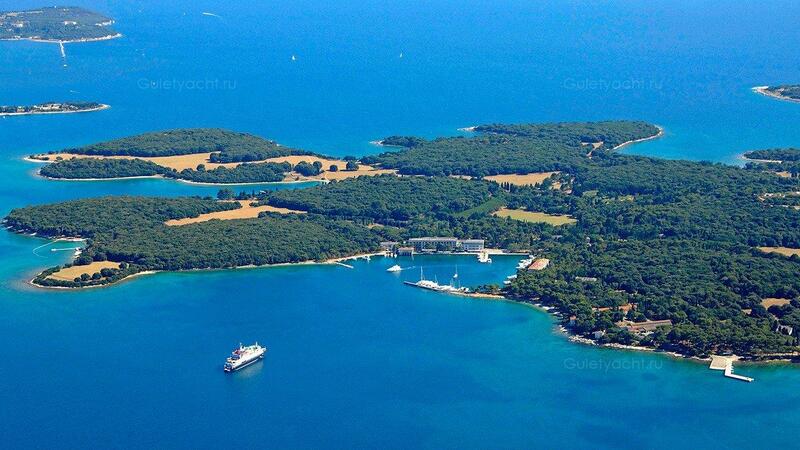 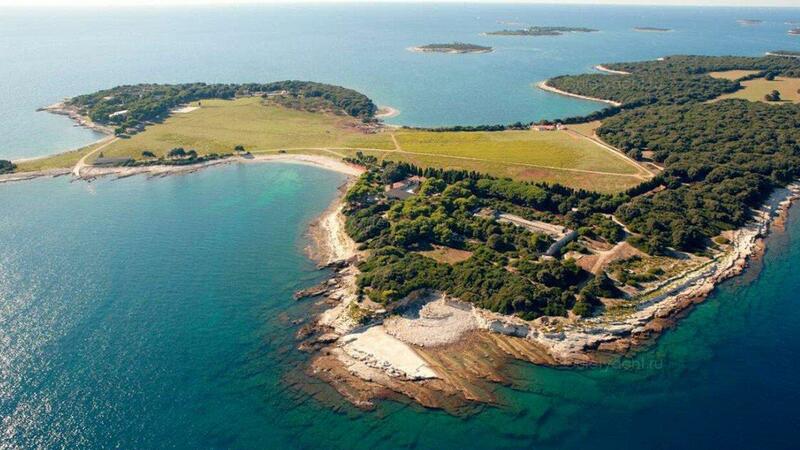 Some 14 little islands make up the archipelago known as the Brijuni islands. 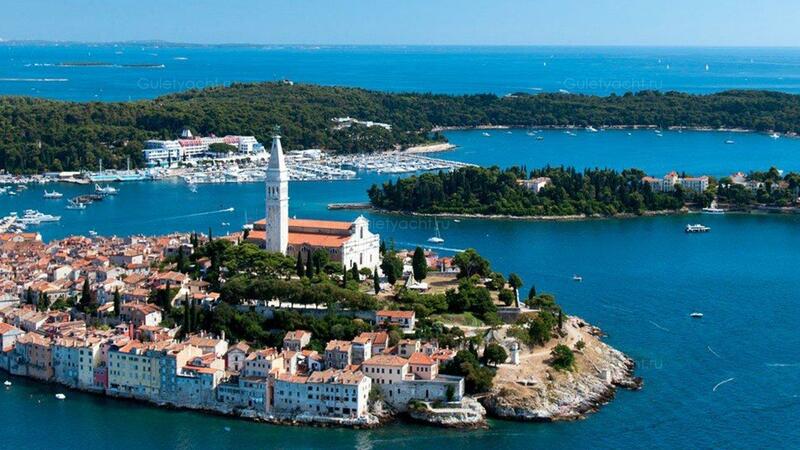 They lie off the south west coast of Istria close to Pula. 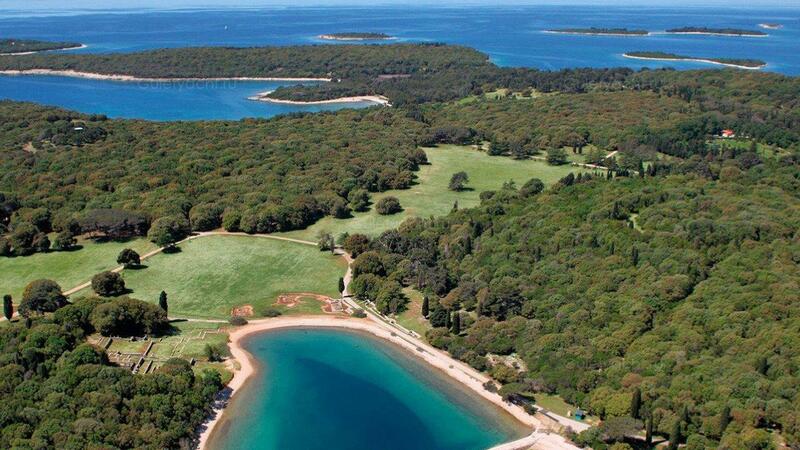 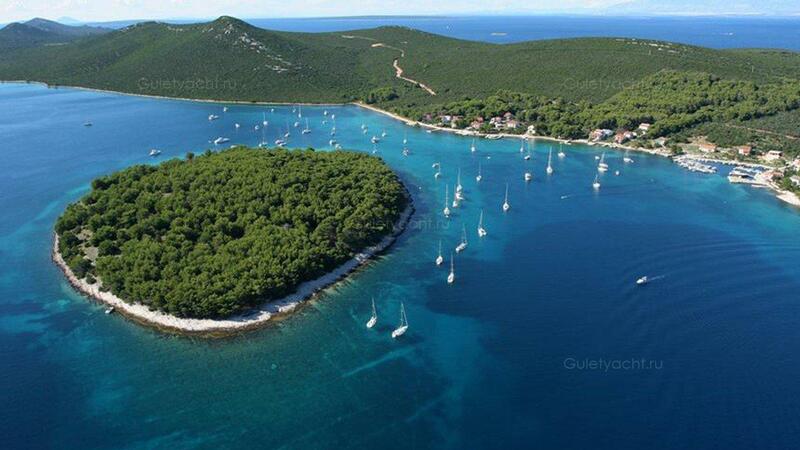 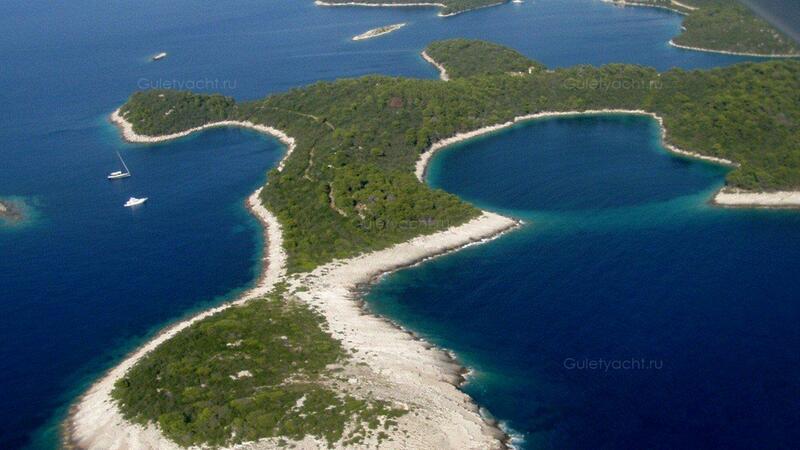 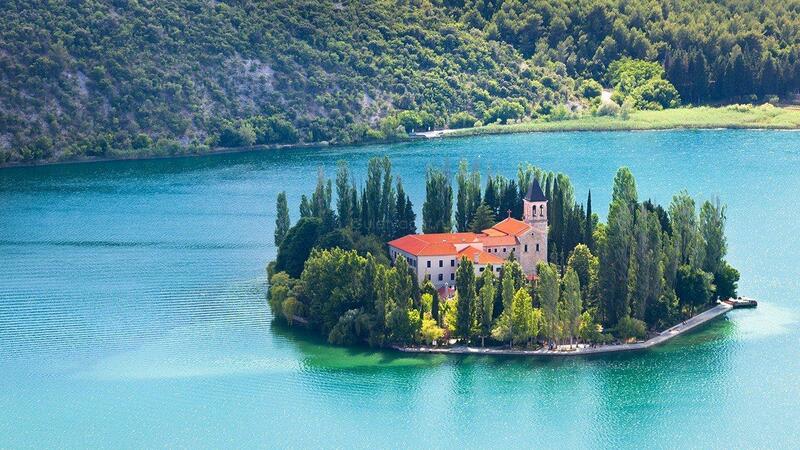 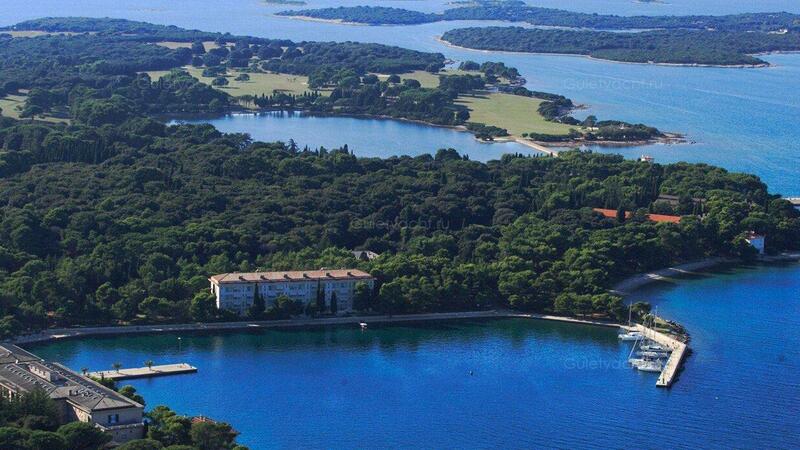 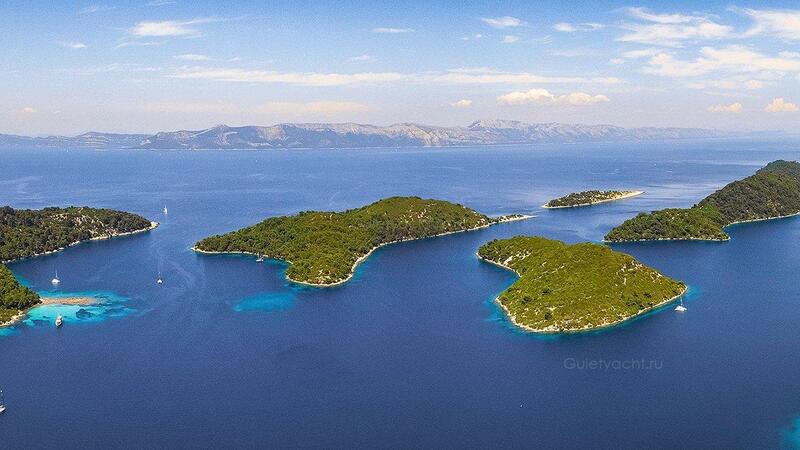 The islands have become a holiday resort as well as a Croatian National Park. 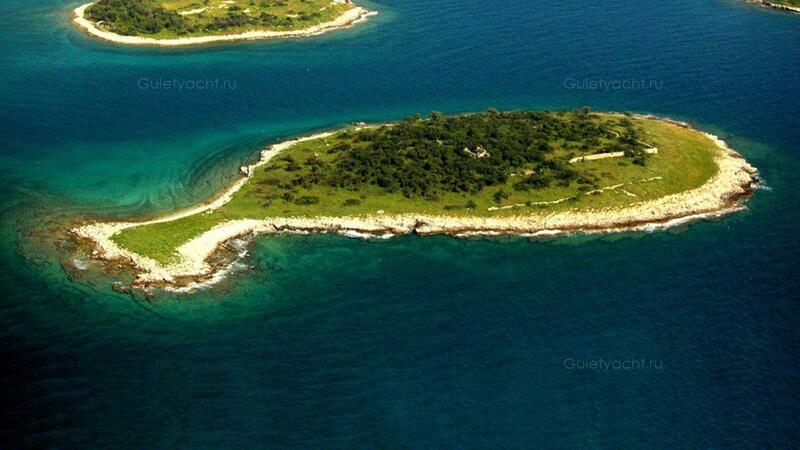 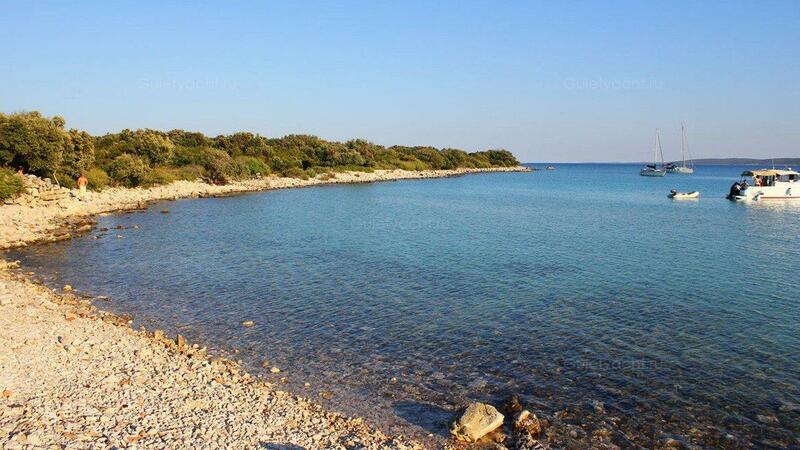 The Brijuni Archipelago has well preserved Mediterranean vegetation as its typical landscape. 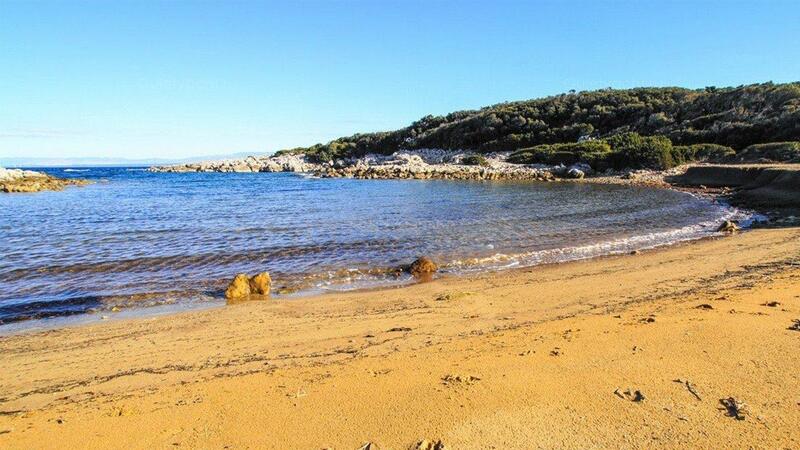 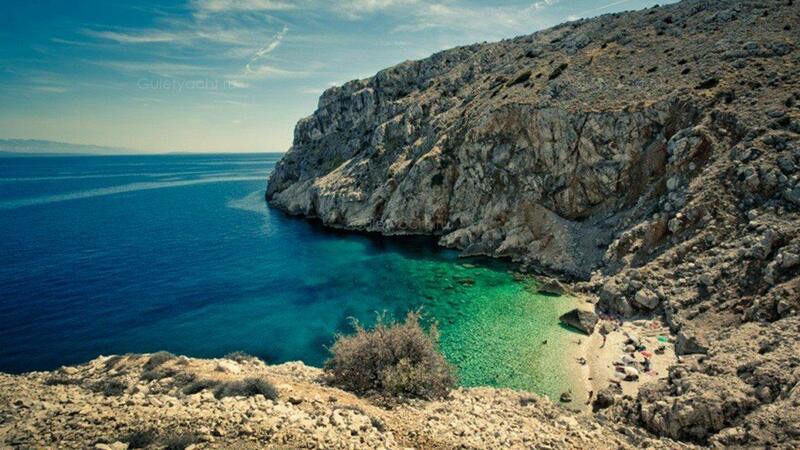 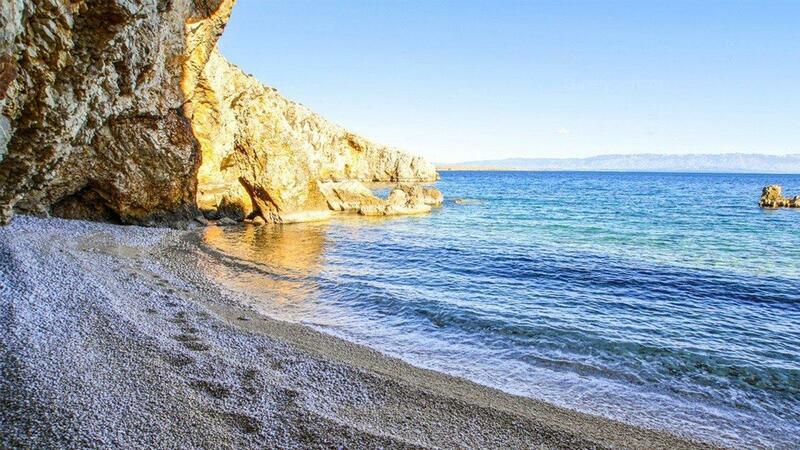 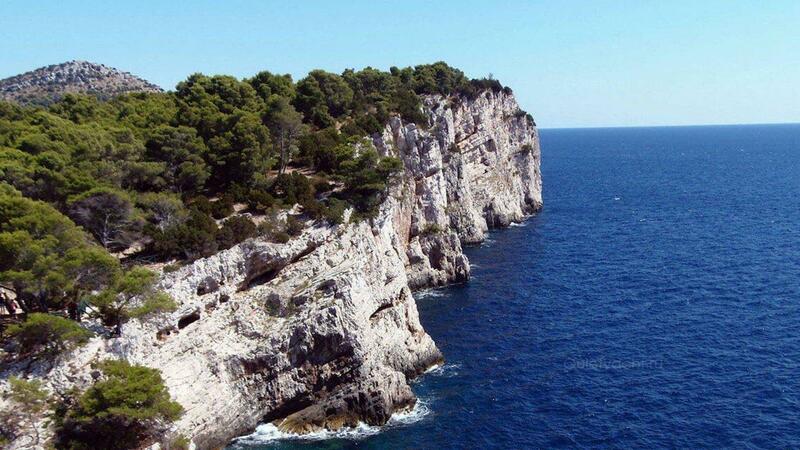 Cres is a northern island in the Kvarner Gulf, the largest island in the Adriatic. 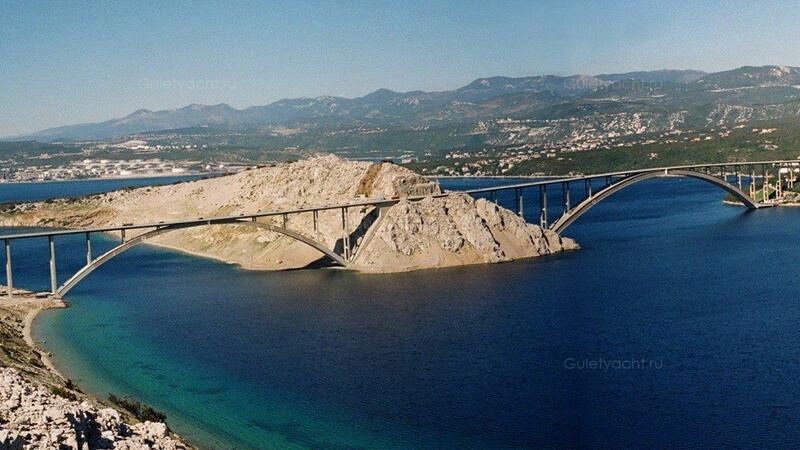 Although only a little over 2 kilometres wide, it is 66 kilometres long. 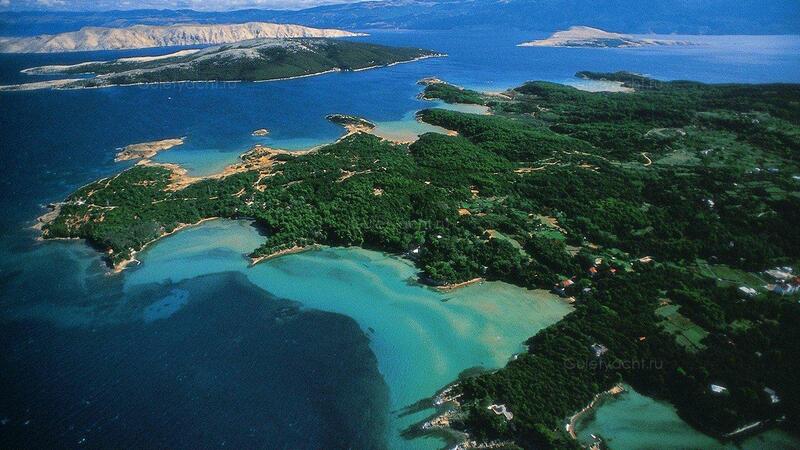 Lake Vrana is a freshwater lake on the Island which is among the deepest in the whole of Eastern Europe. 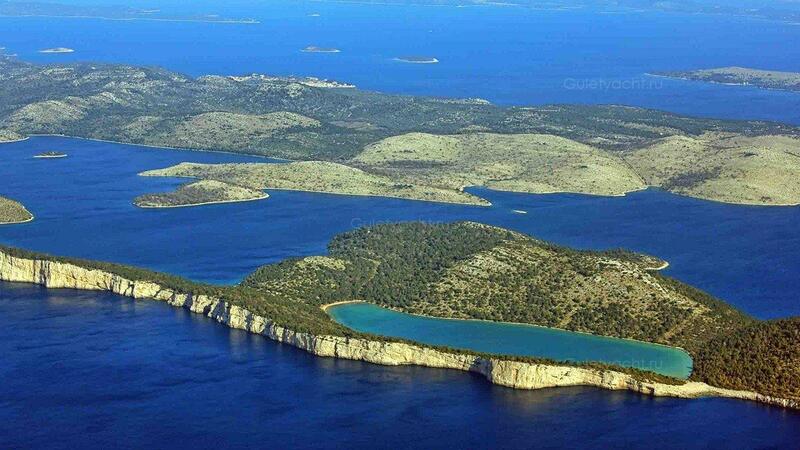 Those interested in flora and flora will delight in its many endemic species. 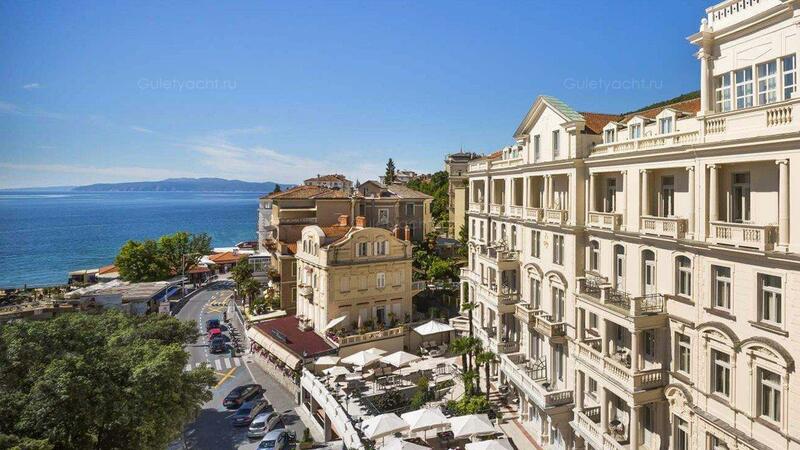 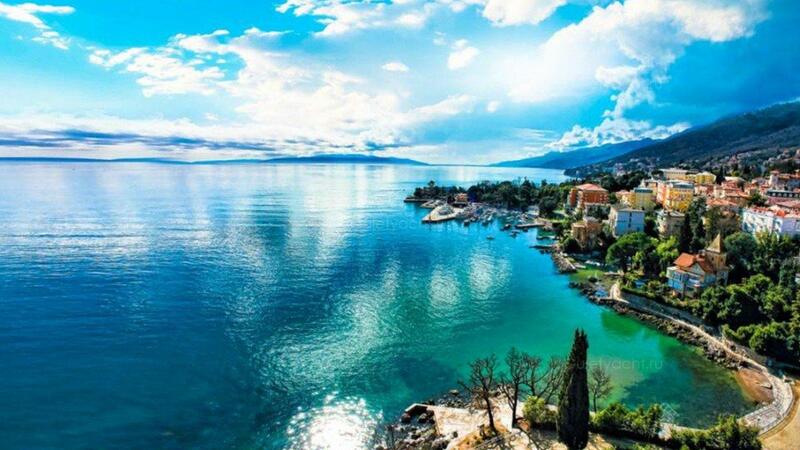 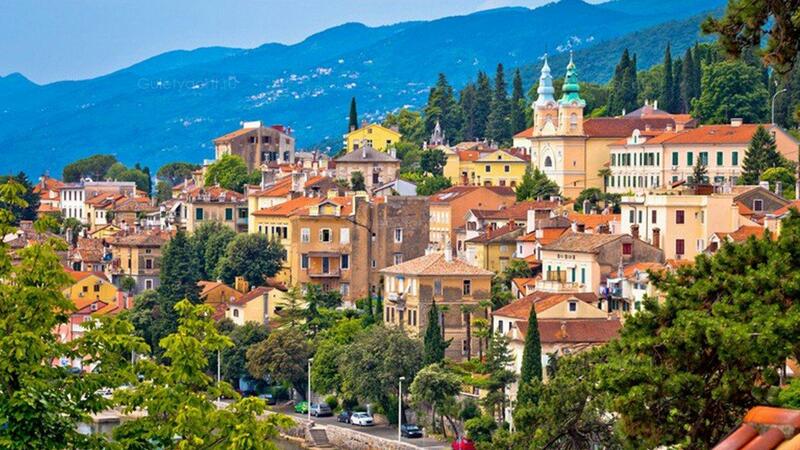 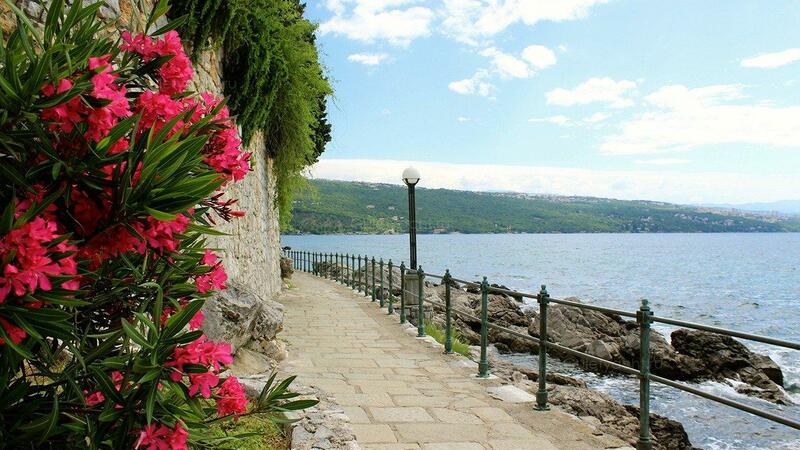 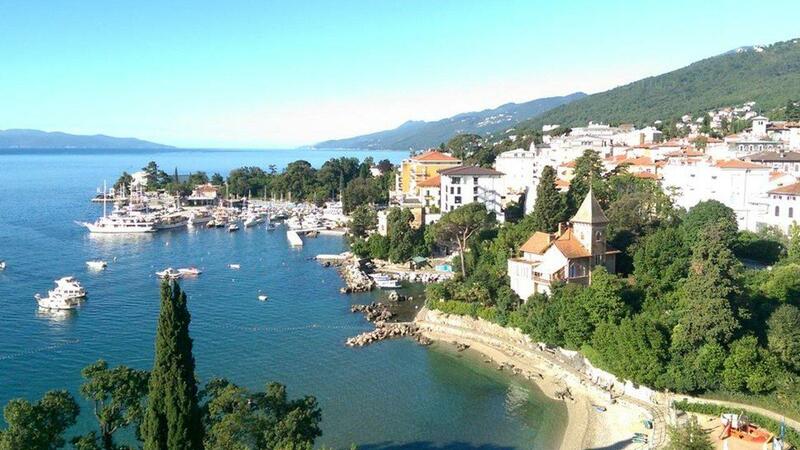 Opatija is established itself as a year-round resort. 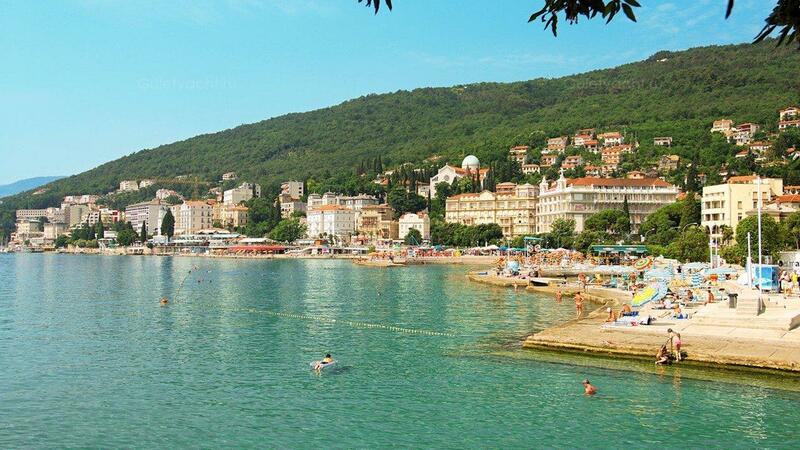 It is a town on the Gulf of Kvarner, and the wellness and spa centres in the region attract significant numbers even in the middle of winter. 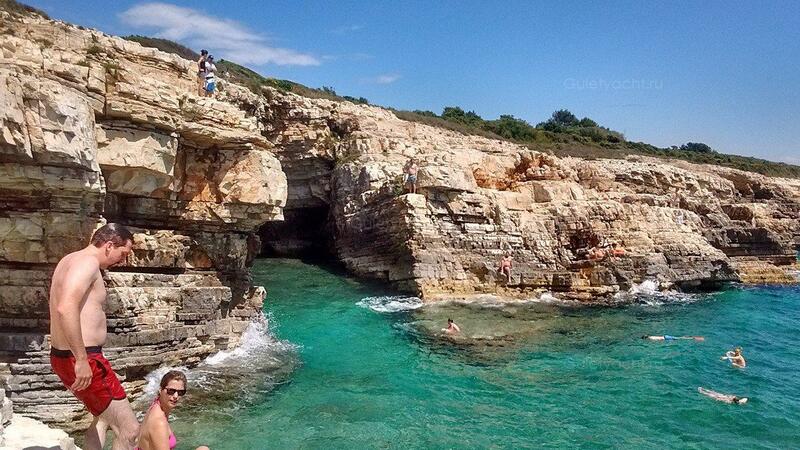 The coastline is very picturesque, largely rocky but there are some excellent beaches. 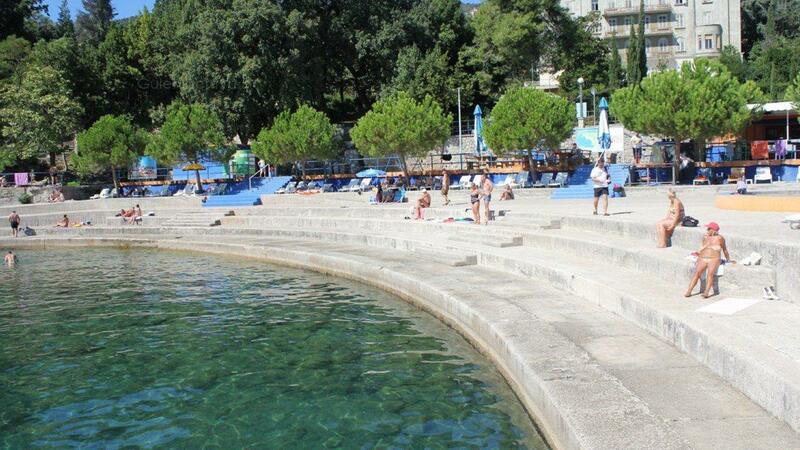 Other attractions are the cultural monuments, villas, green parks and lovely local cuisine. 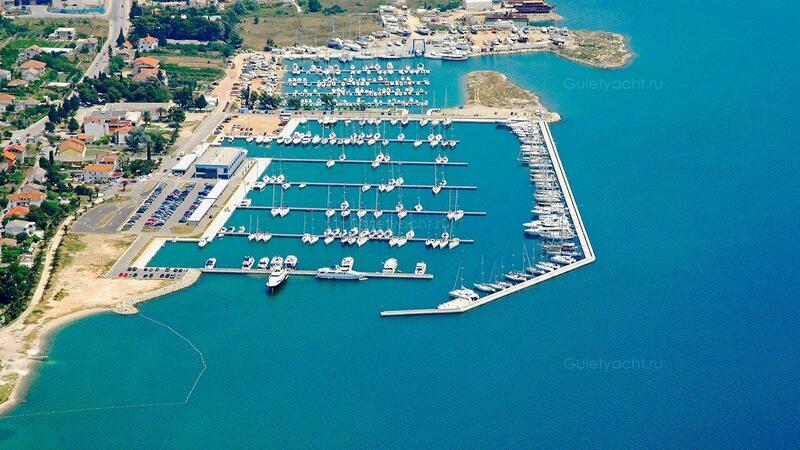 Опатия зарекомендовала себя как круглогодичный курорт. 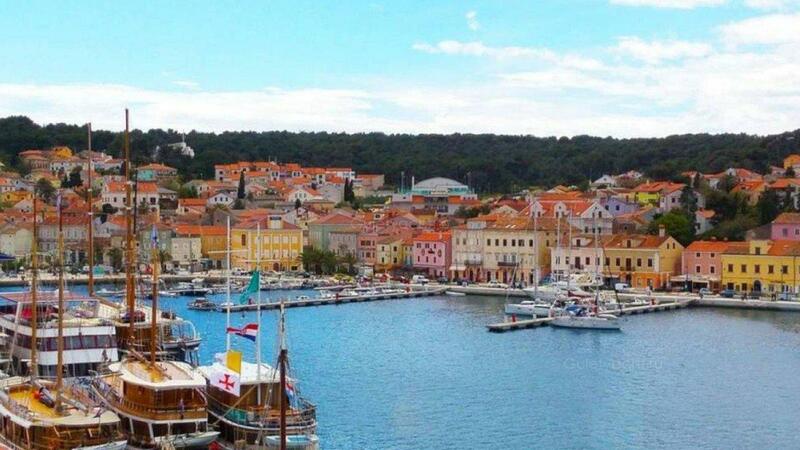 Это город в заливе Кварнер, а оздоровительные и спа-центры в регионе привлекают значительные числа даже в середине зимы. 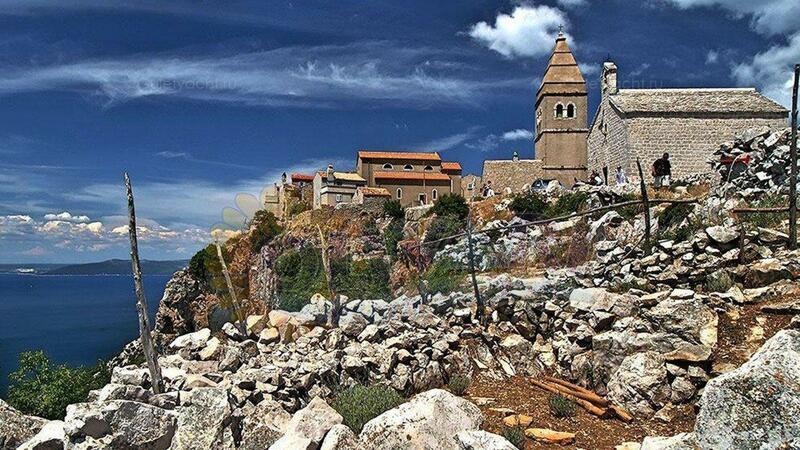 Береговая линия очень живописна, в значительной степени каменистая, но есть прекрасные пляжи. 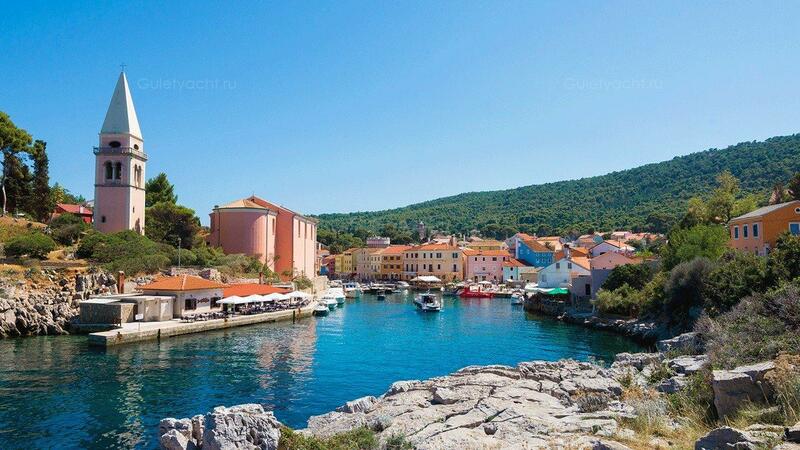 Другие достопримечательности - культурные памятники, виллы, зеленые парки и прекрасная местная кухня. 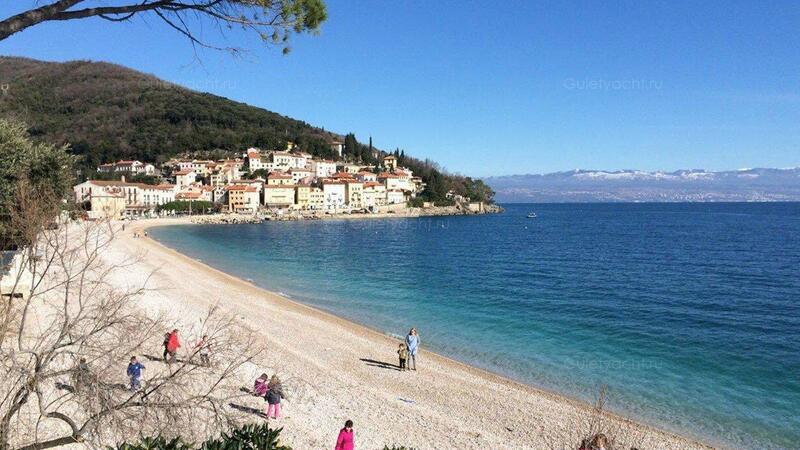 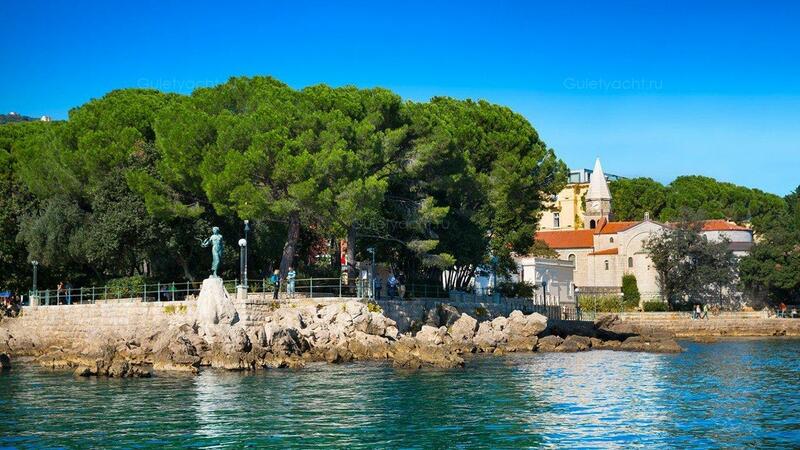 Krk in the northern Adriatic Sea, is an island close to Rijeka in the Bay of Kvarner. 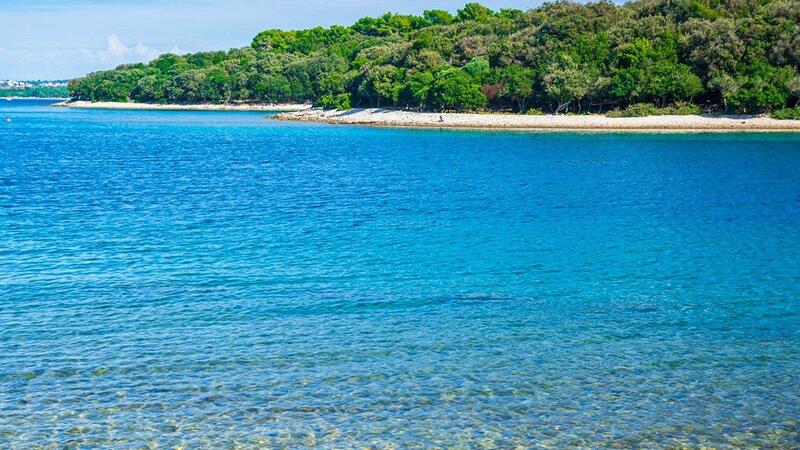 A large and diverse island, there is plenty to attract the visitor; small towns with history dating back many centuries, rural villages unaffected by tourism but modern well-equipped beach facilities. 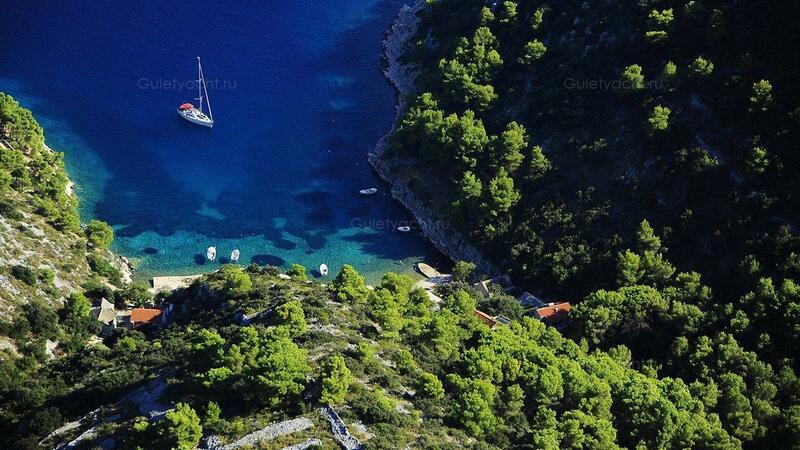 By night, there are lively bars and clubs after a relaxing day in one of the secluded bays. 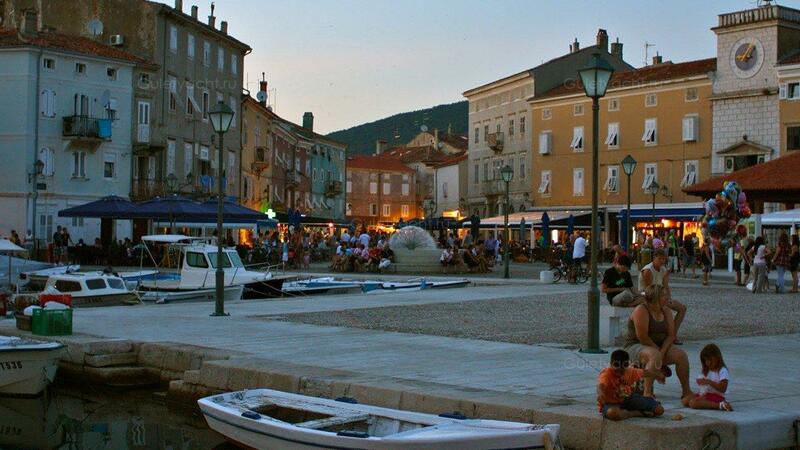 You can still enjoy a quiet time however in one of the restaurants serving excellent local cuisine. 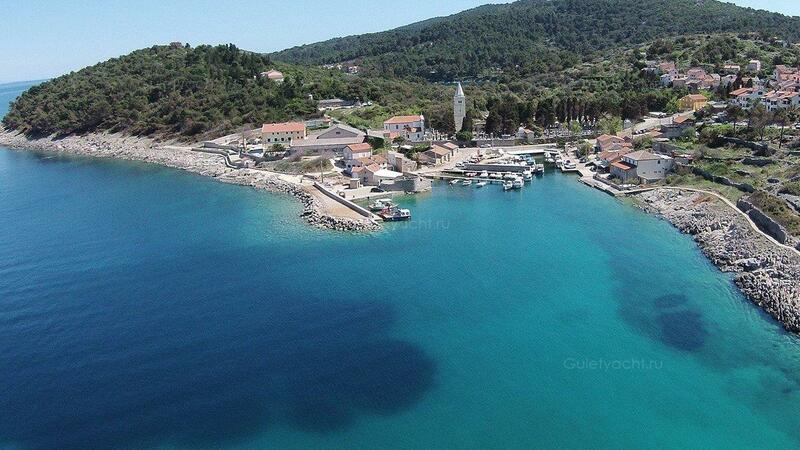 Крк в северном Адриатическом море - это остров, близкий к Риеке в заливе Кварнер. 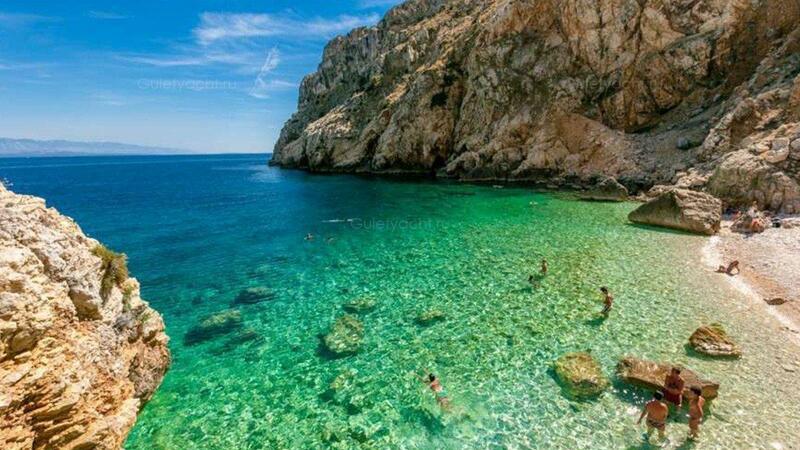 Большой и разнообразный остров, есть много, чтобы привлечь посетителя; небольшие города с историей, датирующейся много веков, сельские деревни, не затронутые туризмом, но современные хорошо оборудованные пляжные удобства. 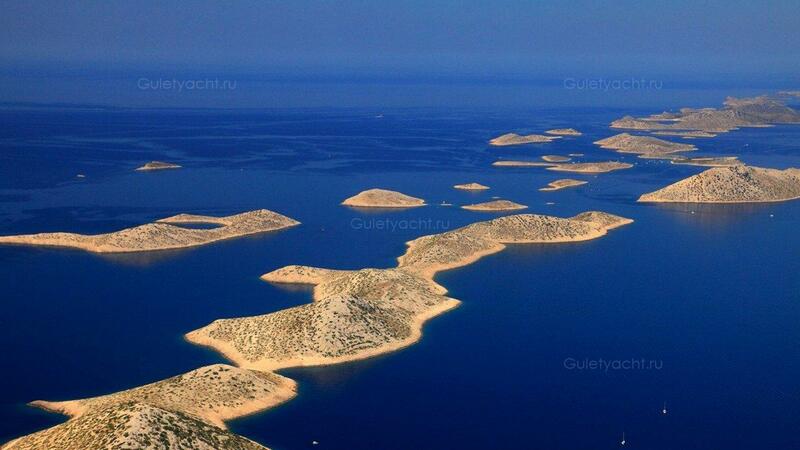 Ночью в одном из укромных заливов есть оживленные бары и клубы. 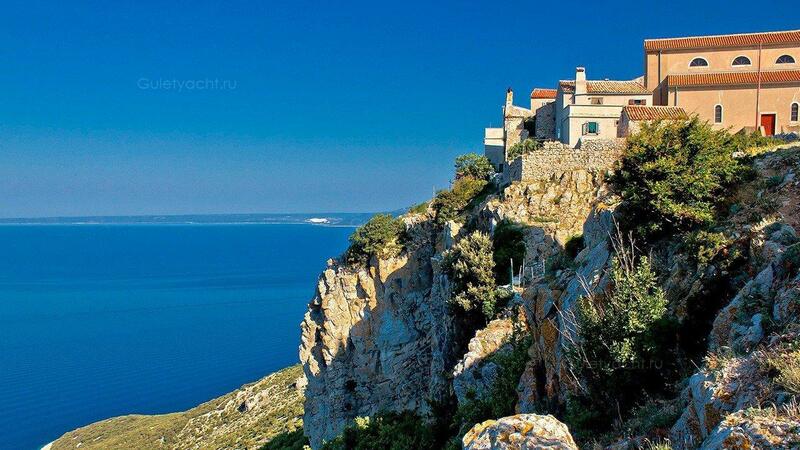 Вы все еще можете наслаждаться тихим временем, однако в одном из ресторанов, где подают отличные блюда местной кухни. 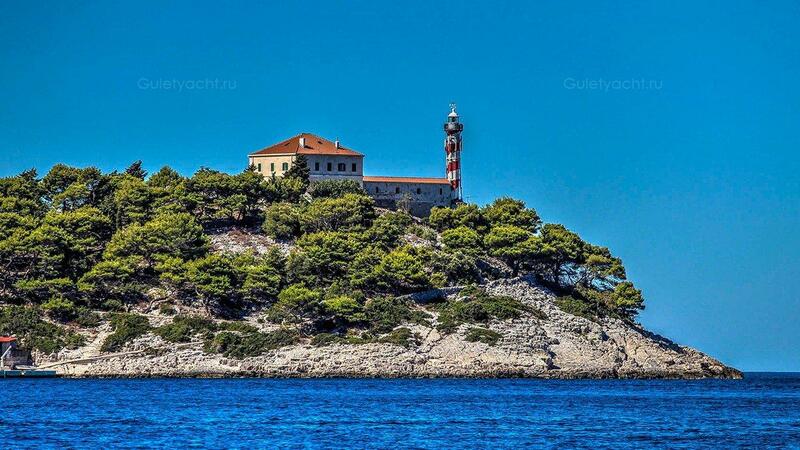 Rab Island is another in Kvarner Gulf in the Northern Adriatic. 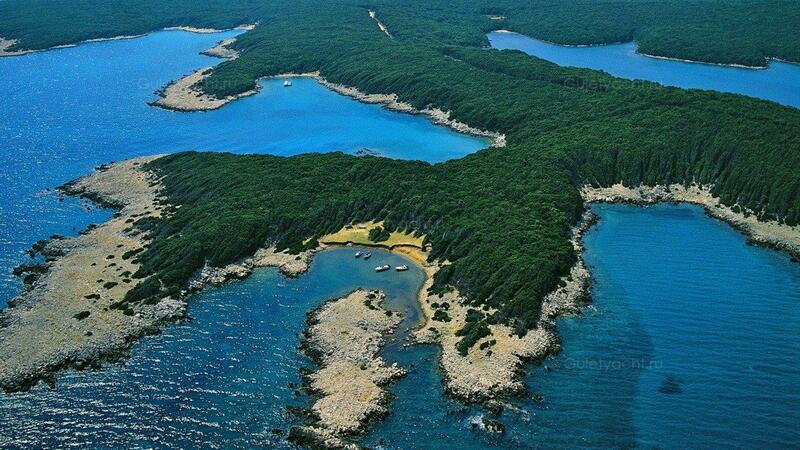 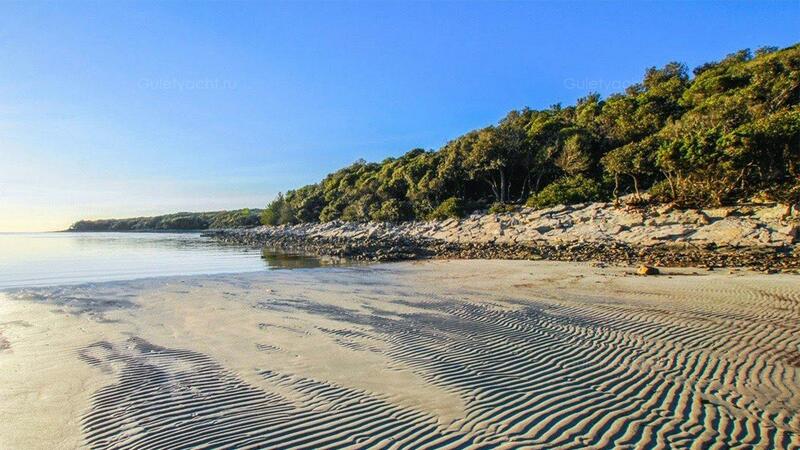 Covered in lovely pine forest, the green of the vegetation contrasts with the sandy beaches to create great images. 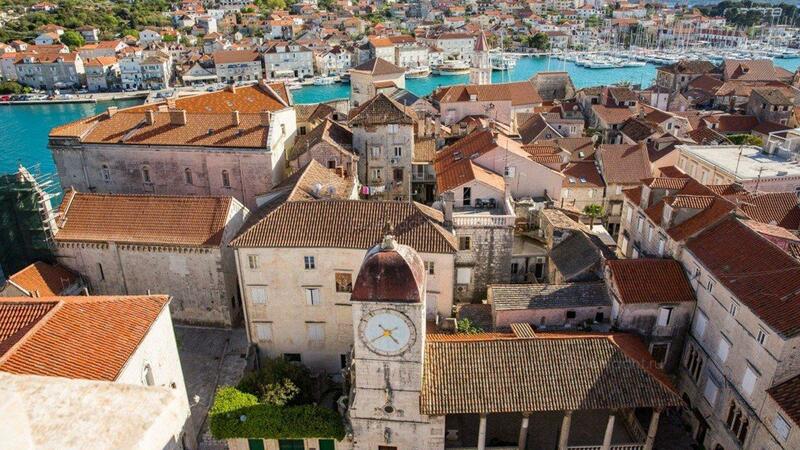 Rab Town is the main settlement with the medieval buildings the major attraction. 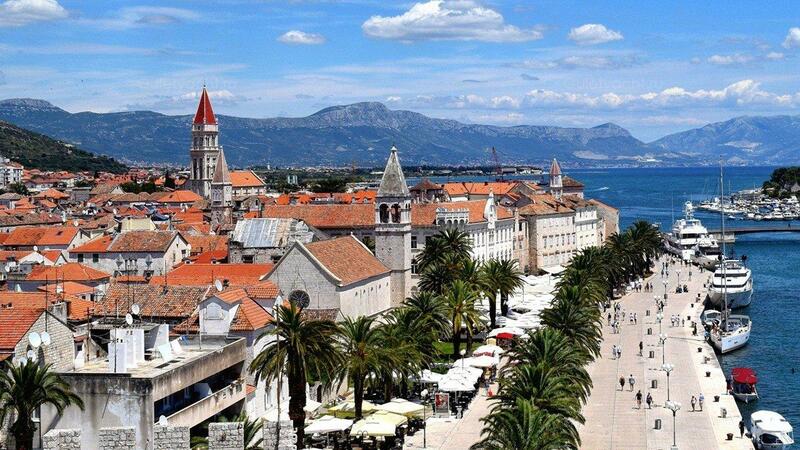 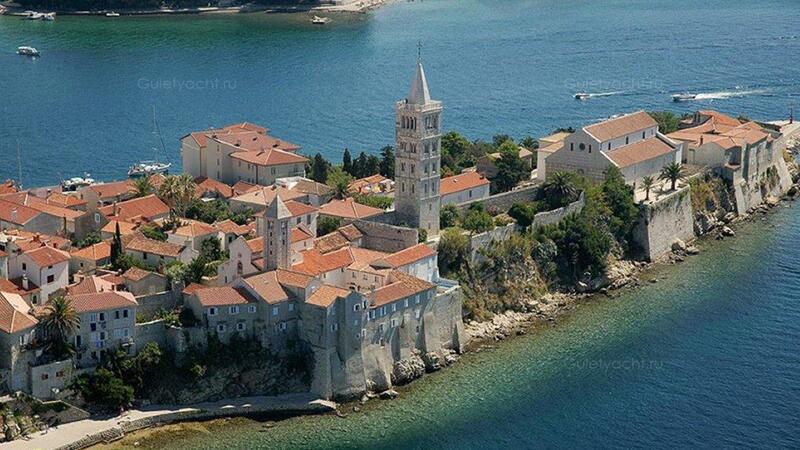 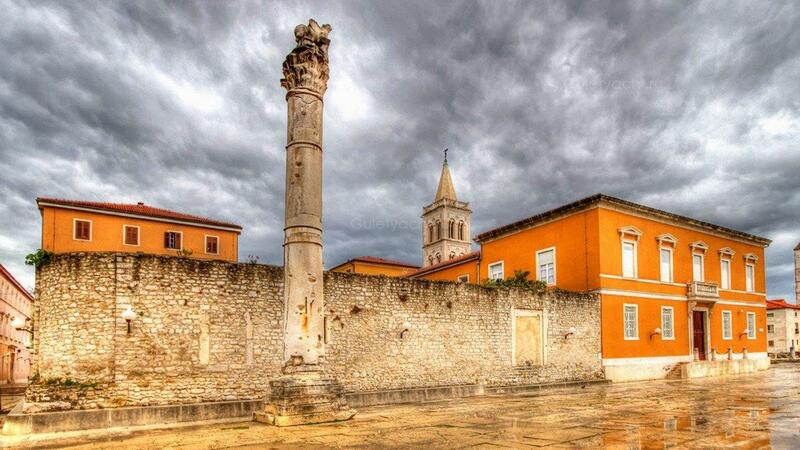 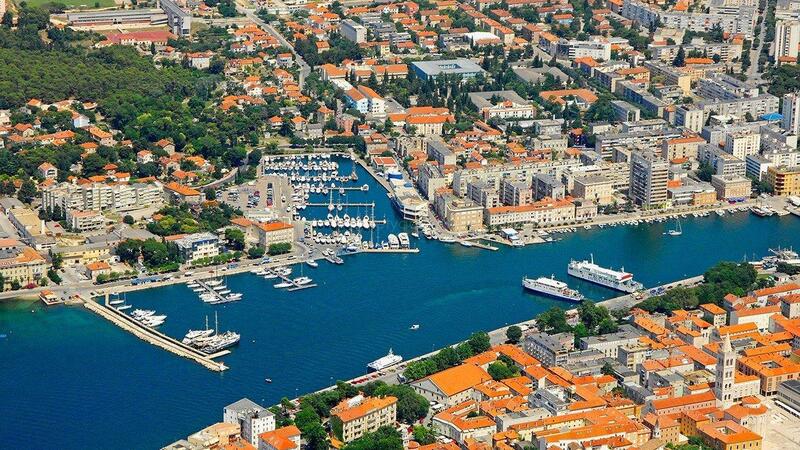 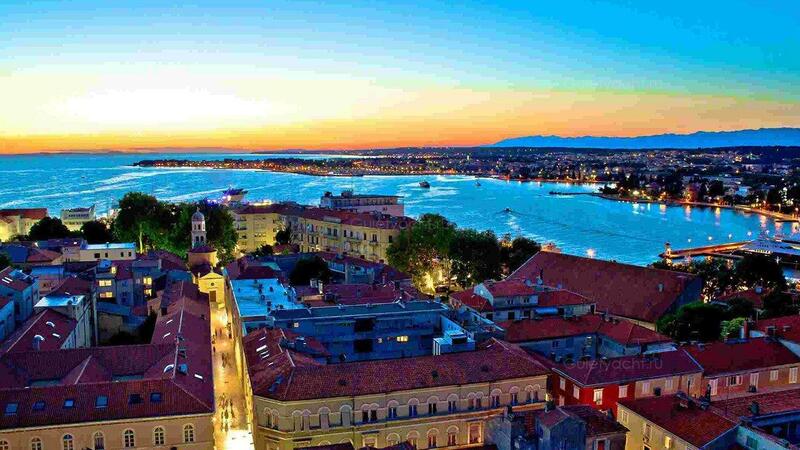 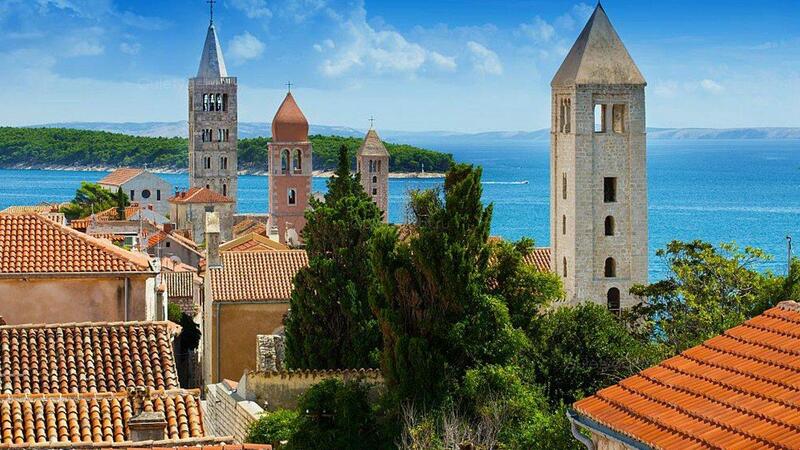 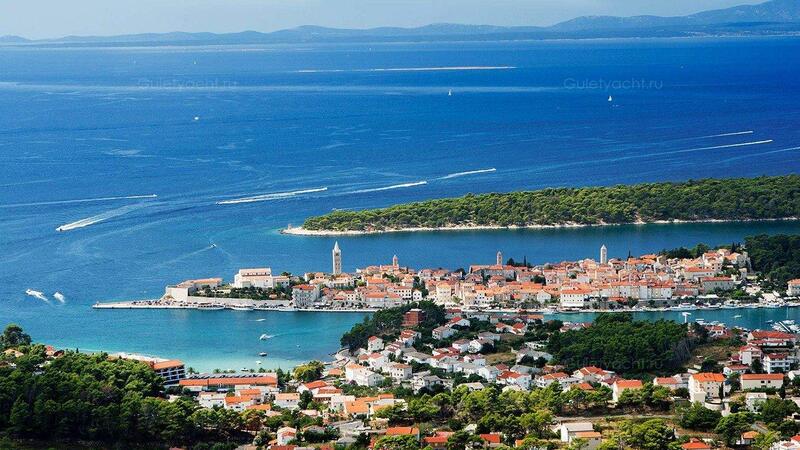 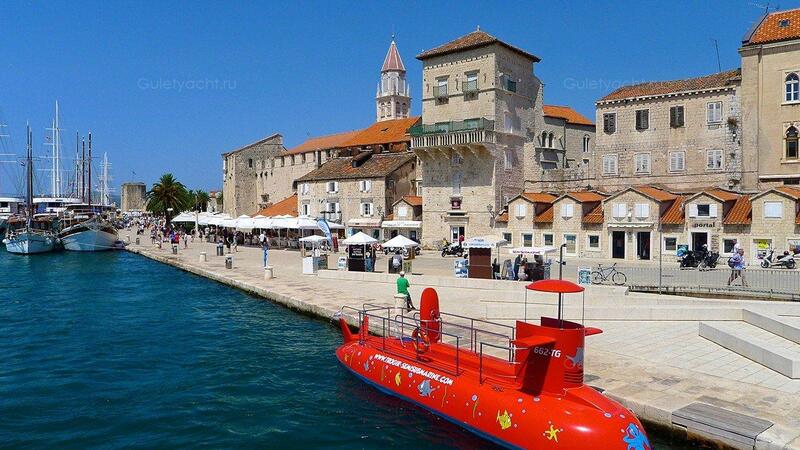 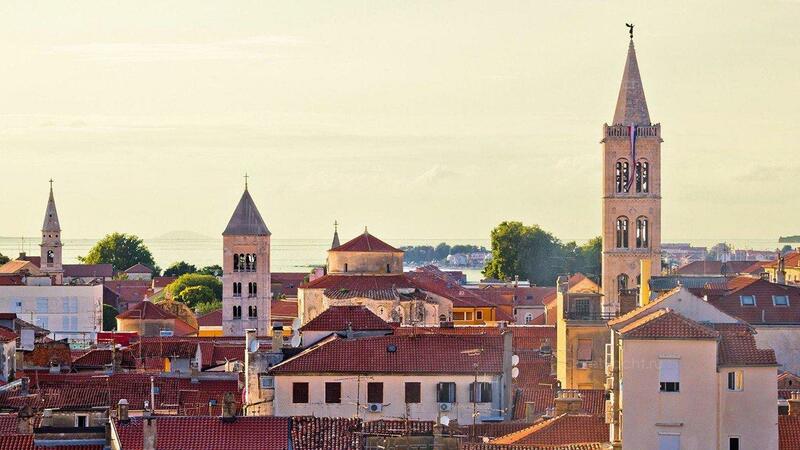 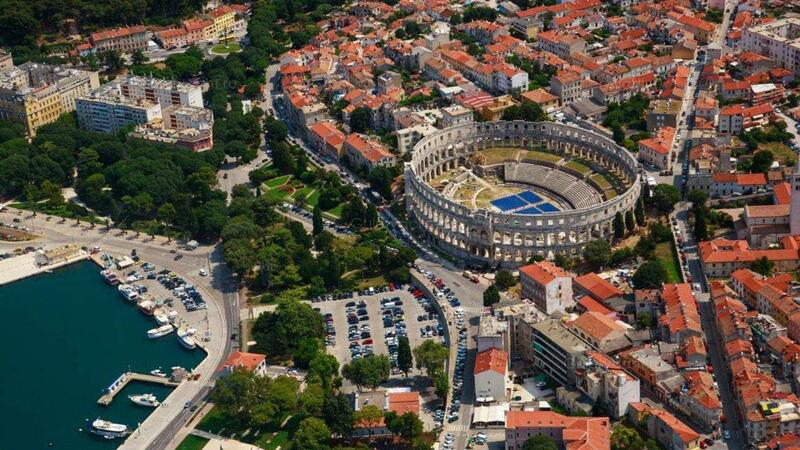 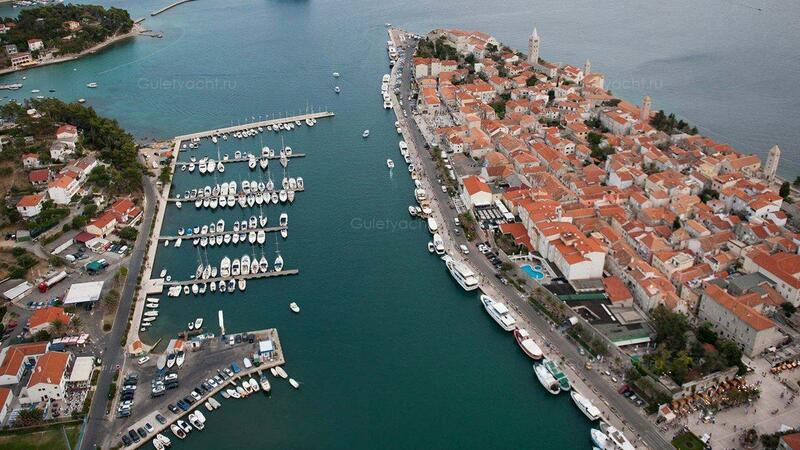 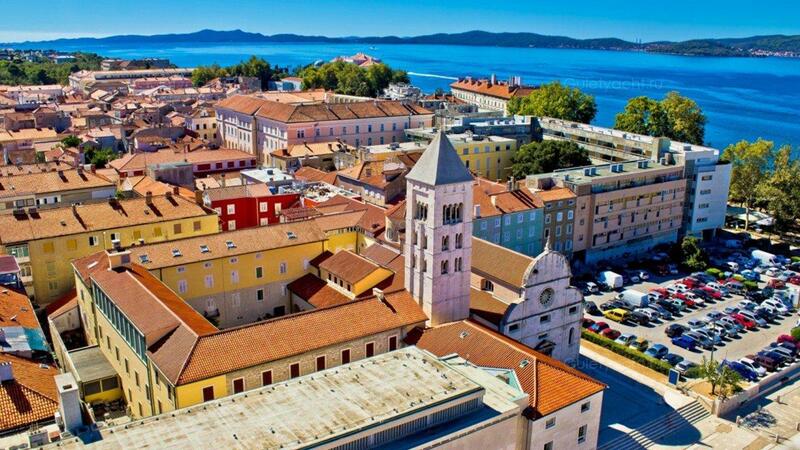 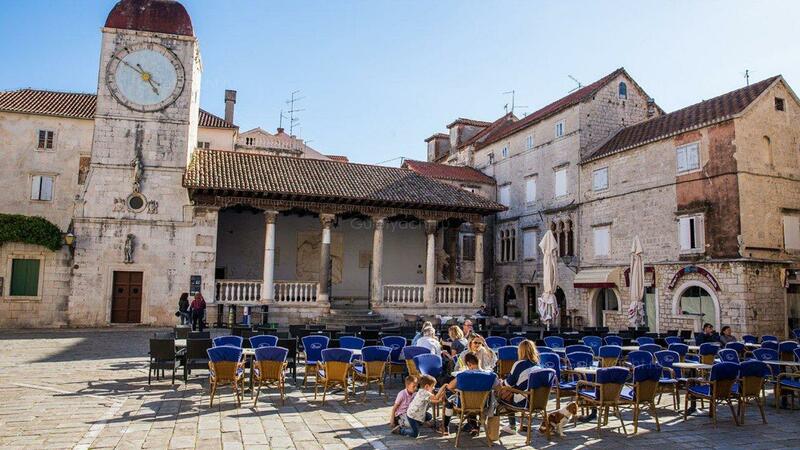 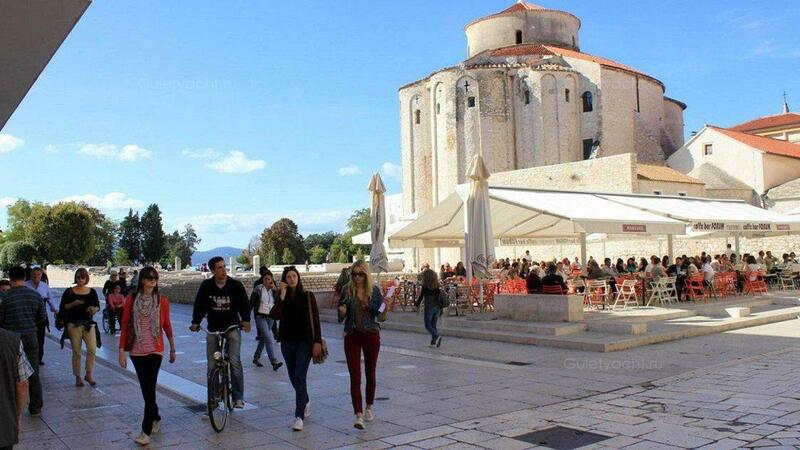 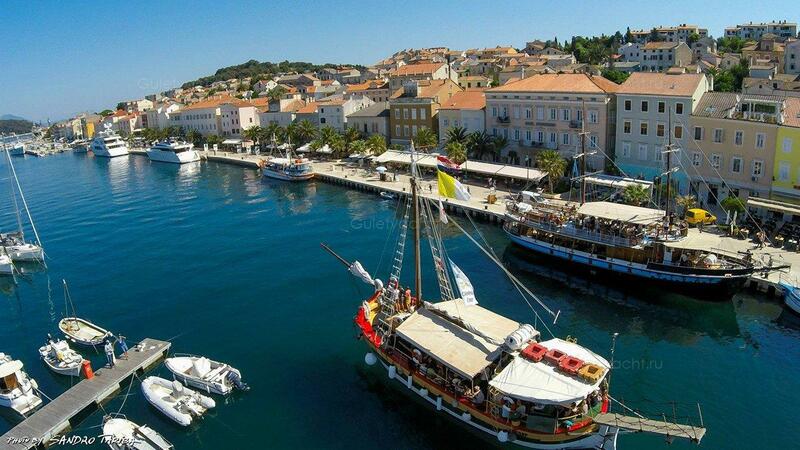 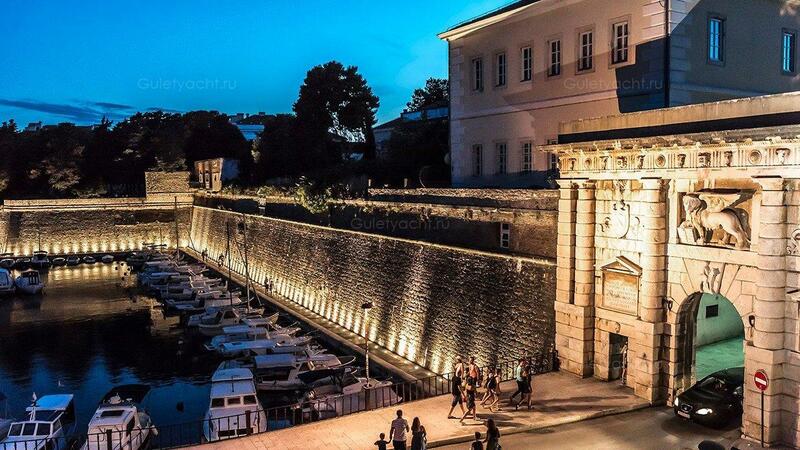 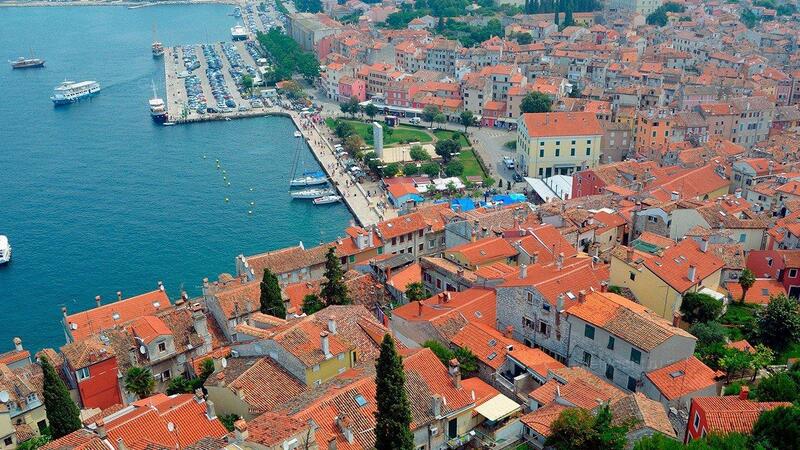 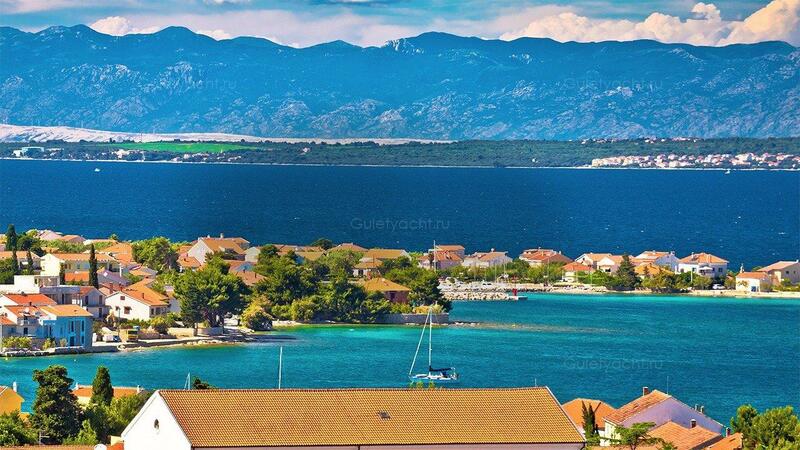 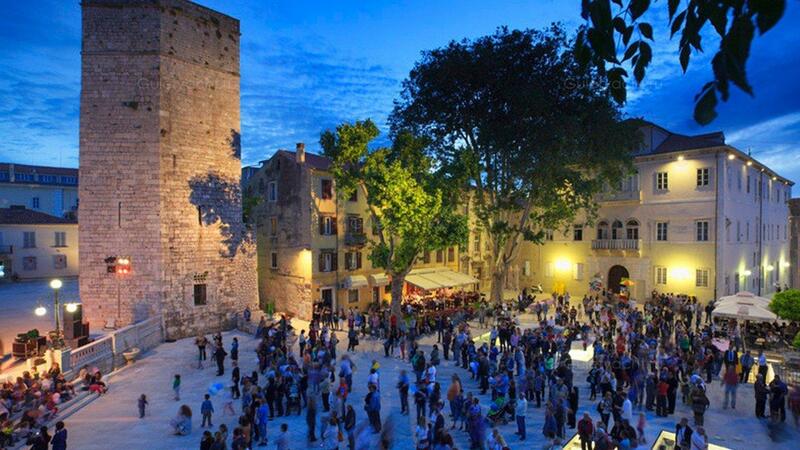 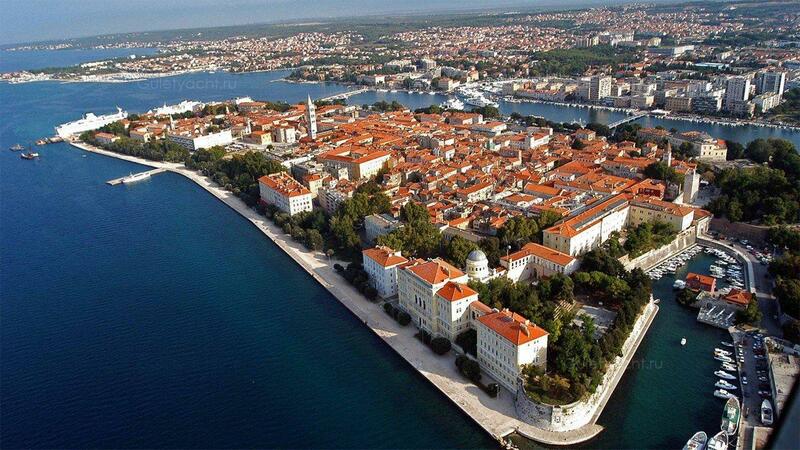 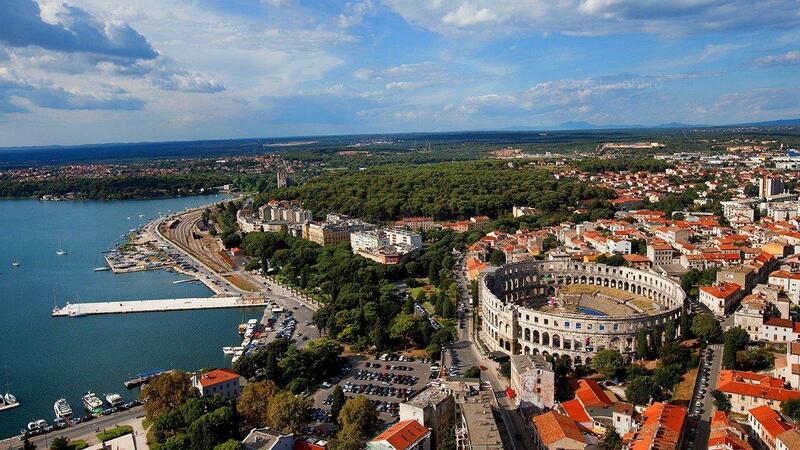 Zadar is a beautiful Dalmatian City which is famous for its historical and cultural content. 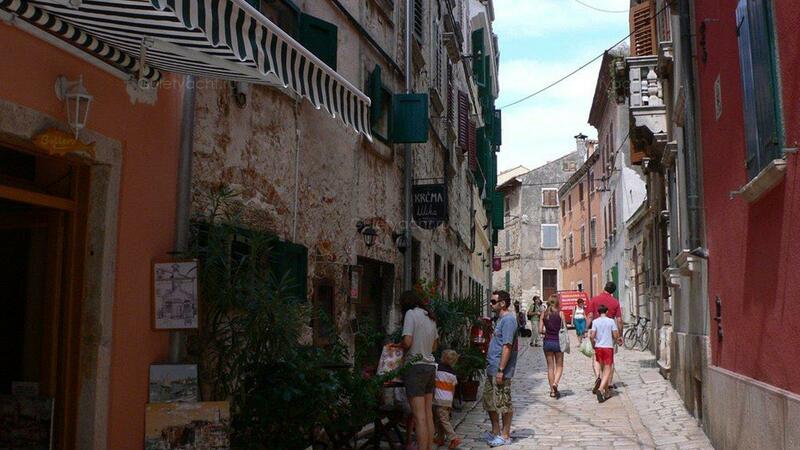 Tourists visit in numbers and they enjoy the ramparts that leave them imagining the place in ancient times. 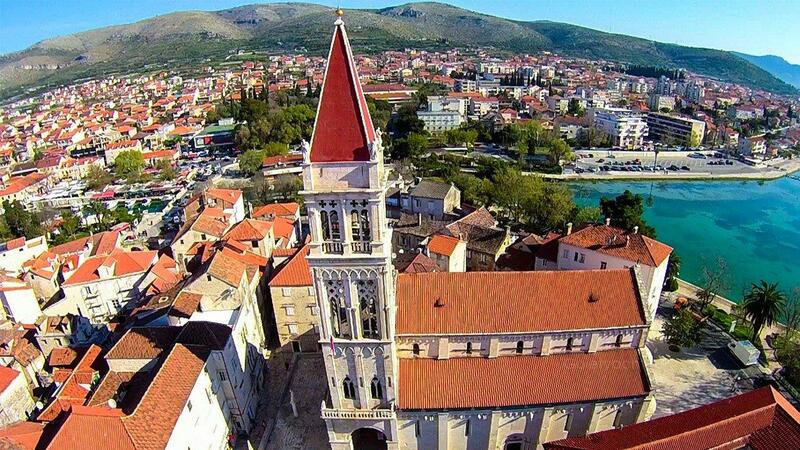 The architecture is a mix of cultures, some Renaissance and others more modern. 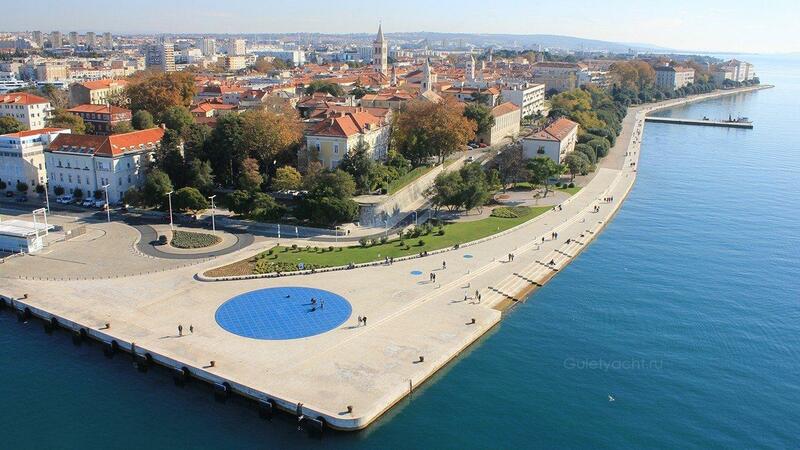 The famous Sea Organ was the first of its kind in the world. 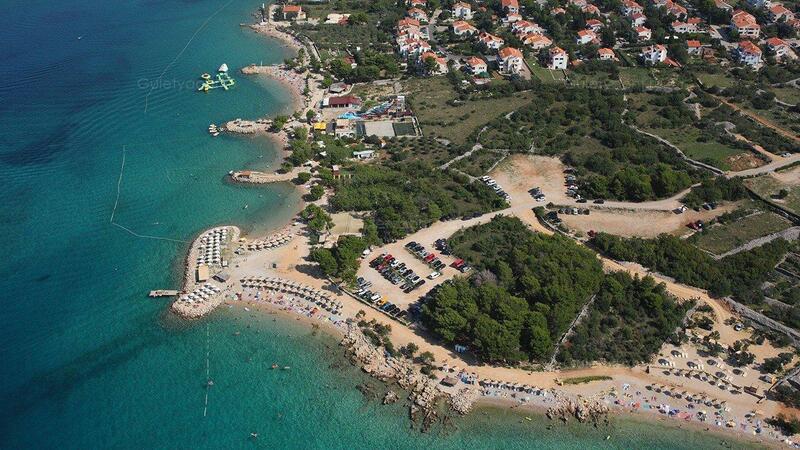 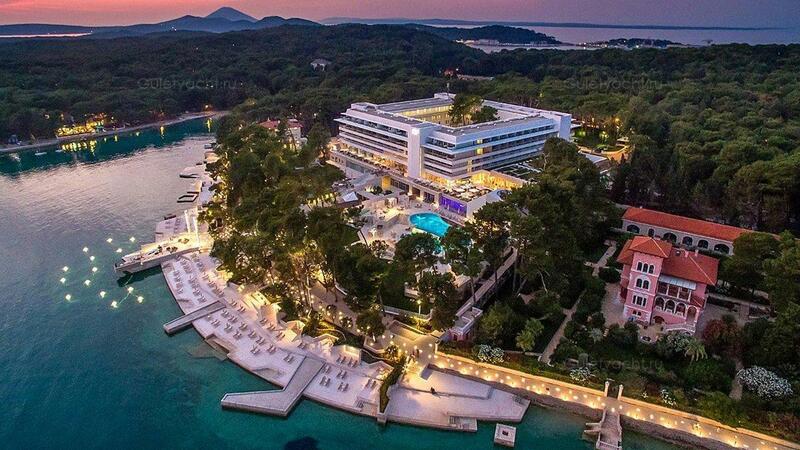 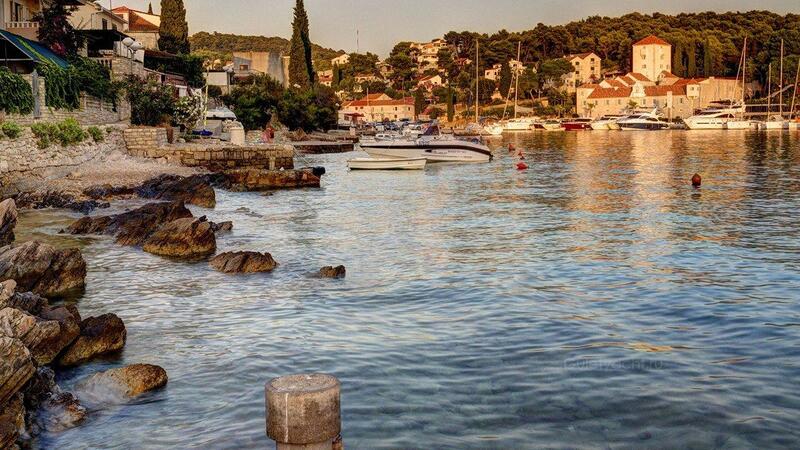 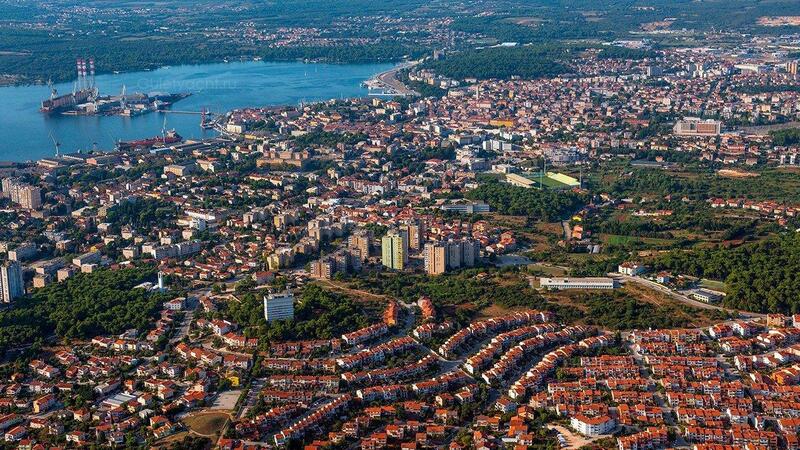 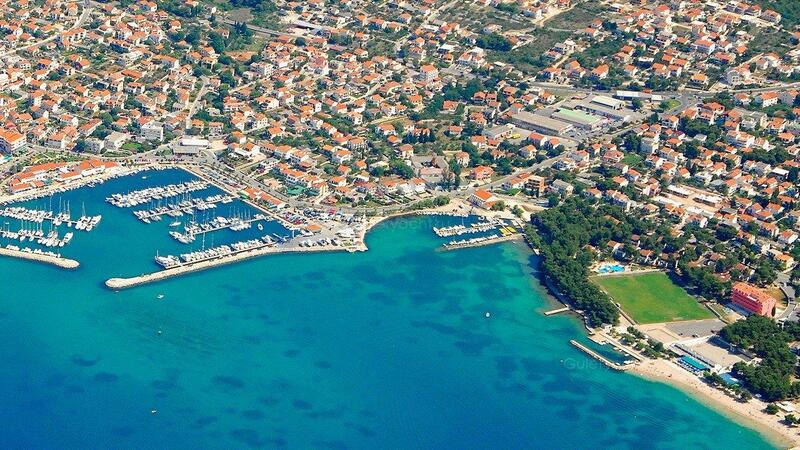 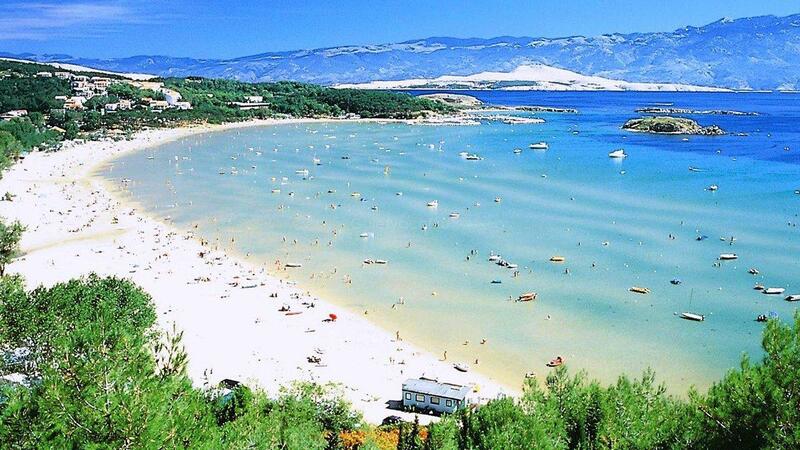 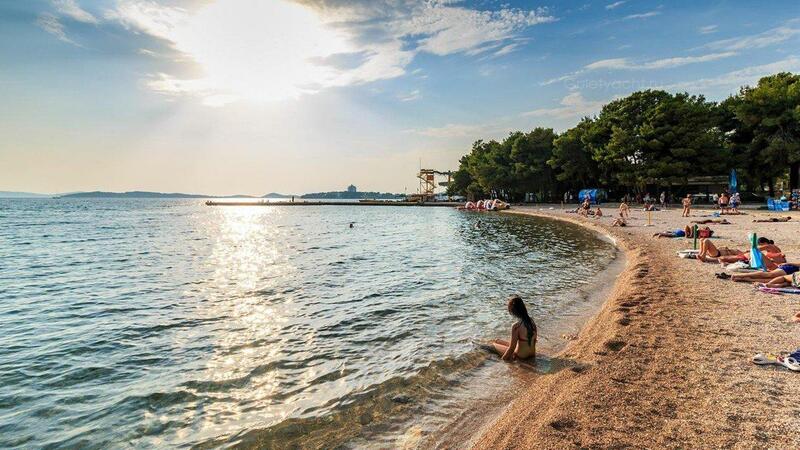 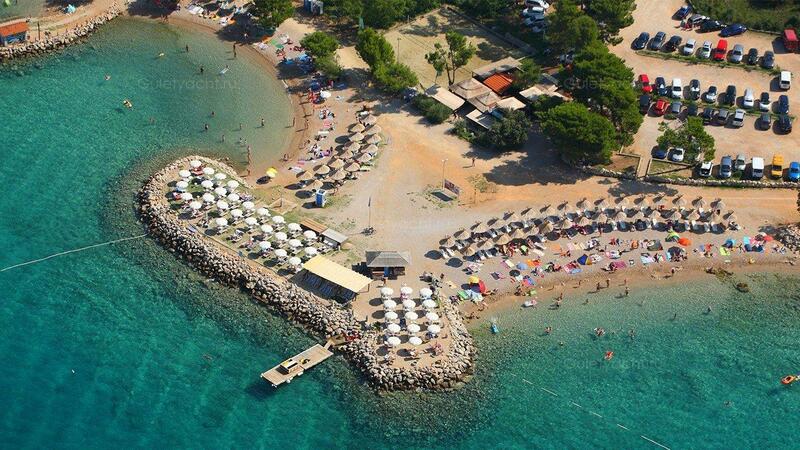 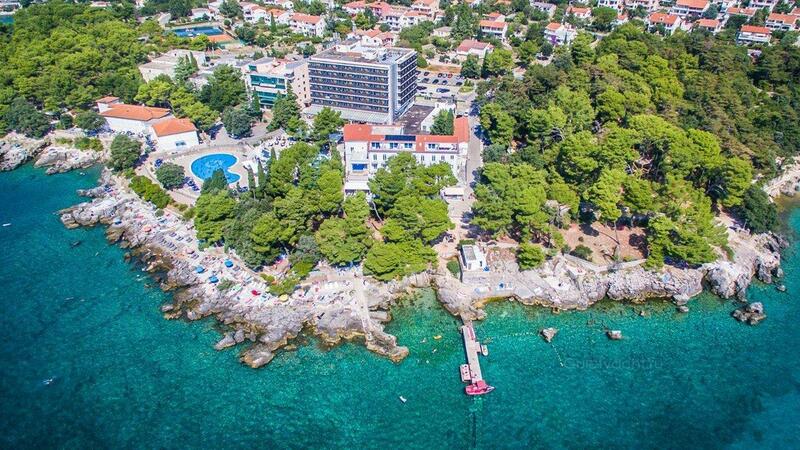 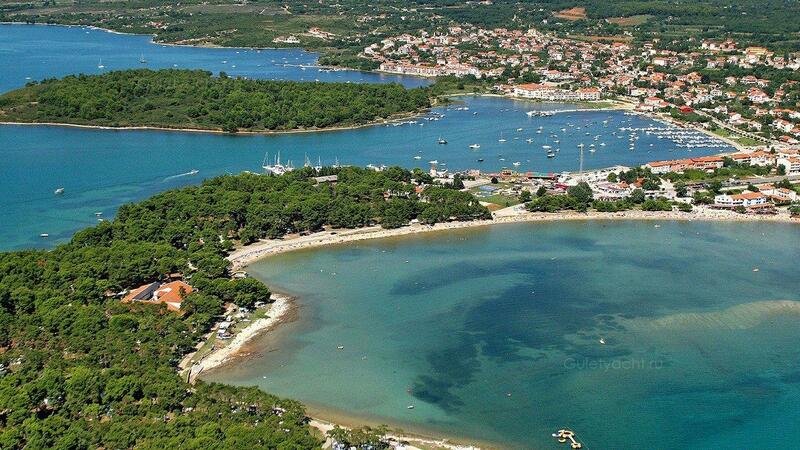 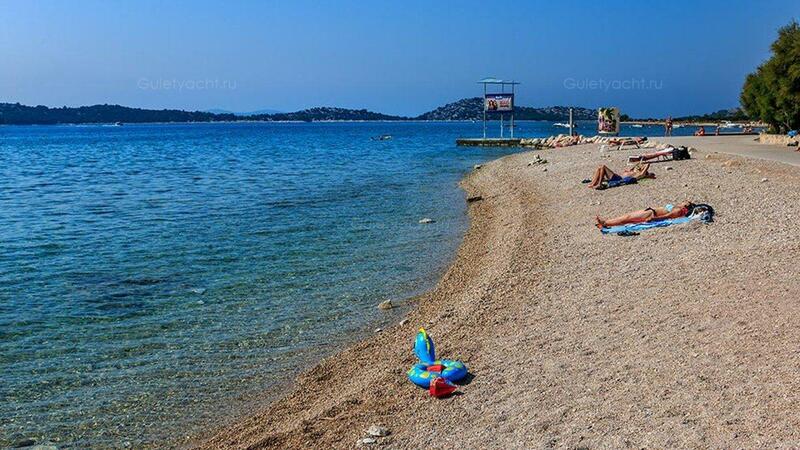 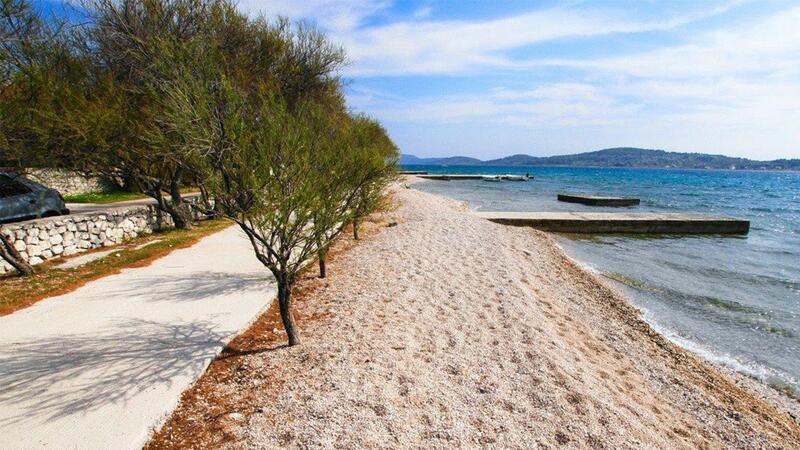 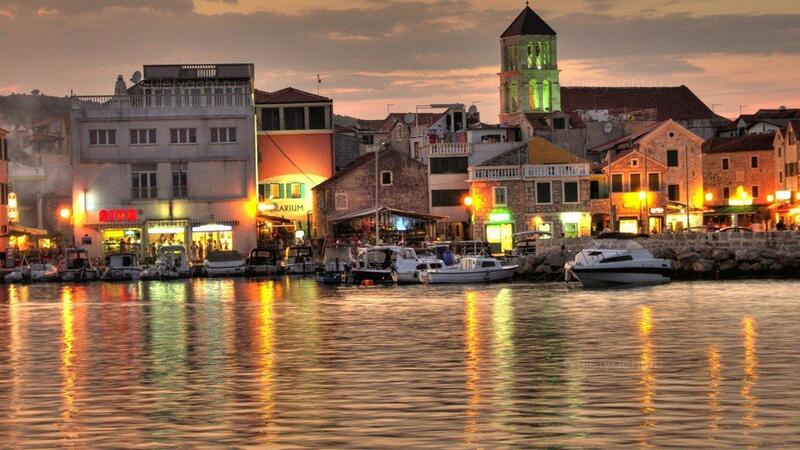 Vodice, famous for its diversity and vibrancy, has become a popular tourist resort on the Adriatic Coast of Croatia. 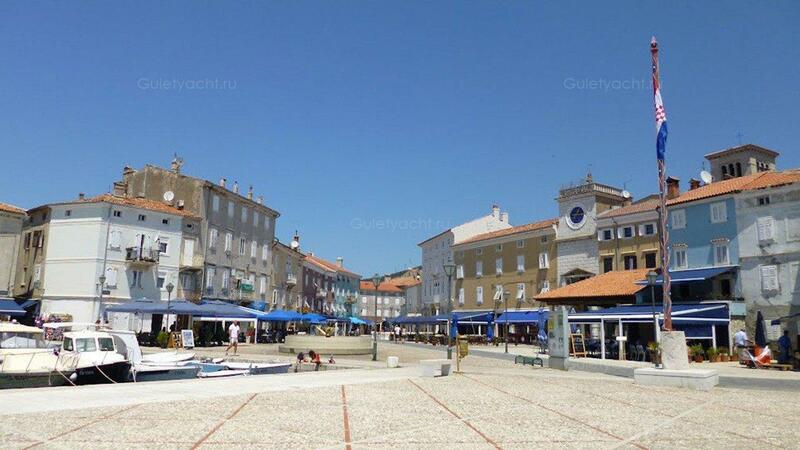 The town is situated along the coast within a wide bay area. 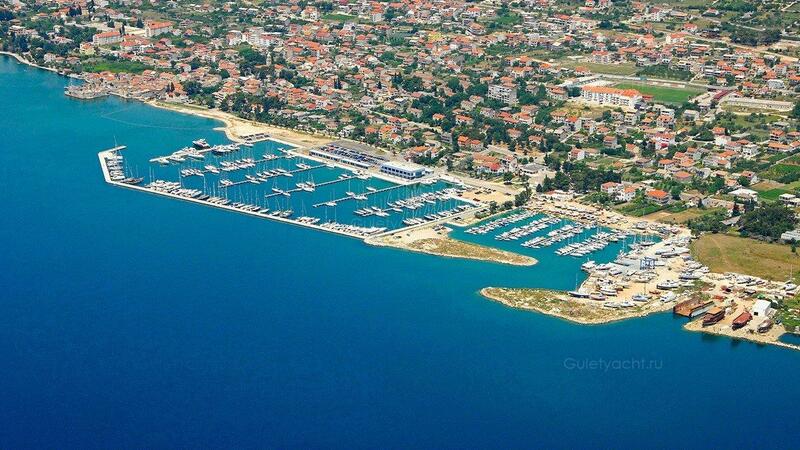 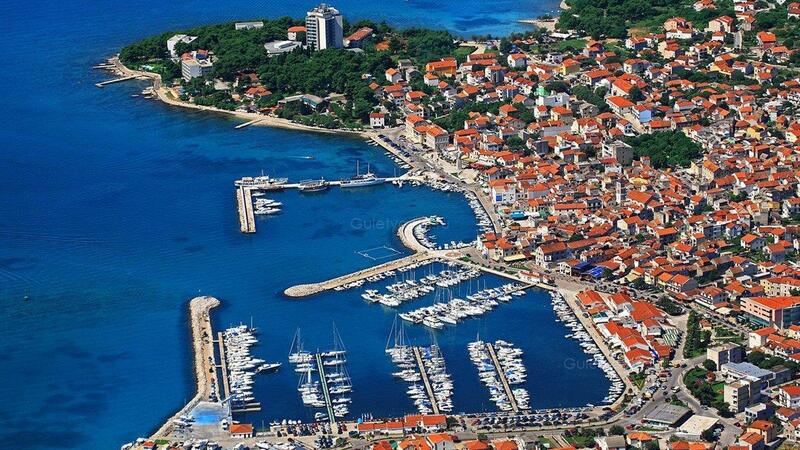 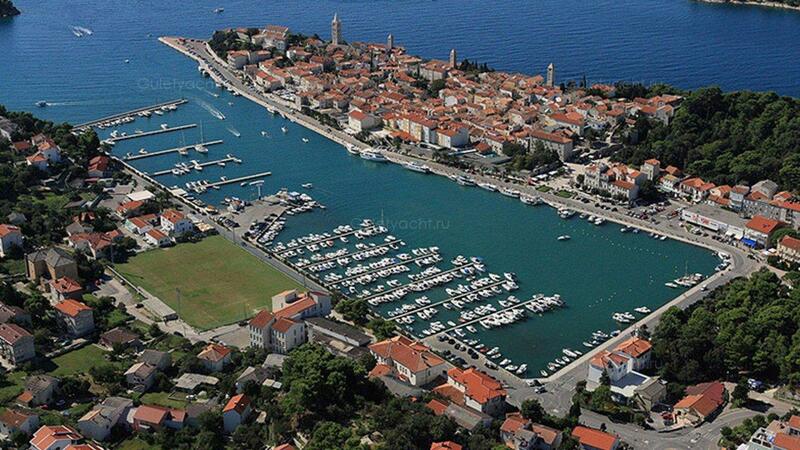 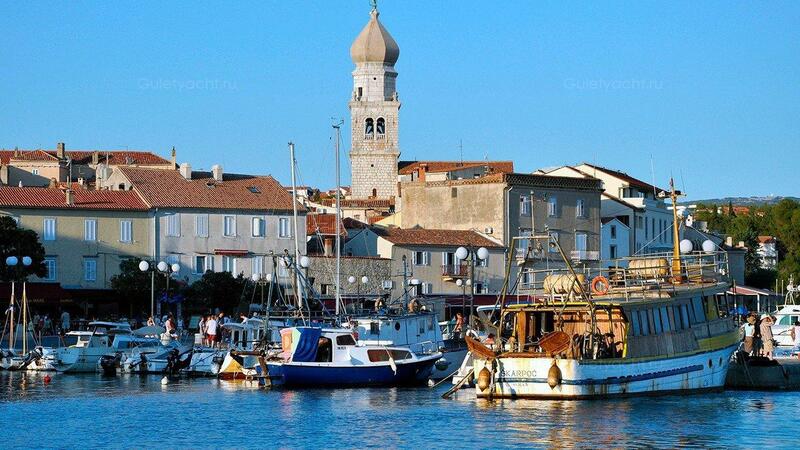 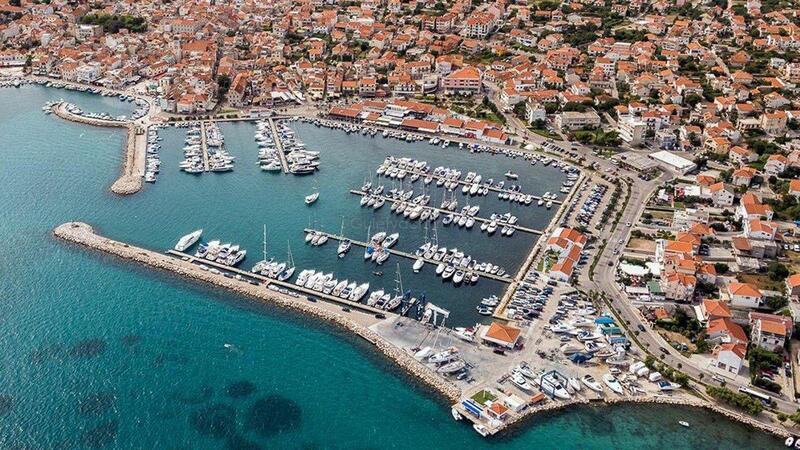 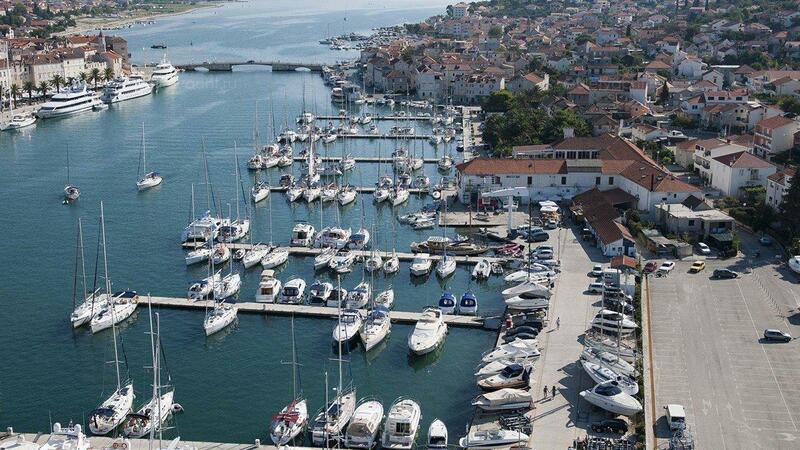 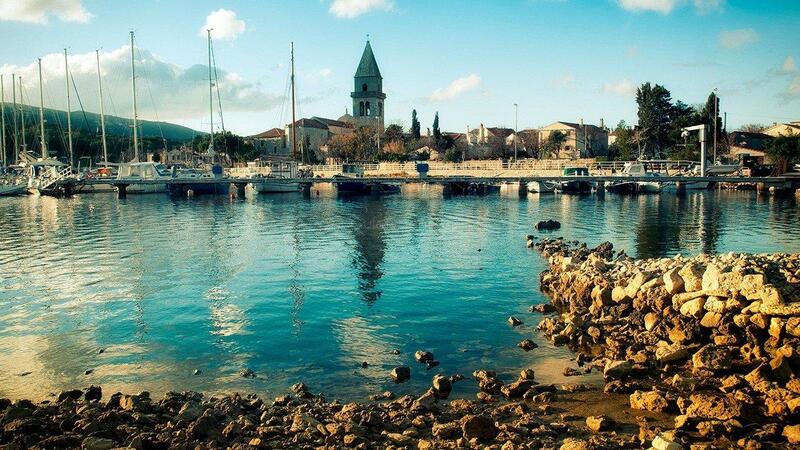 Vodice can rightly be proud of its historical and cultural heritage. 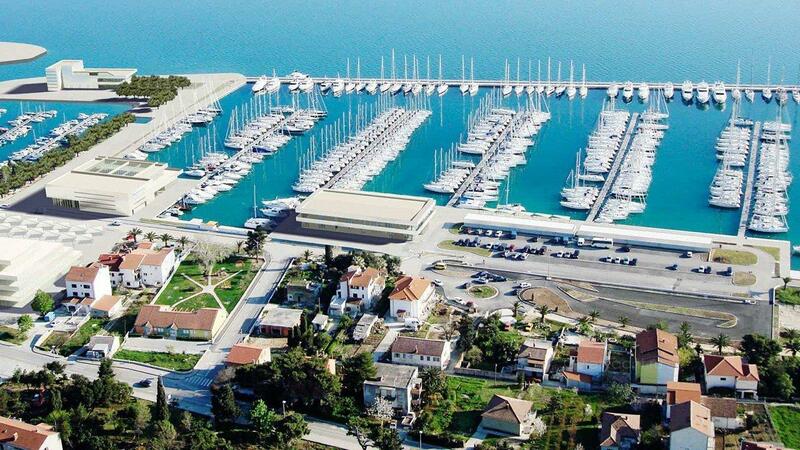 Водице, знаменитый своим разнообразием и энергией, стал популярным туристическим курортом на Адриатическом побережье Хорватии. 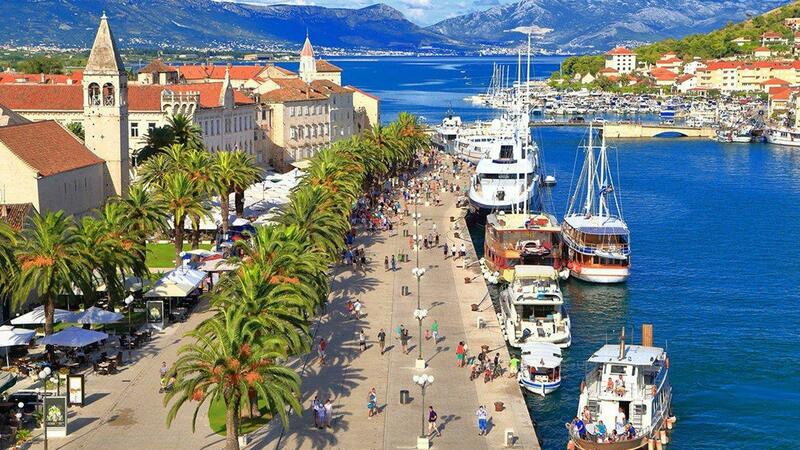 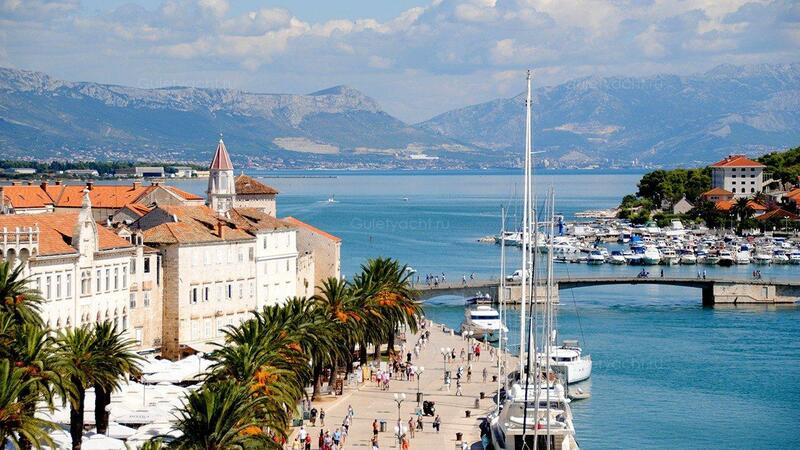 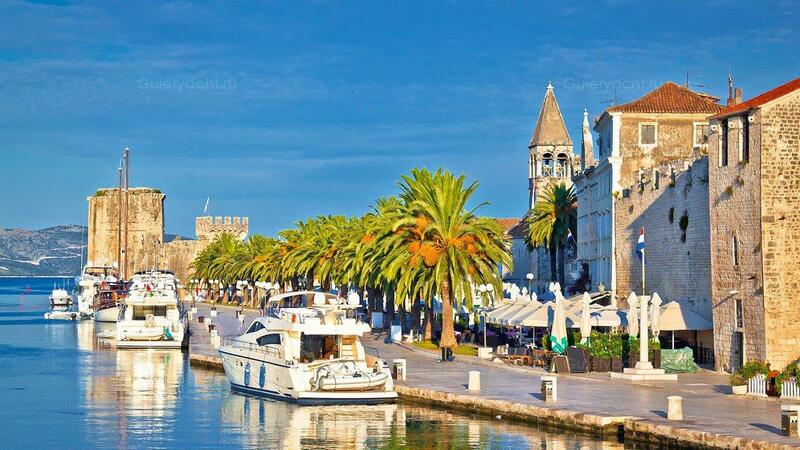 Trogir is a picturesque historic town and harbor on the Adriatic Coast in Croatia. 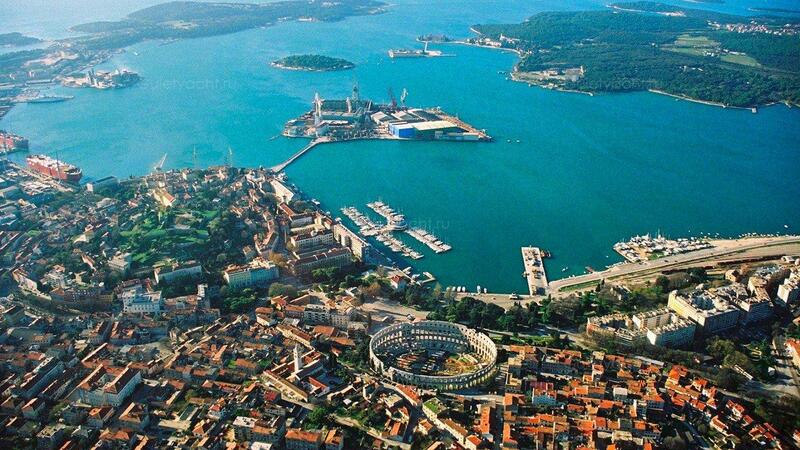 Today, being situated 25 kilometers north of Split, it is part of the greater Split metropolitan area. 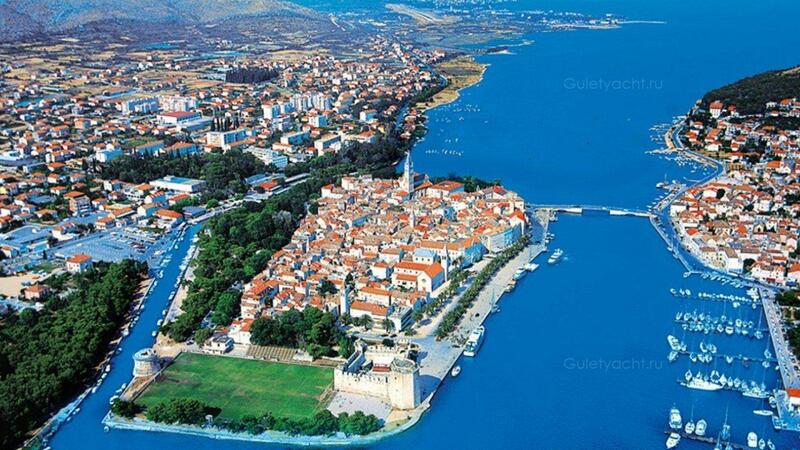 It is on the UNESCO World Heritage List as it is one of the best preserved medieval towns in Europe. 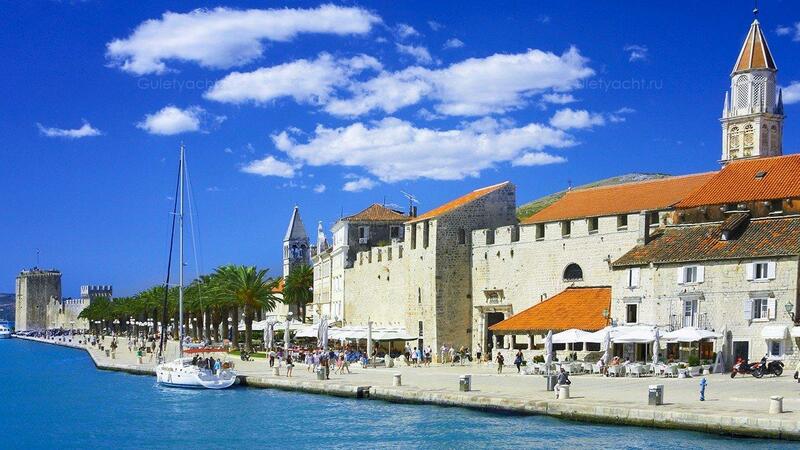 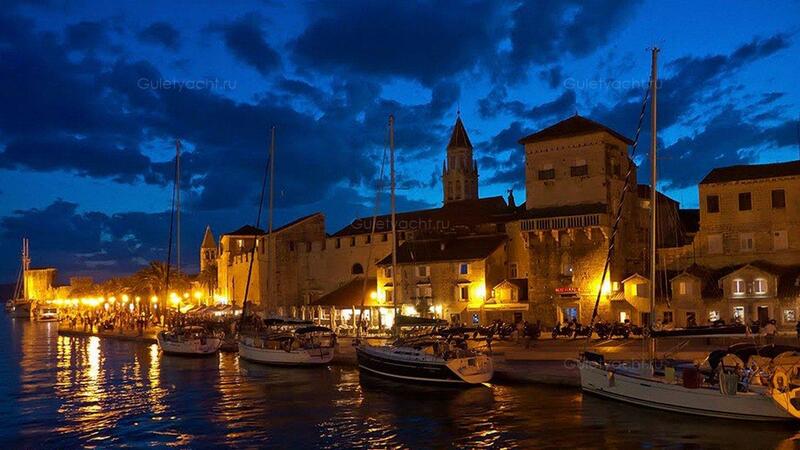 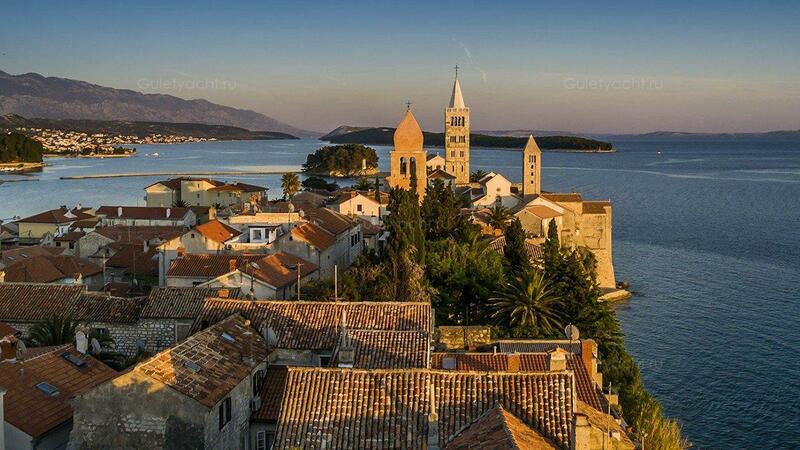 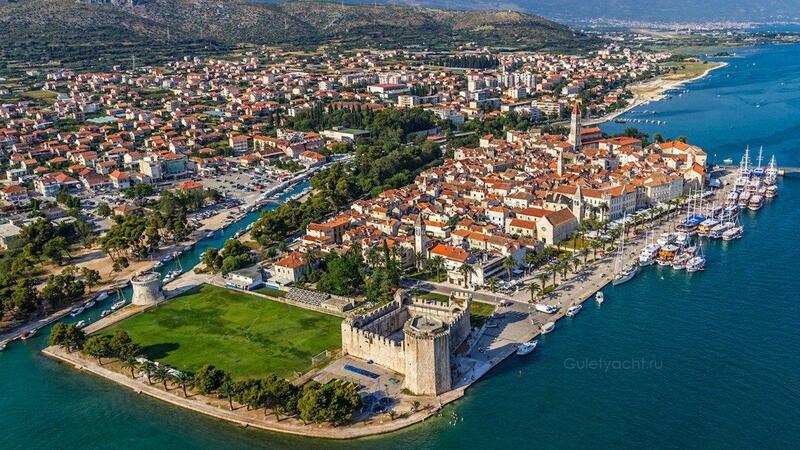 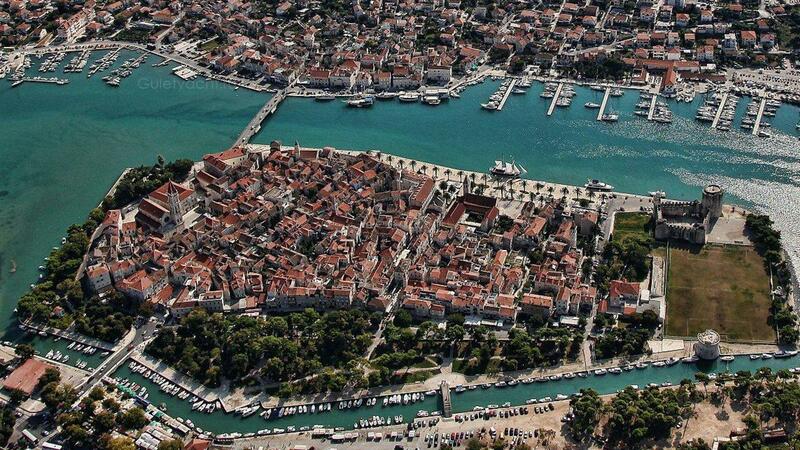 Trogir is surrounded by medieval walls, and has many beautiful buildings that testify to its rich history.